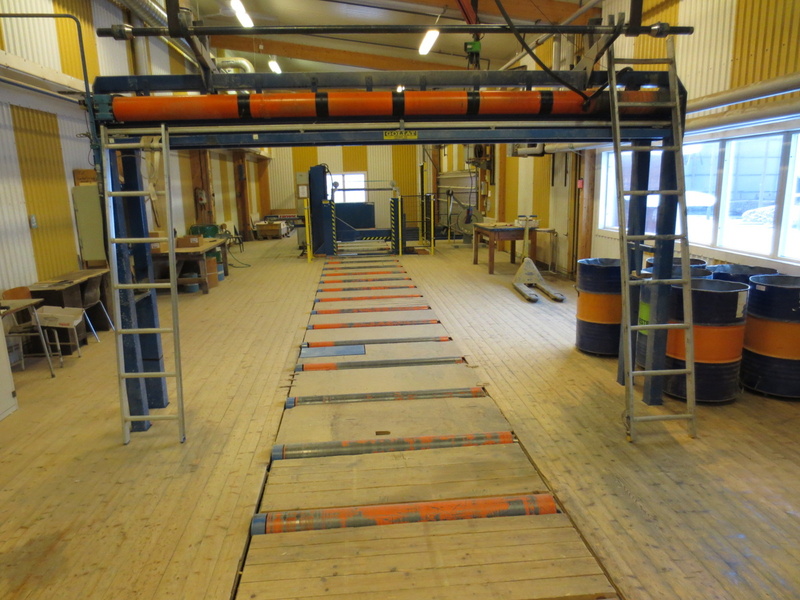 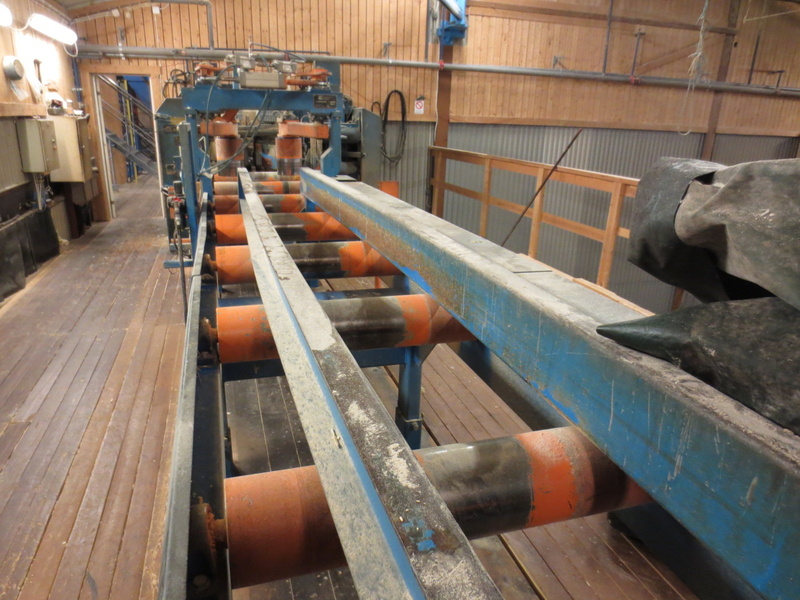 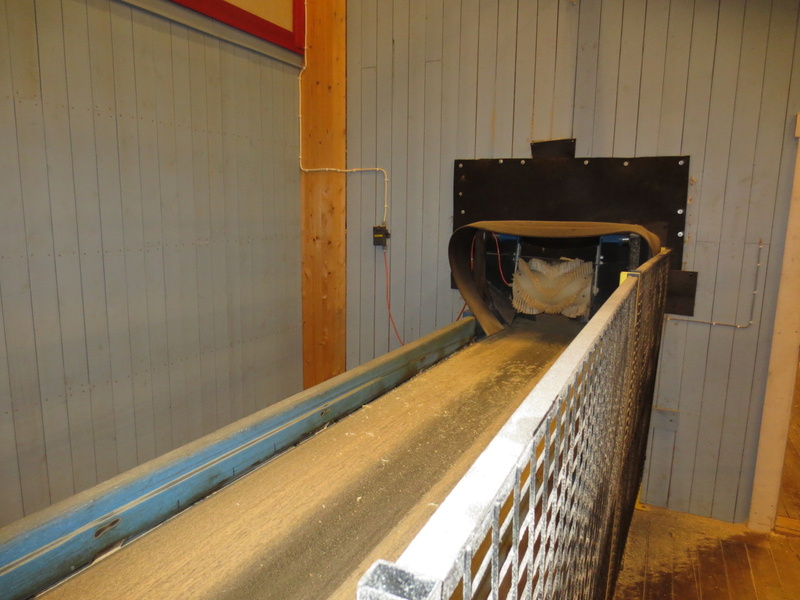 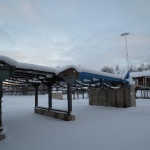 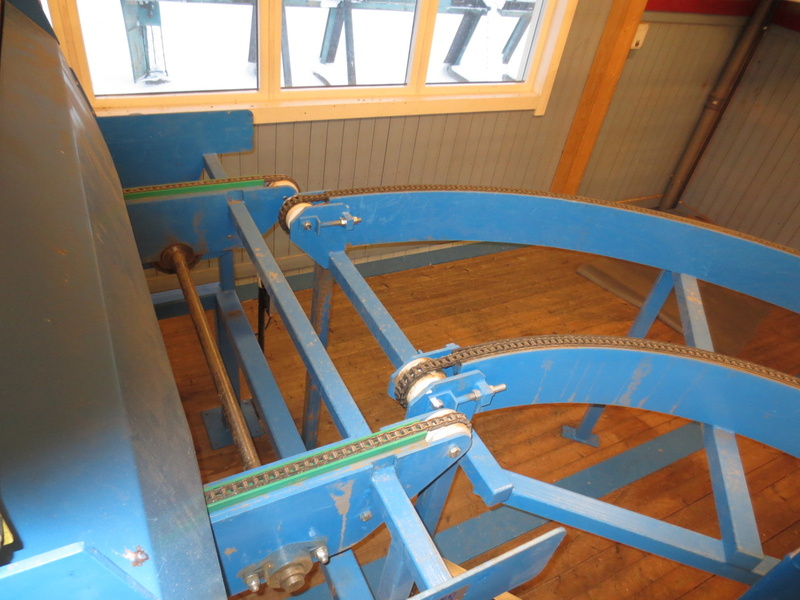 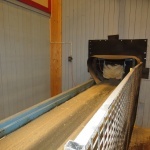 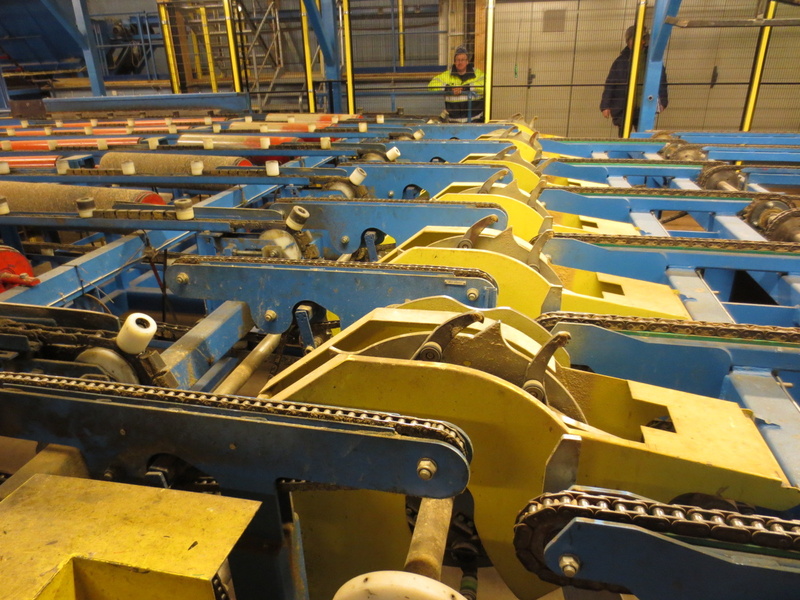 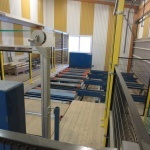 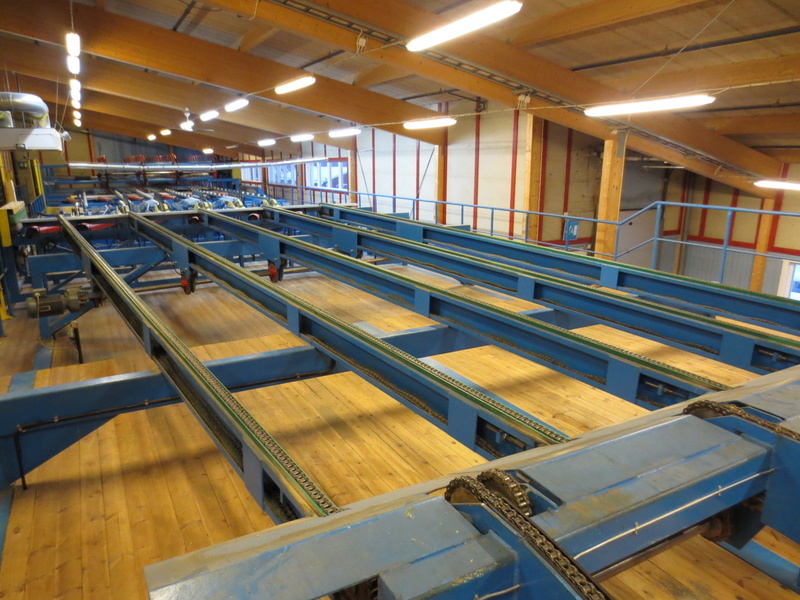 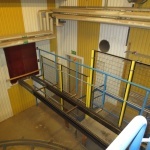 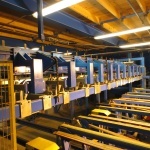 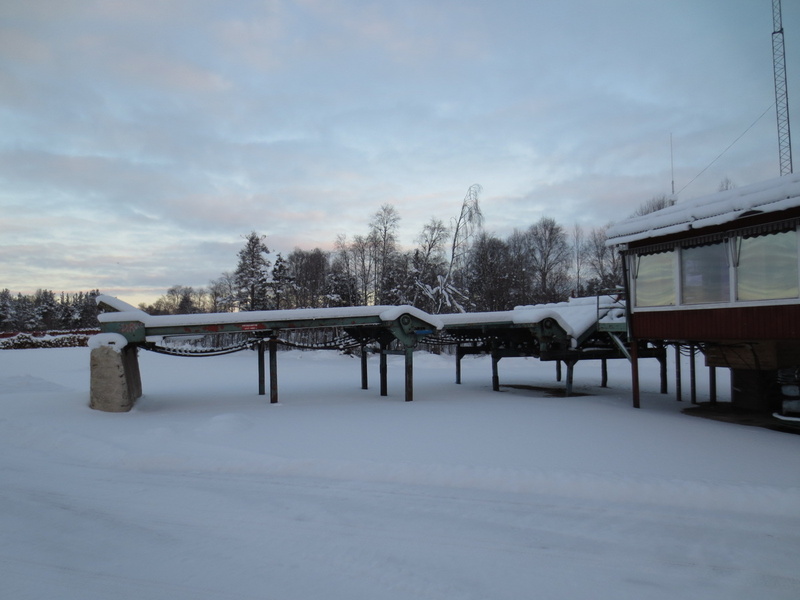 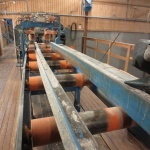 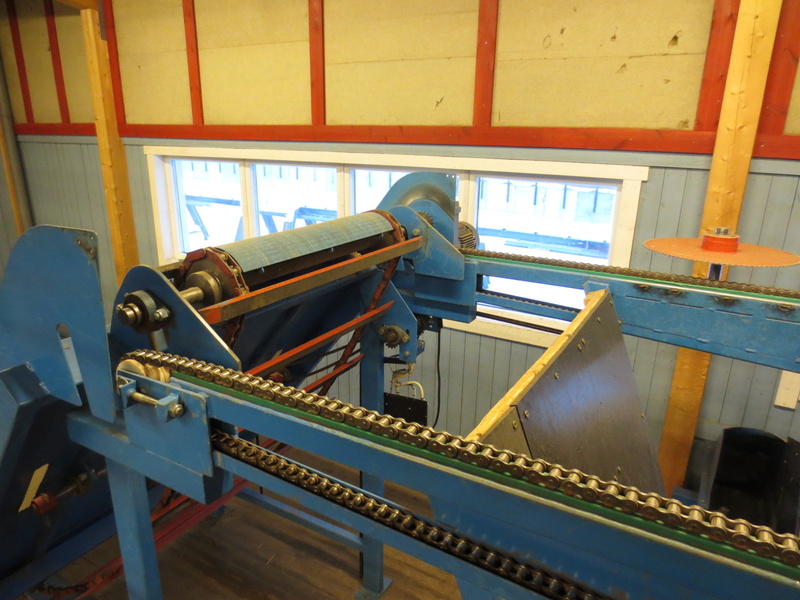 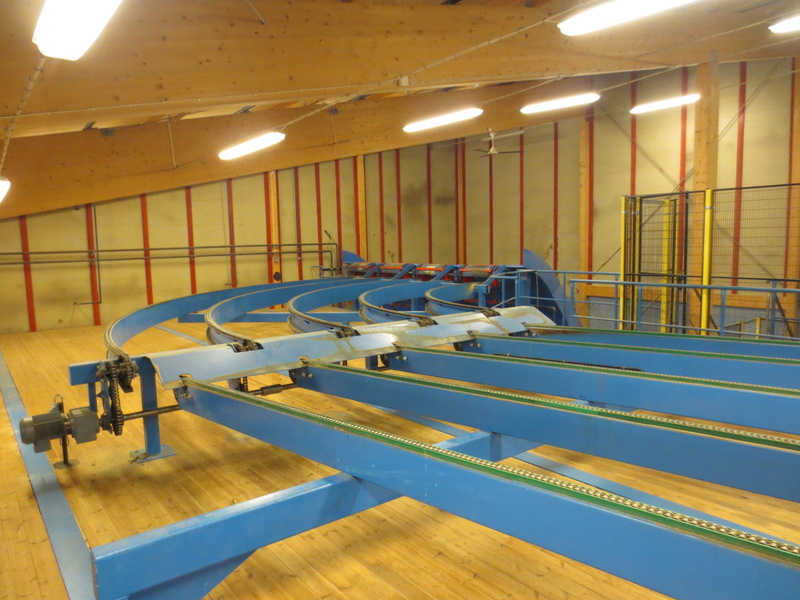 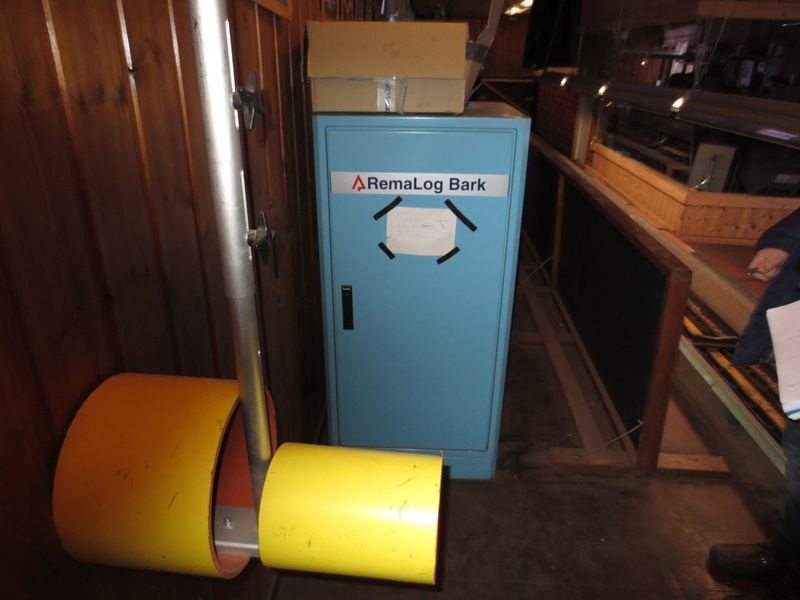 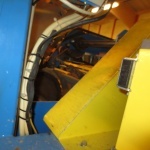 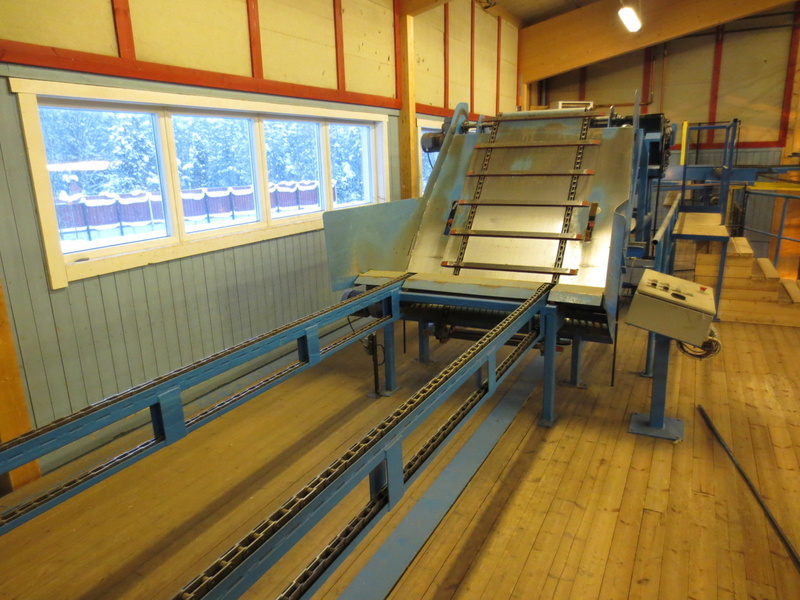 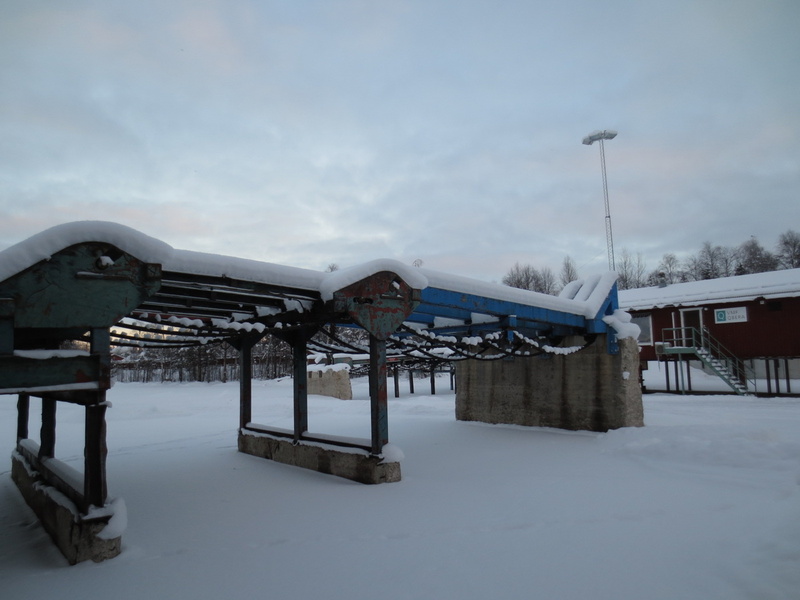 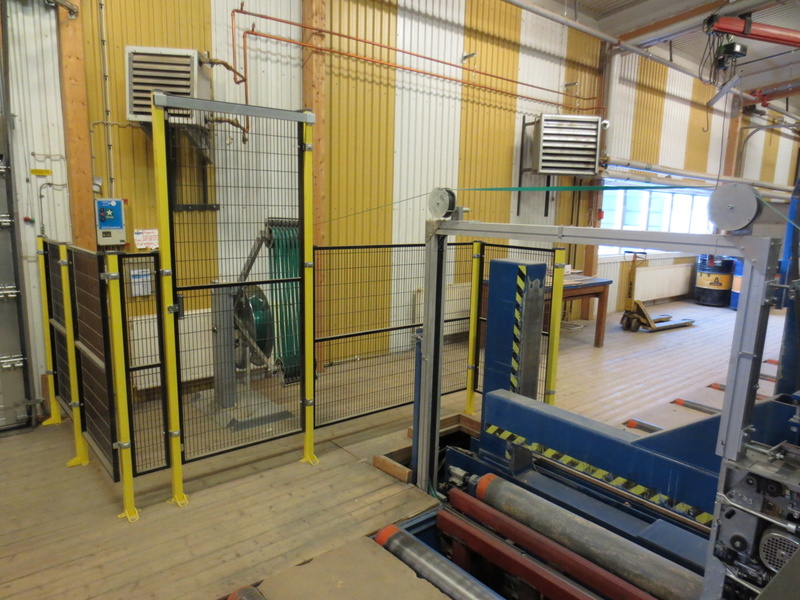 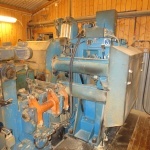 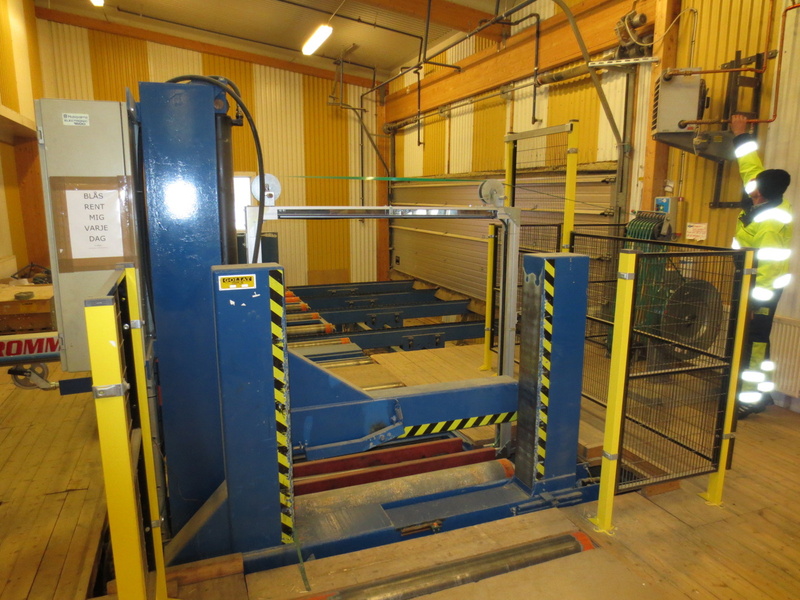 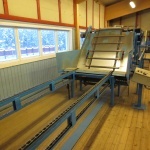 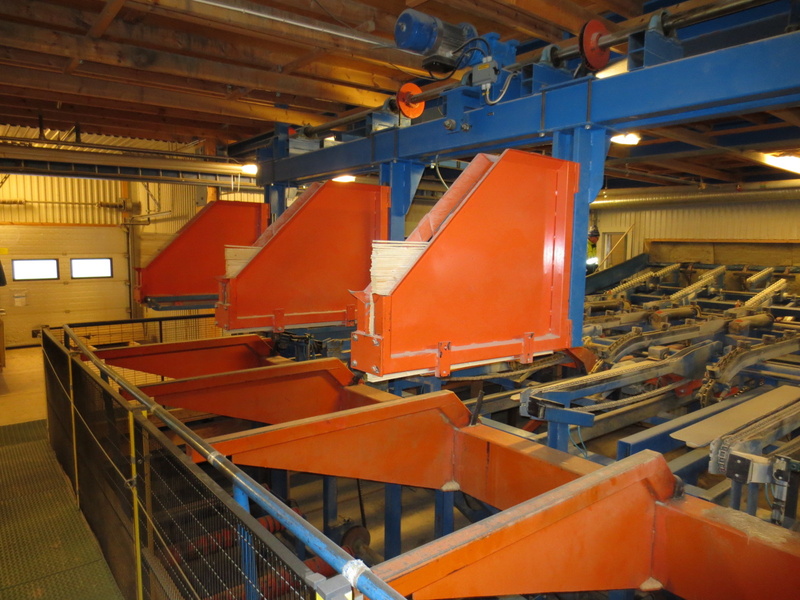 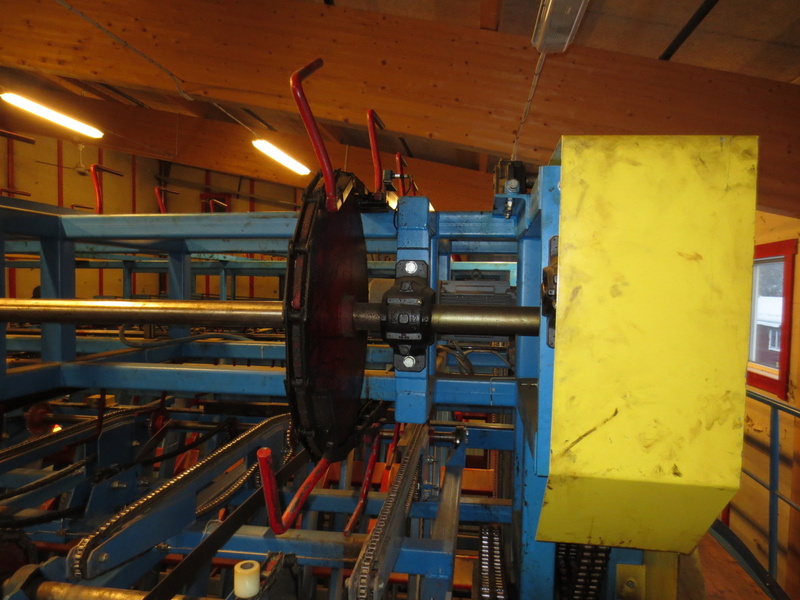 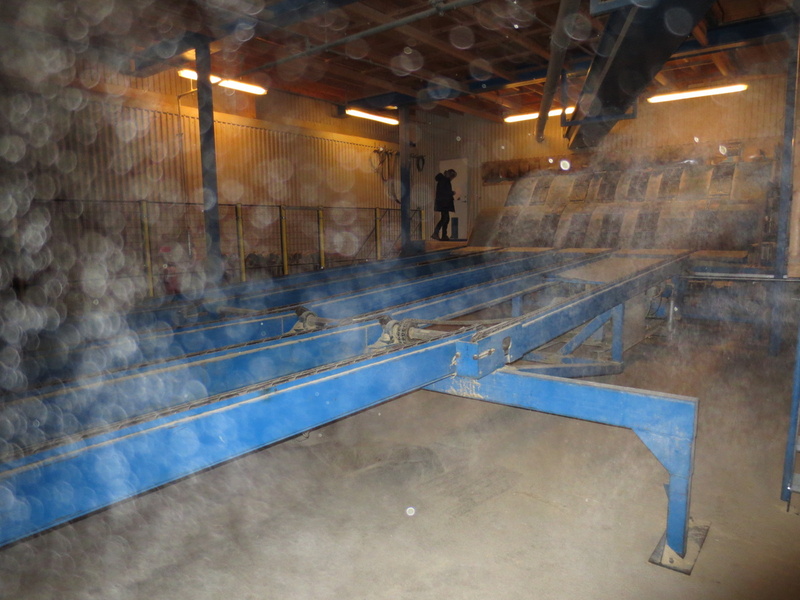 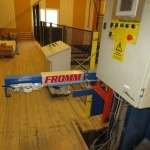 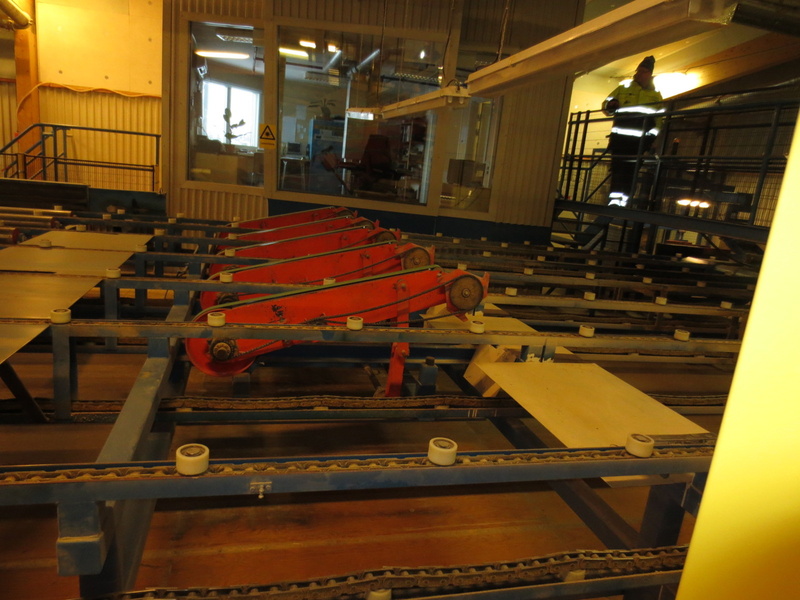 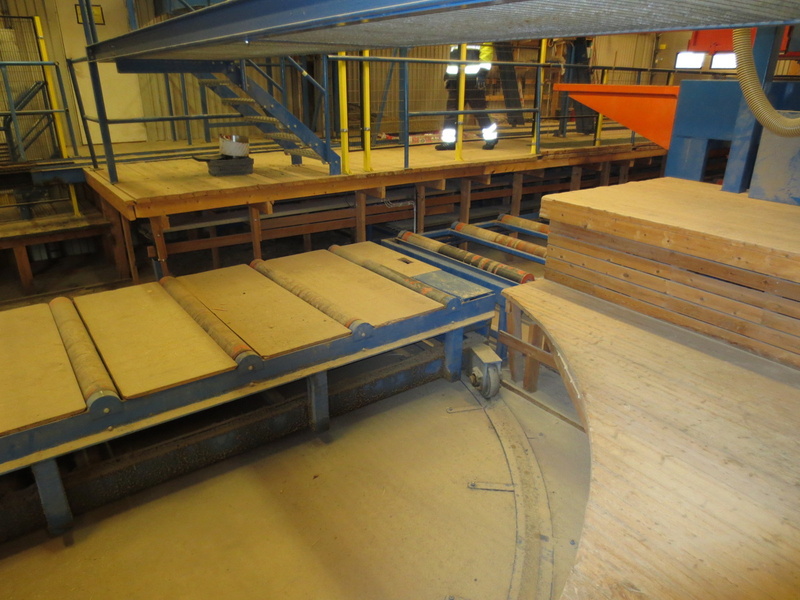 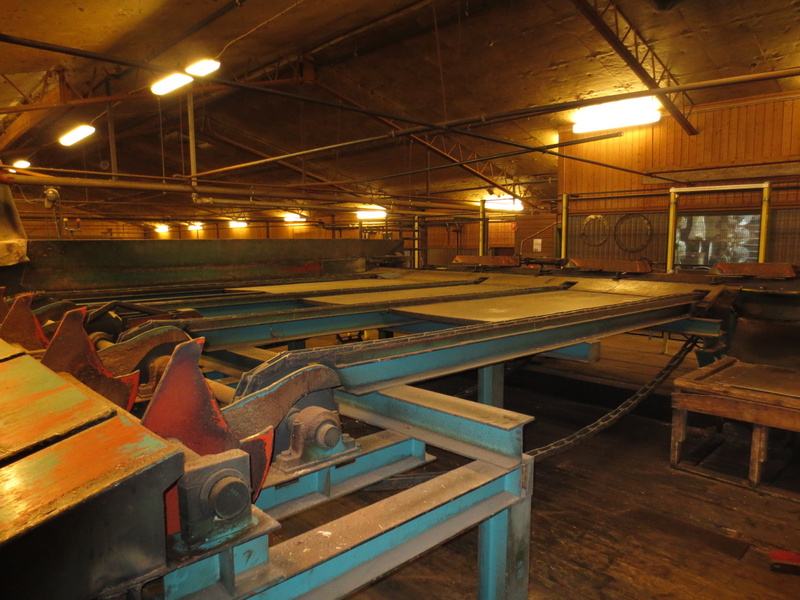 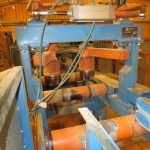 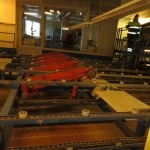 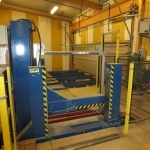 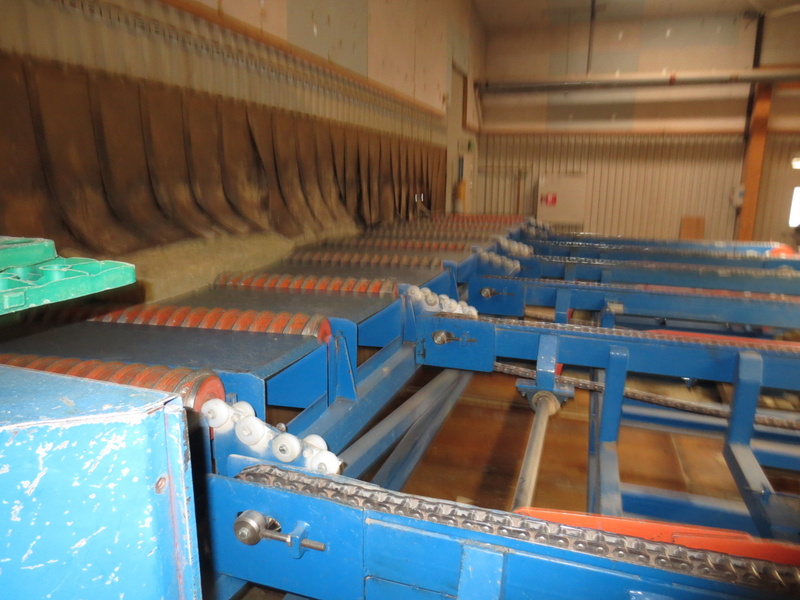 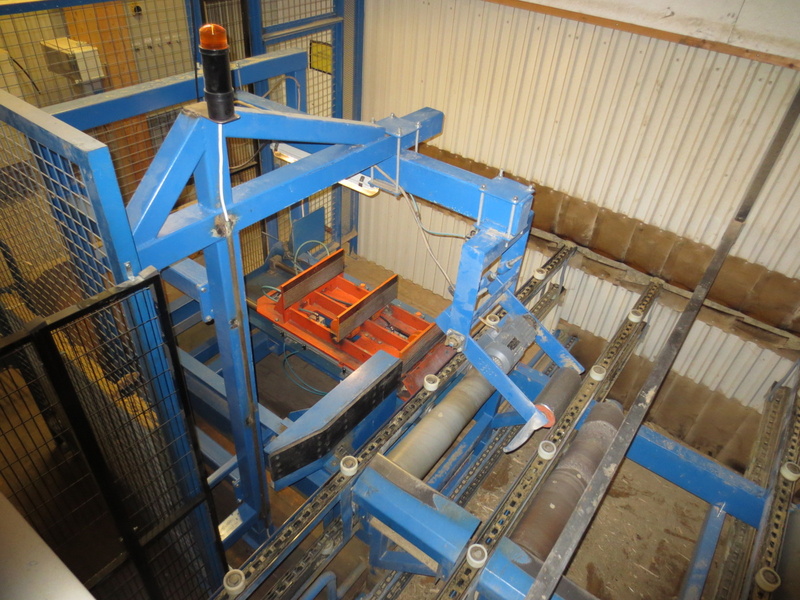 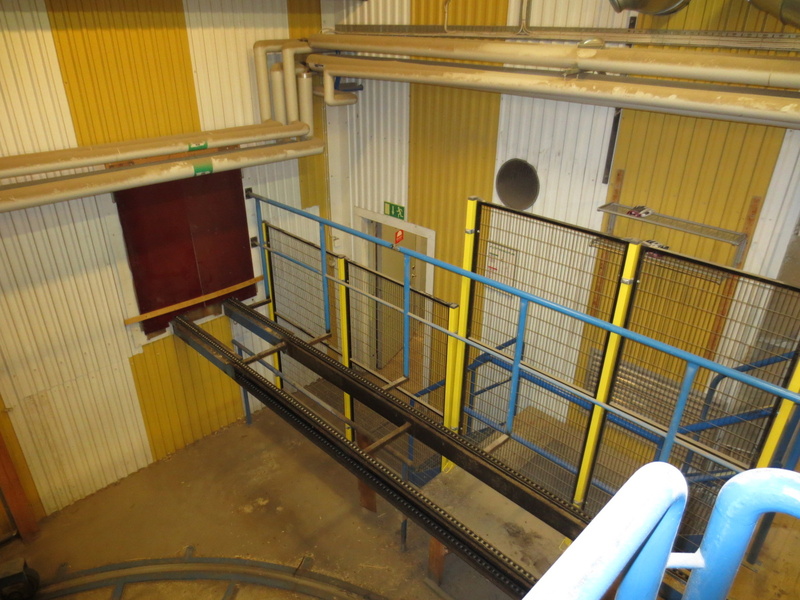 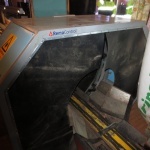 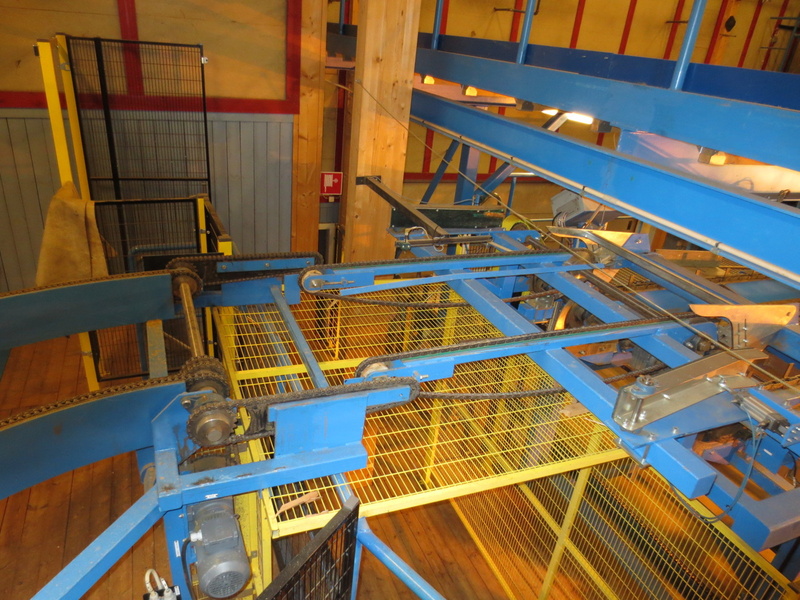 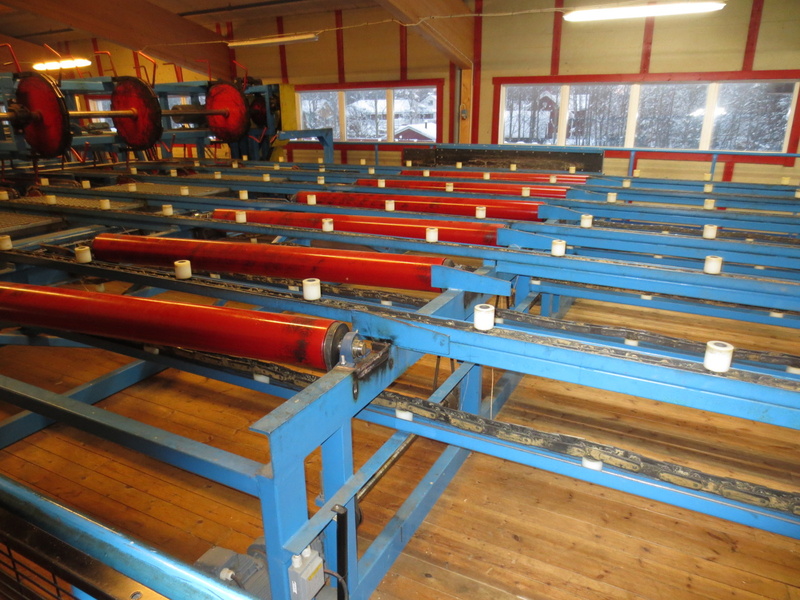 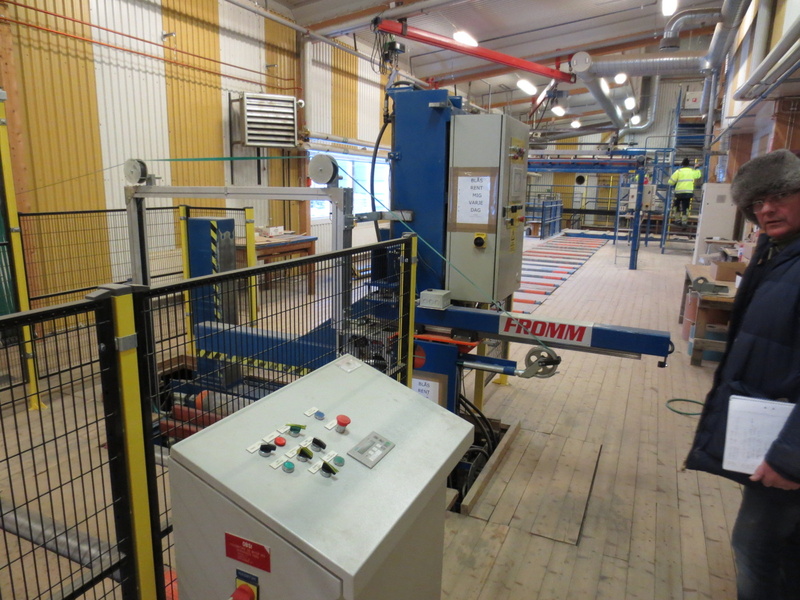 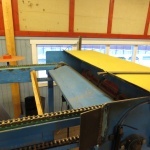 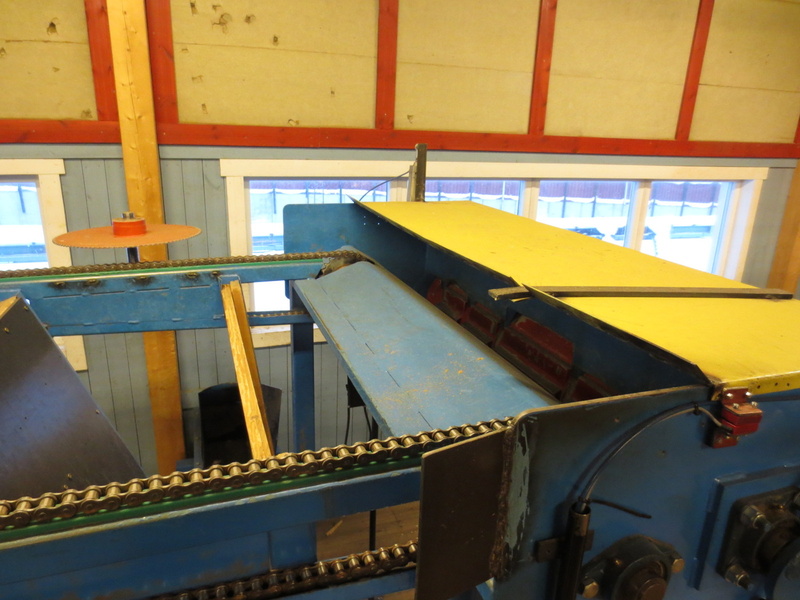 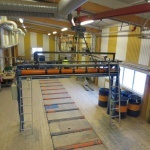 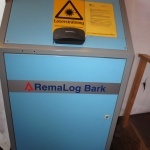 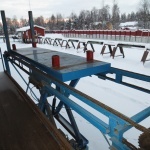 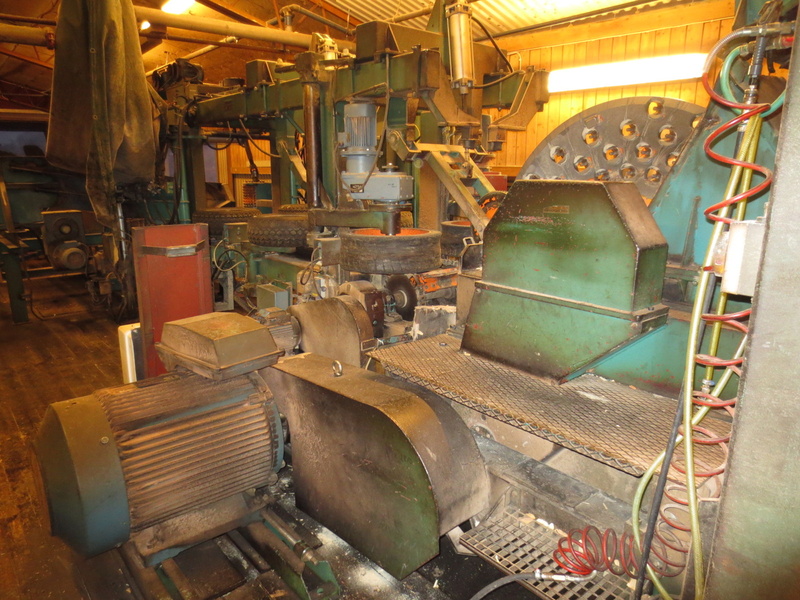 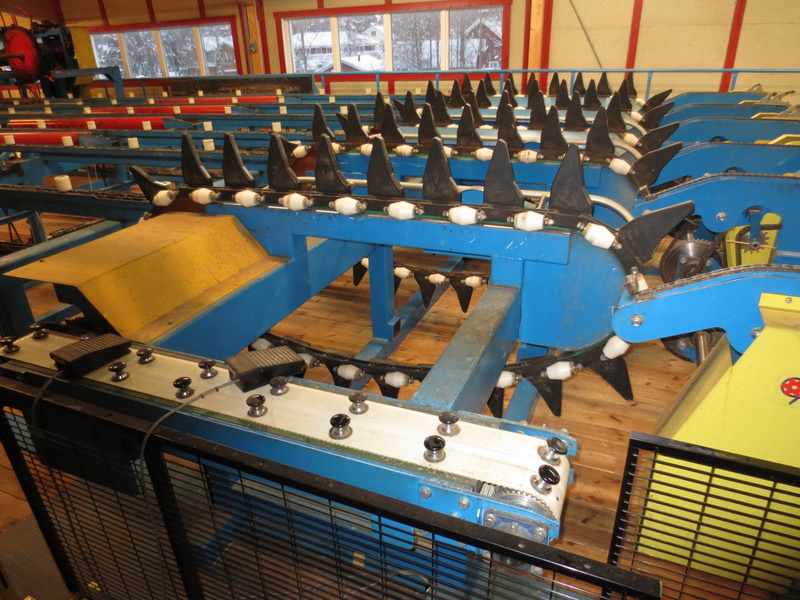 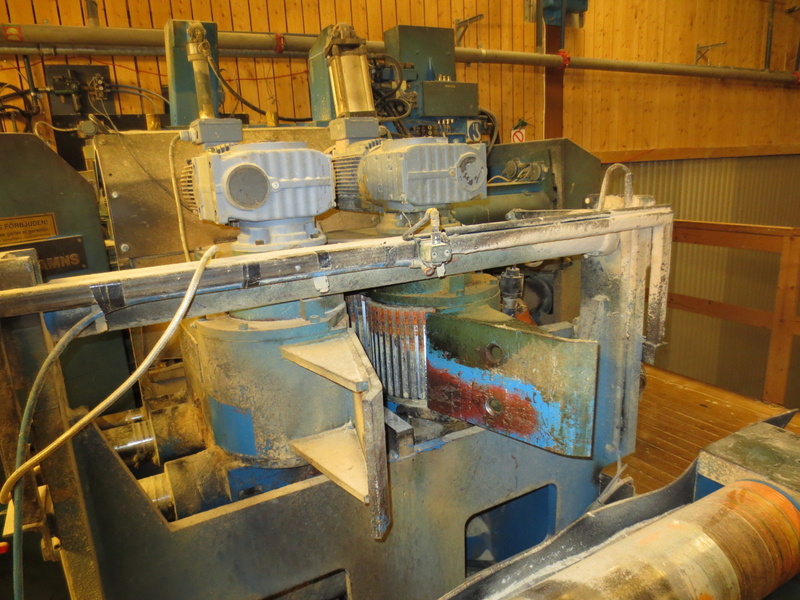 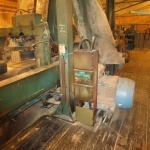 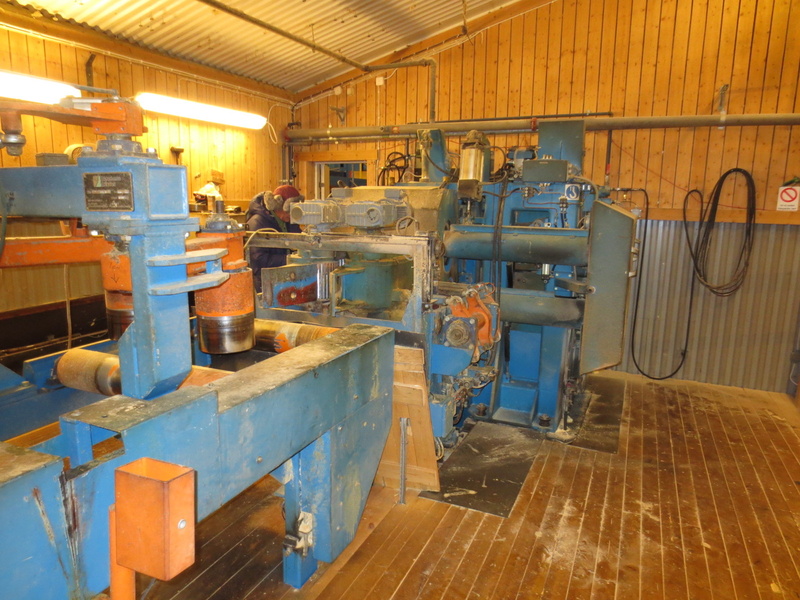 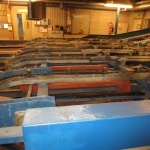 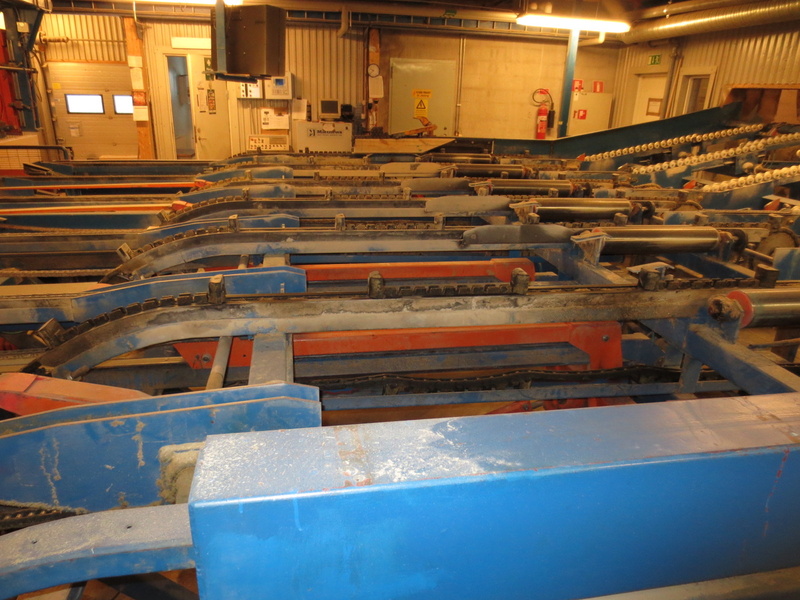 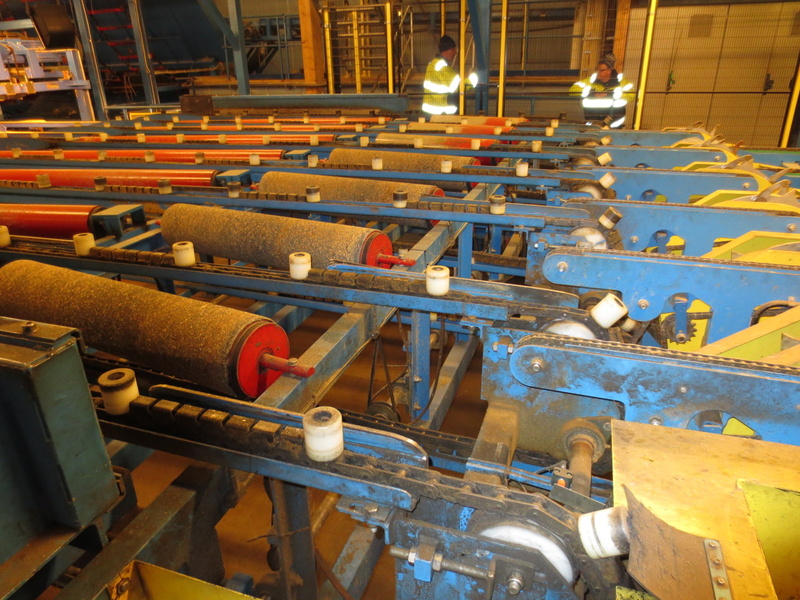 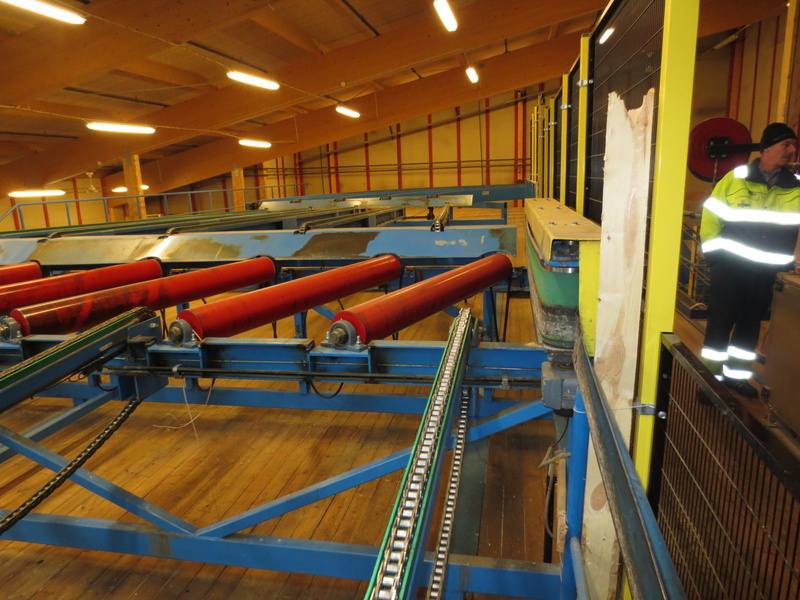 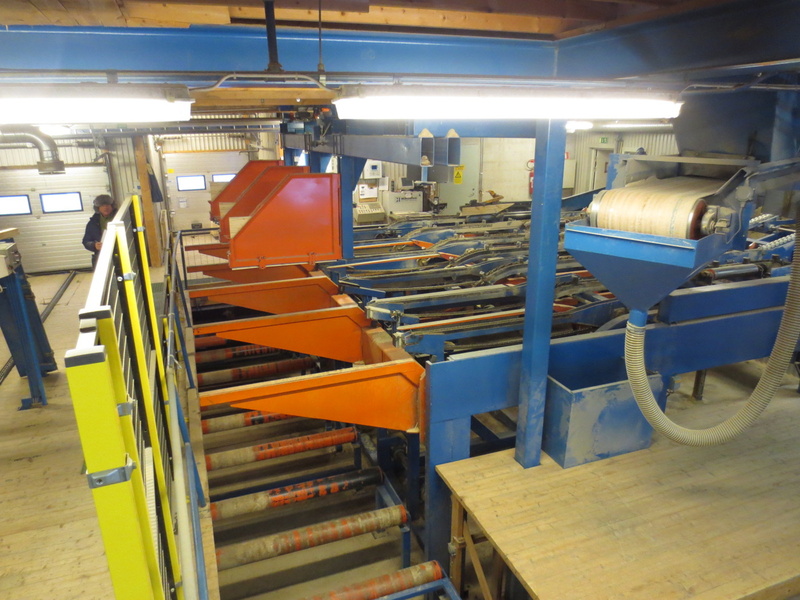 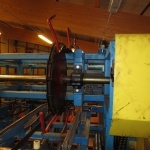 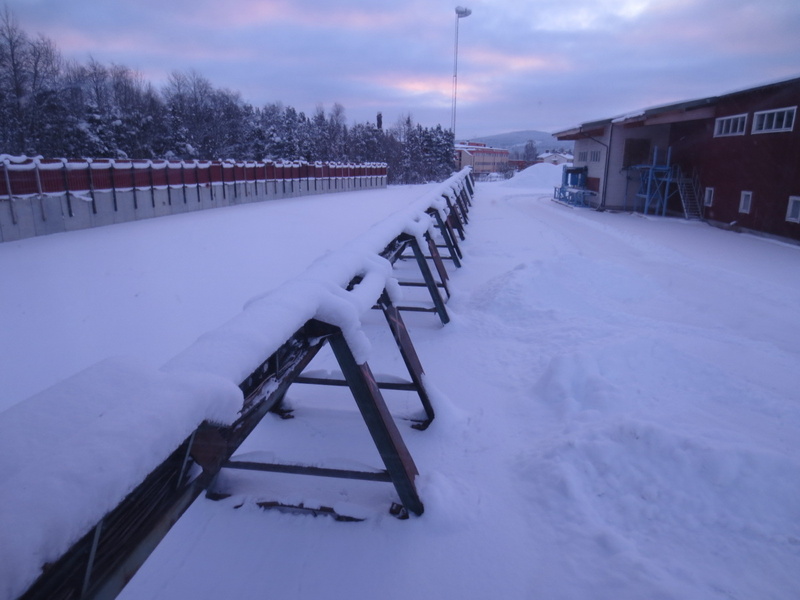 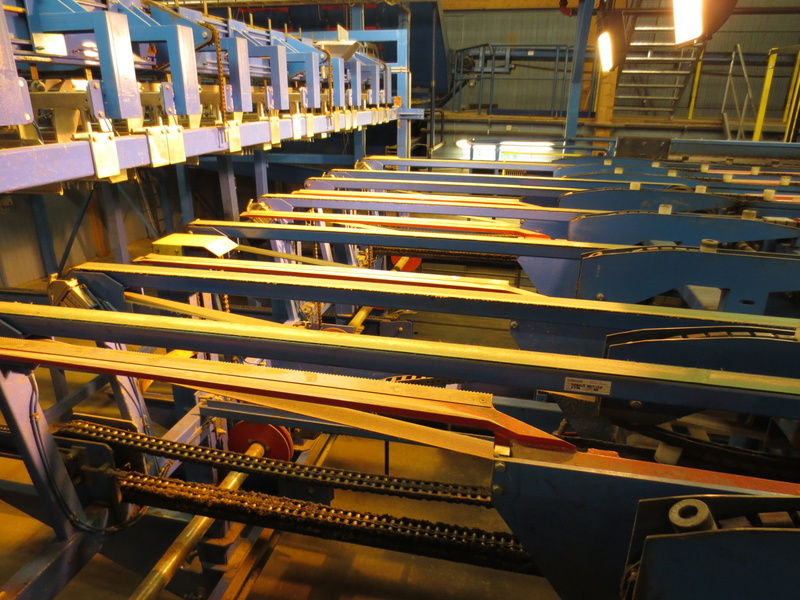 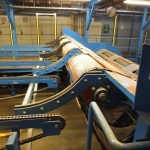 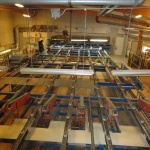 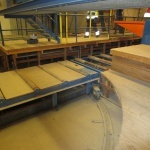 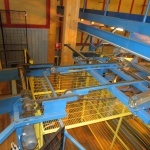 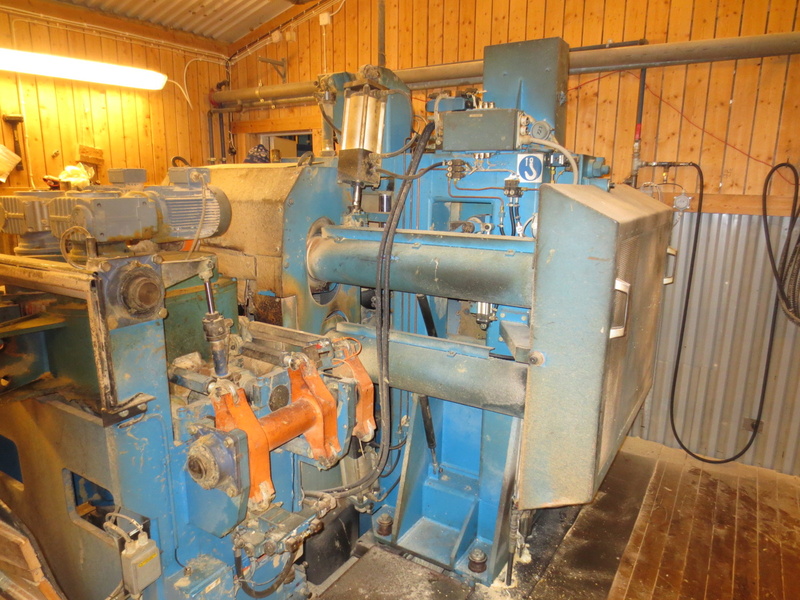 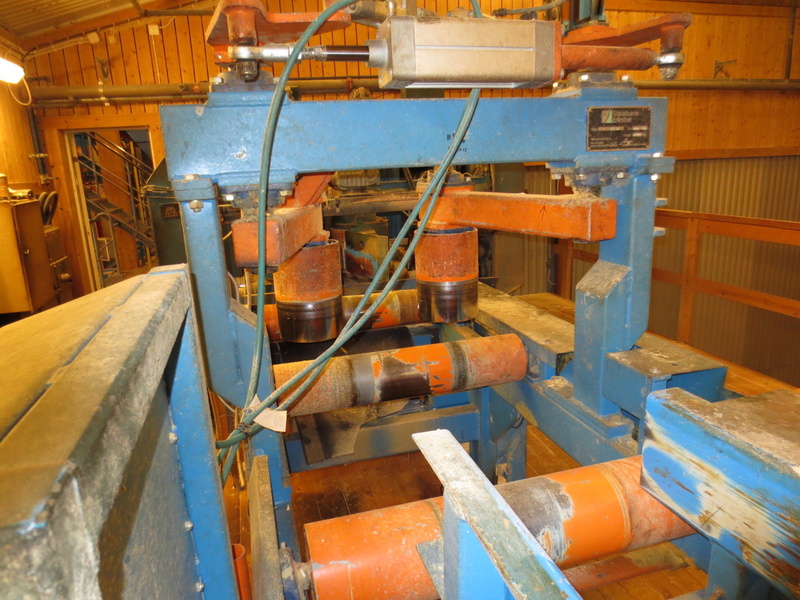 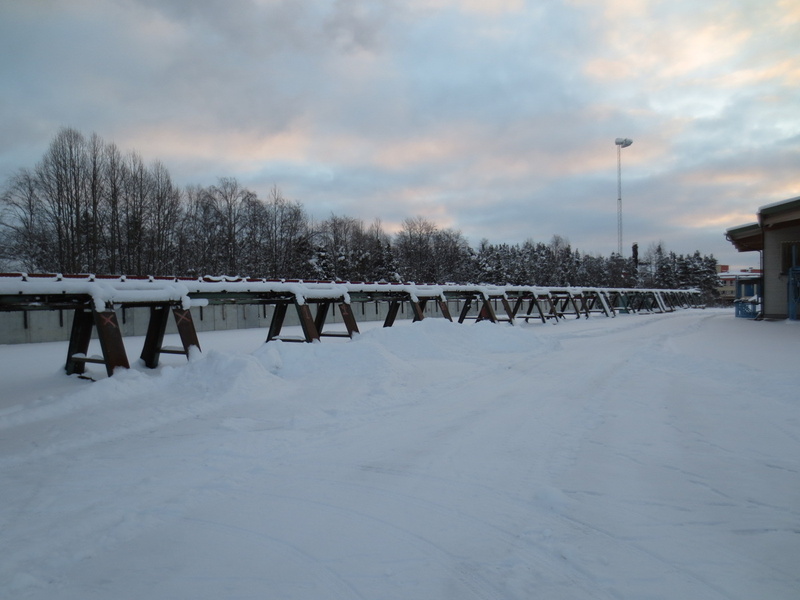 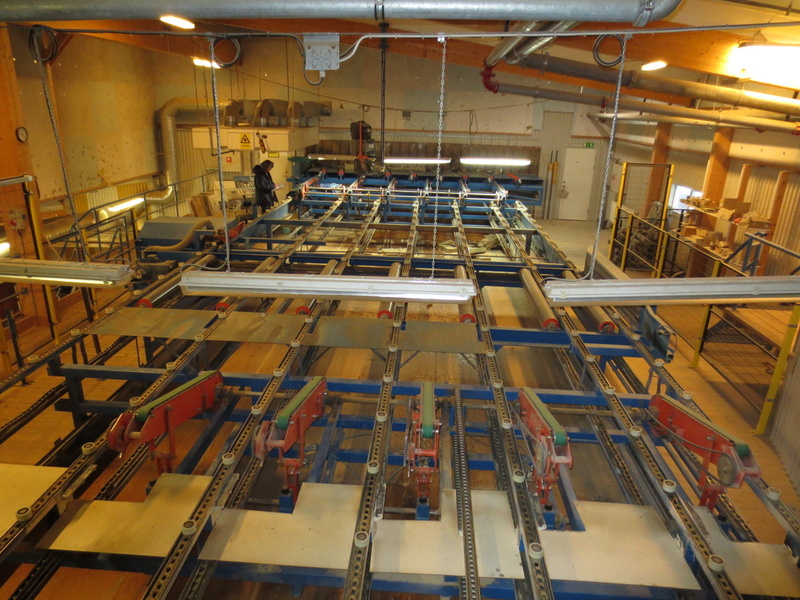 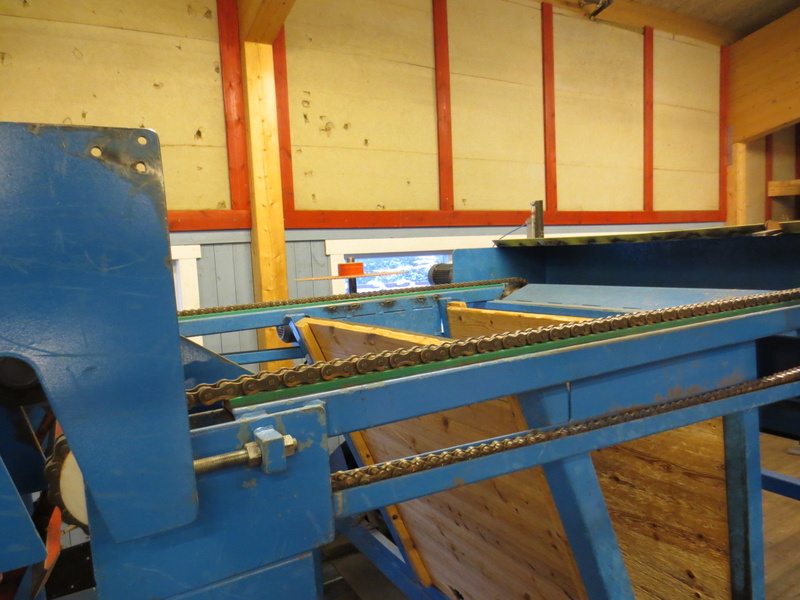 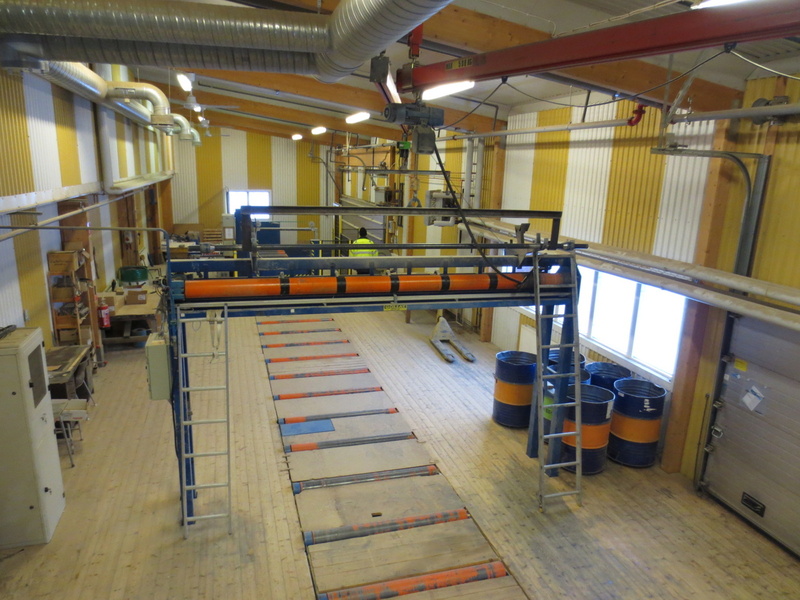 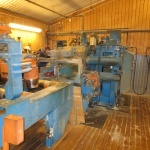 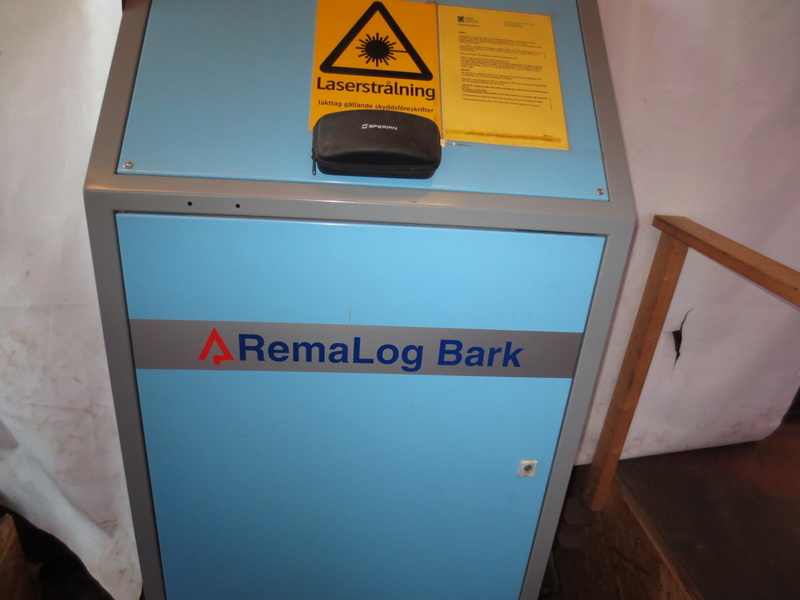 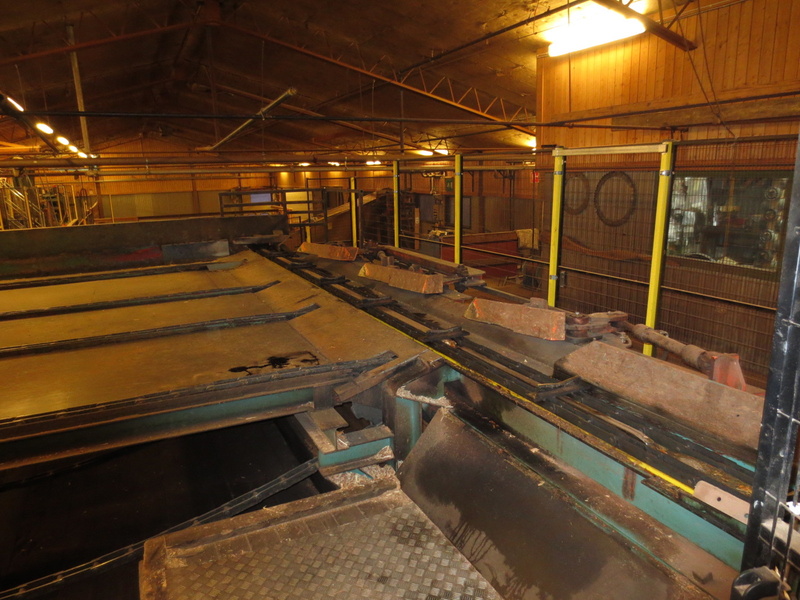 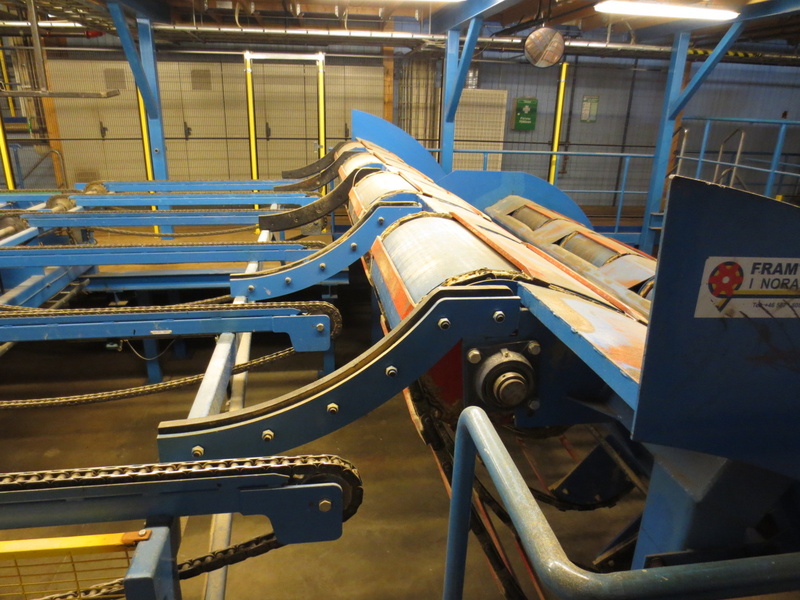 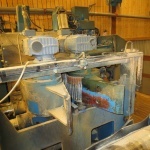 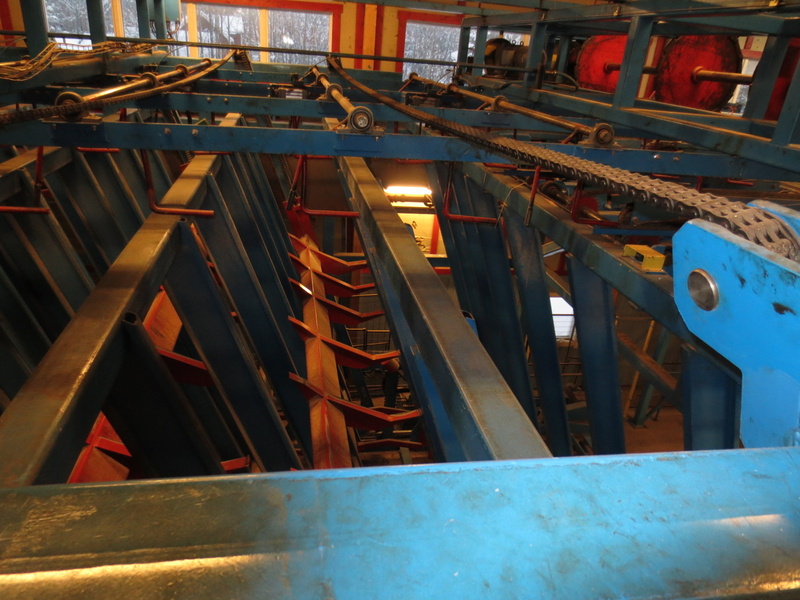 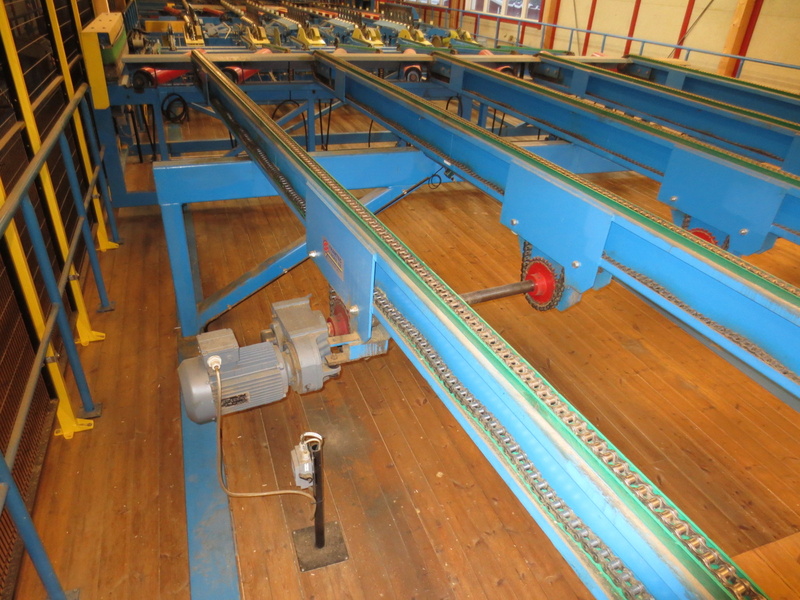 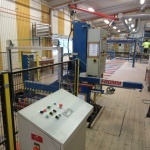 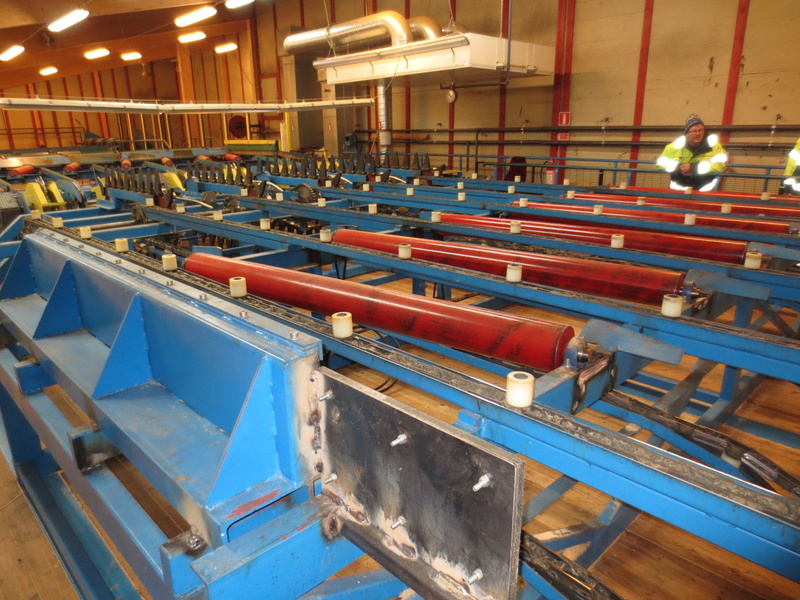 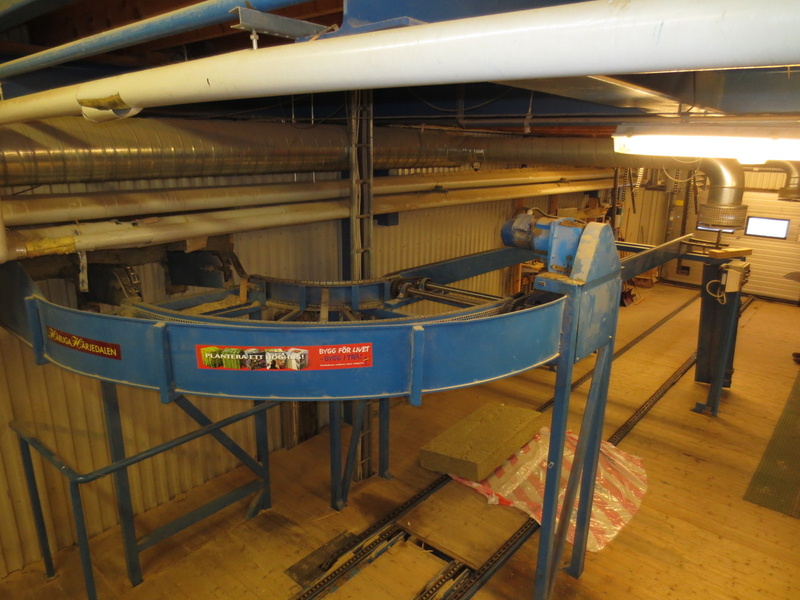 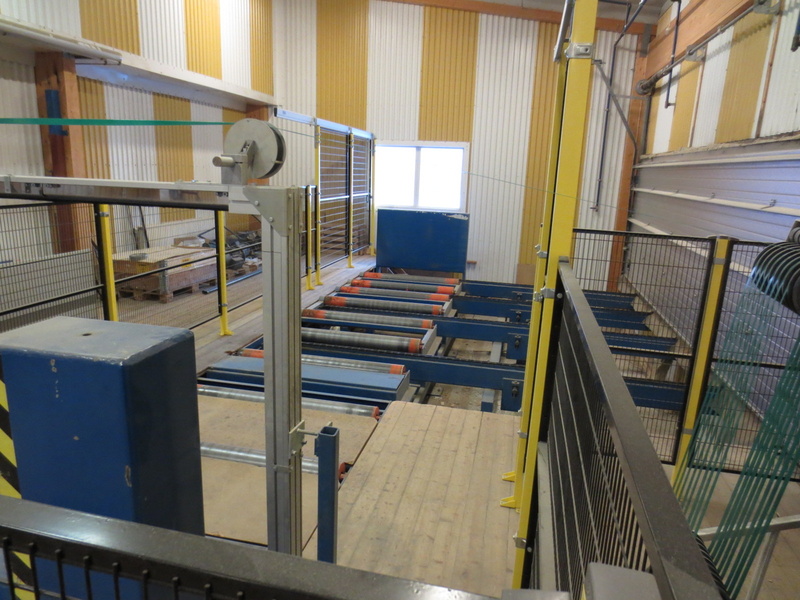 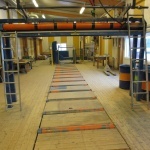 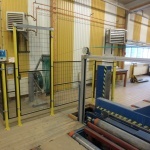 Ingvar Persson AB log sorting line whit Rema 3D bark scanner, 2X13 pockets. 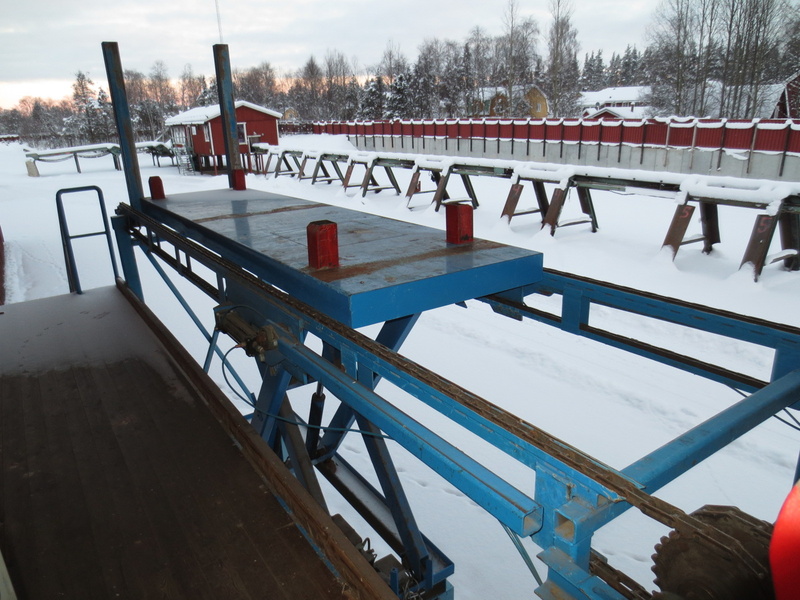 Logintake, Söderhamn Cambio 45 AirTen debarker, Söderhamn 447 infeed to Söderhamn 240-12 -3D chippercanter x 2, Söderhamn EUROMILL profiling saw. 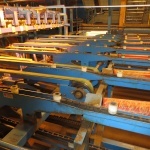 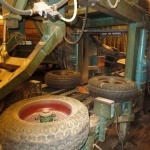 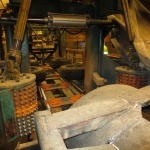 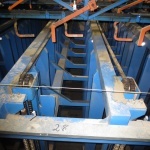 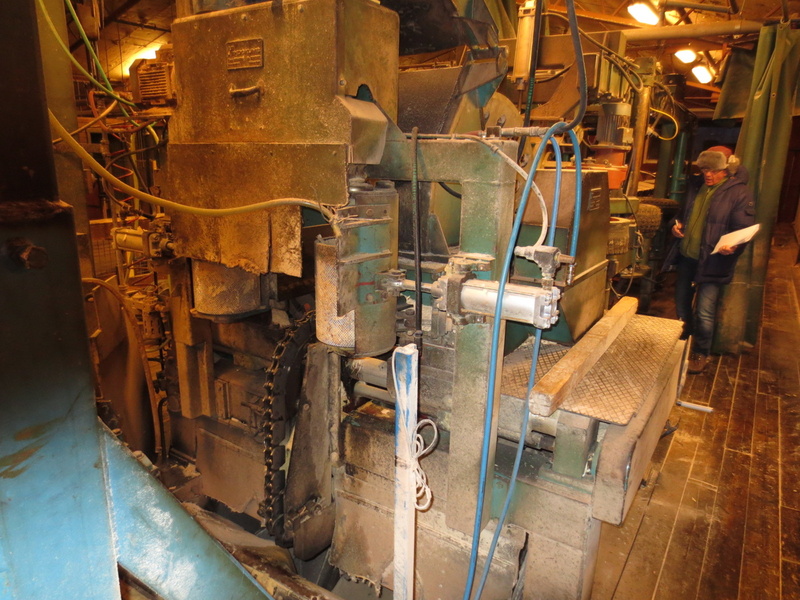 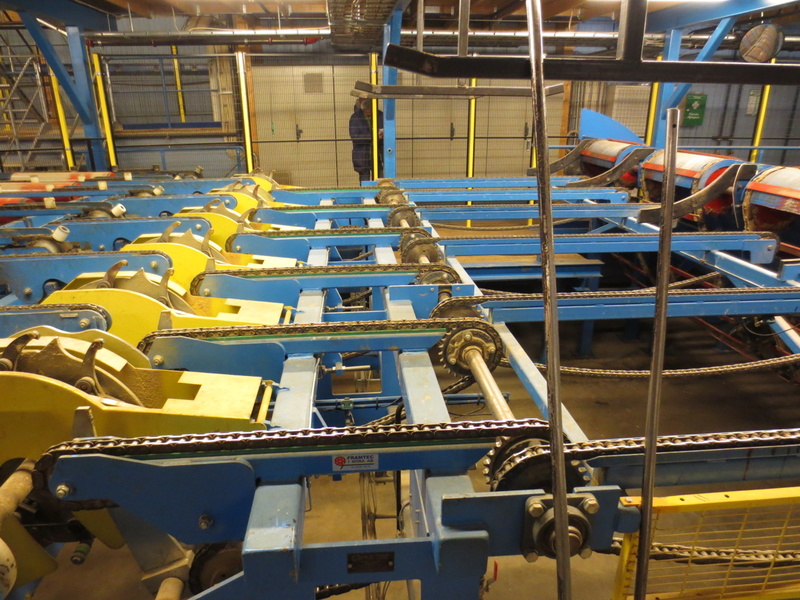 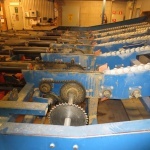 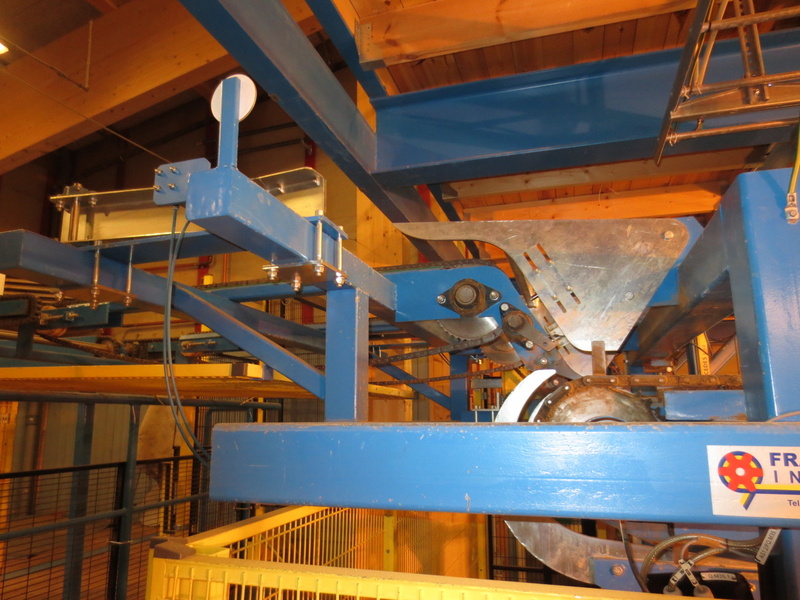 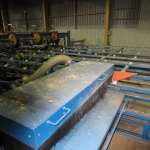 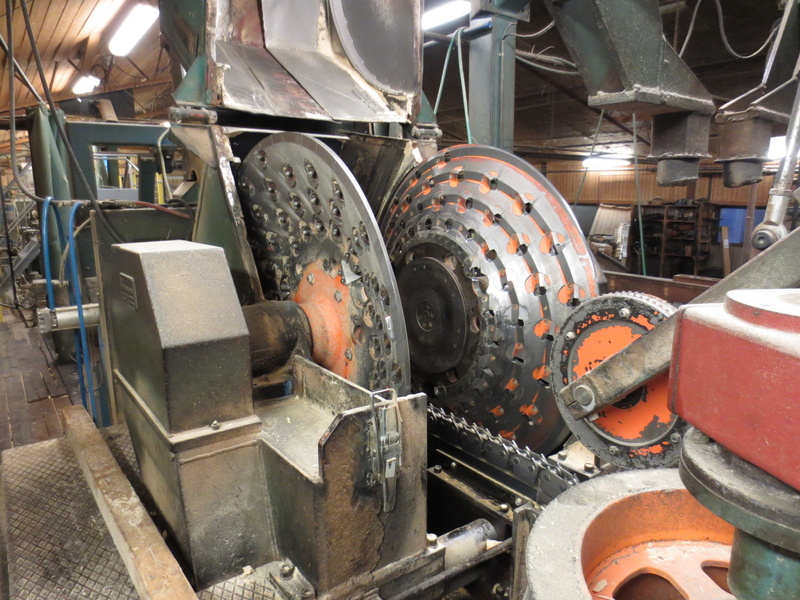 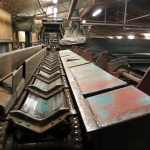 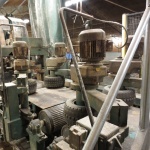 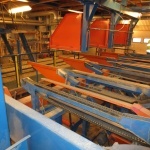 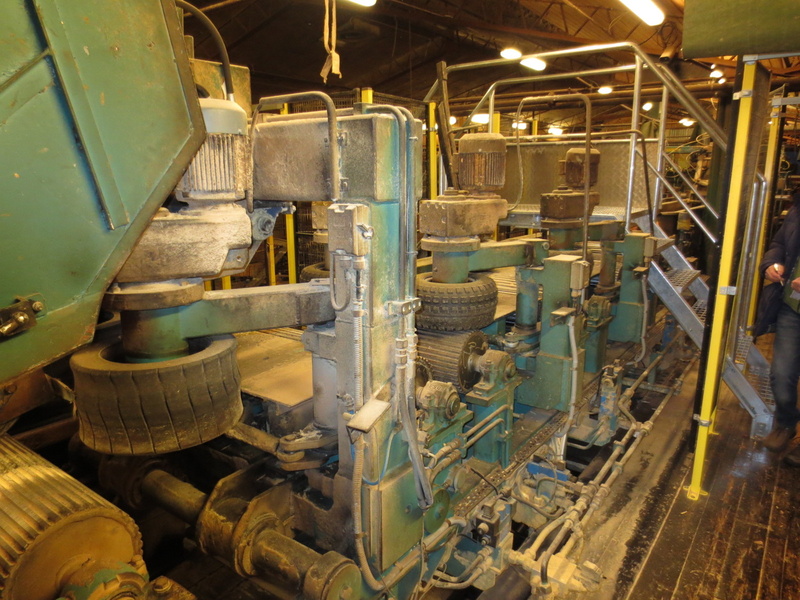 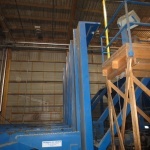 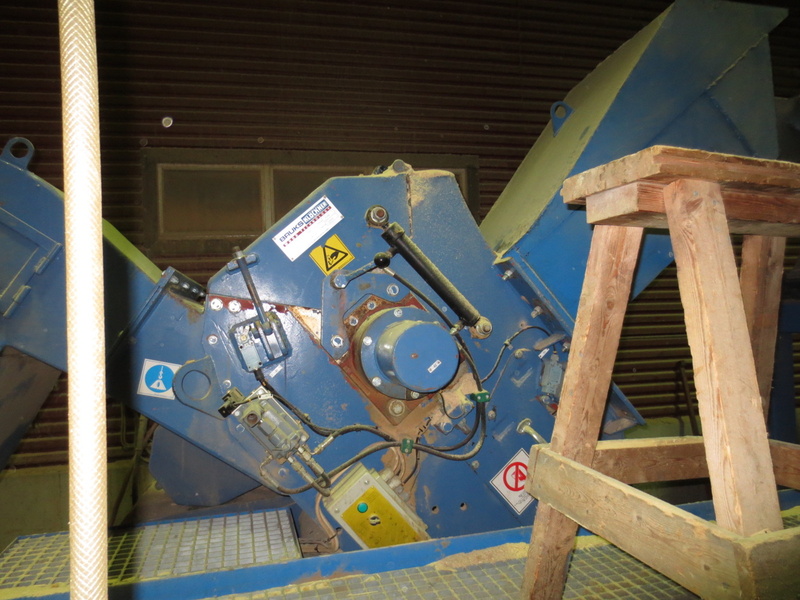 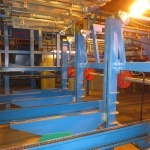 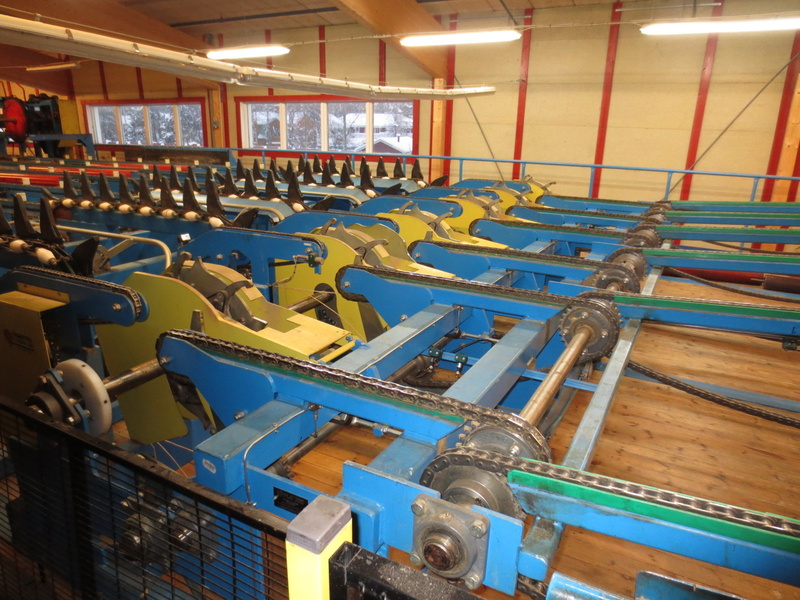 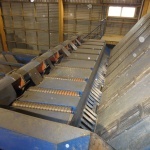 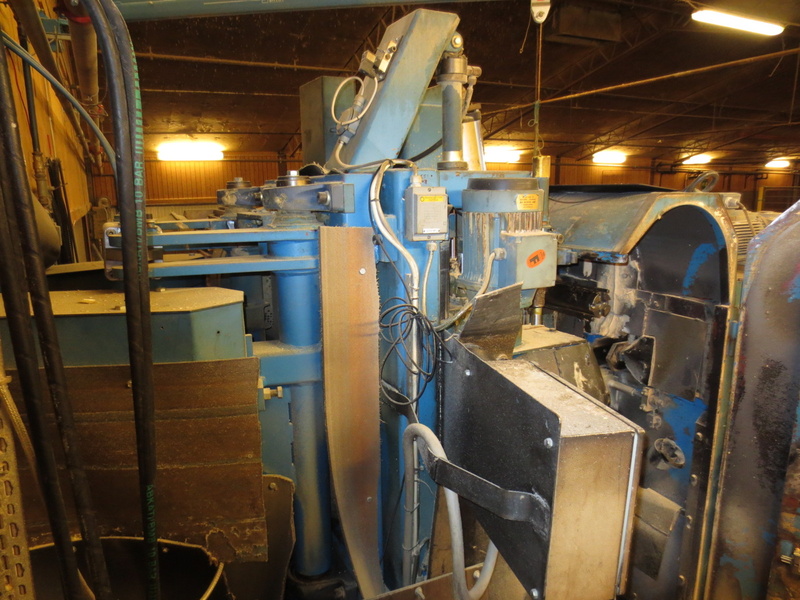 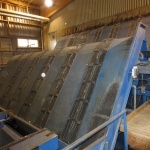 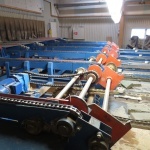 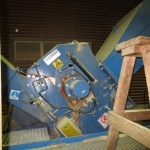 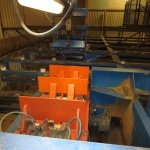 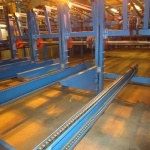 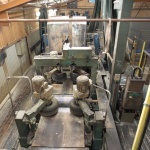 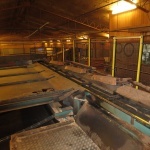 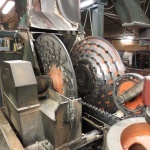 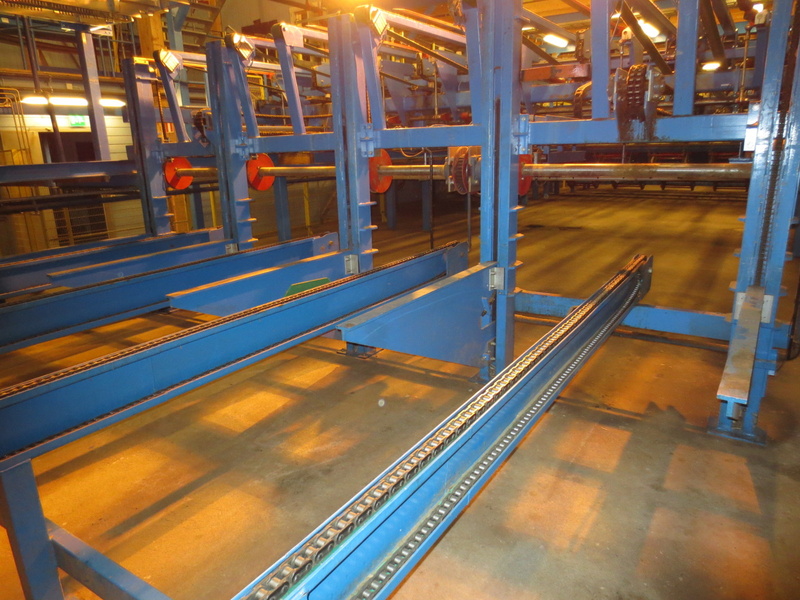 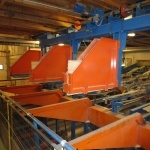 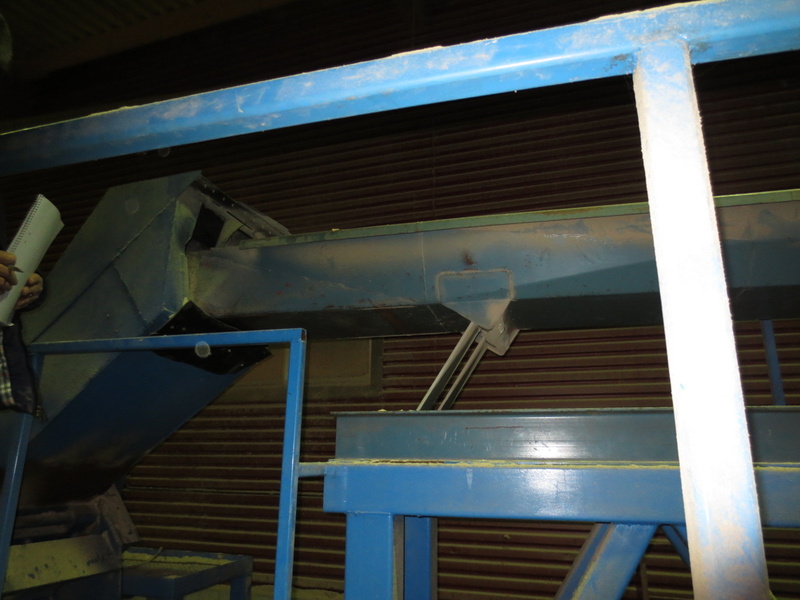 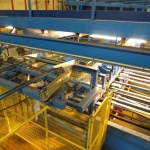 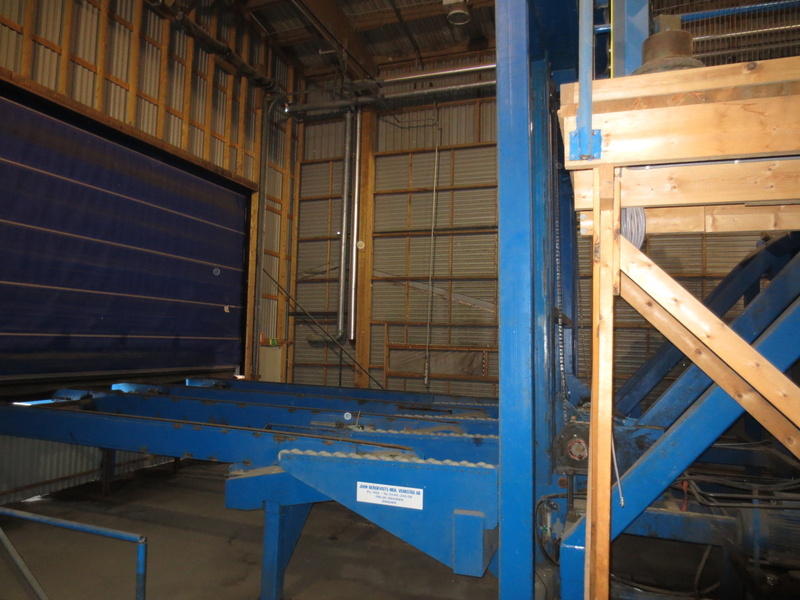 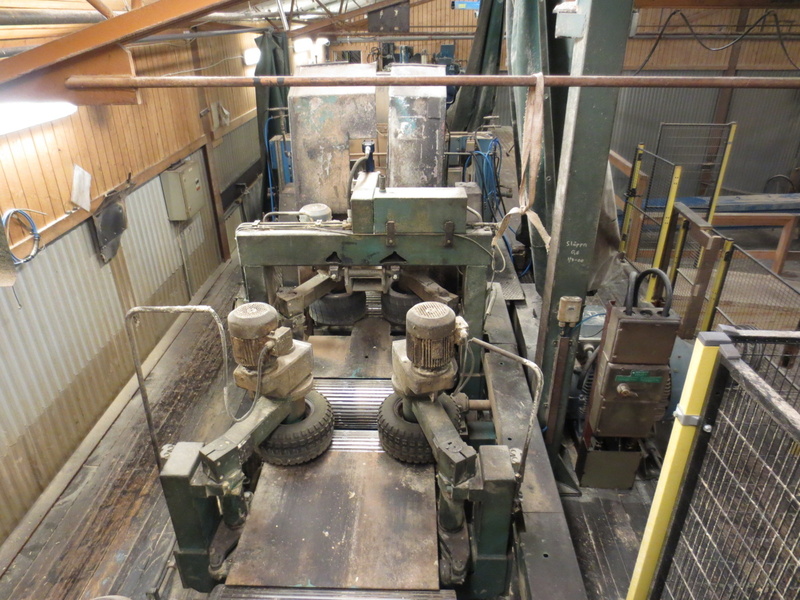 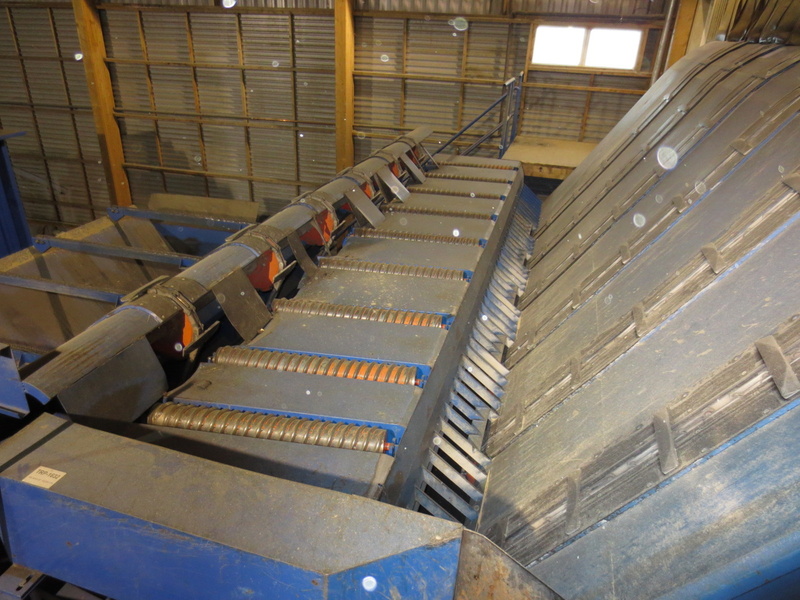 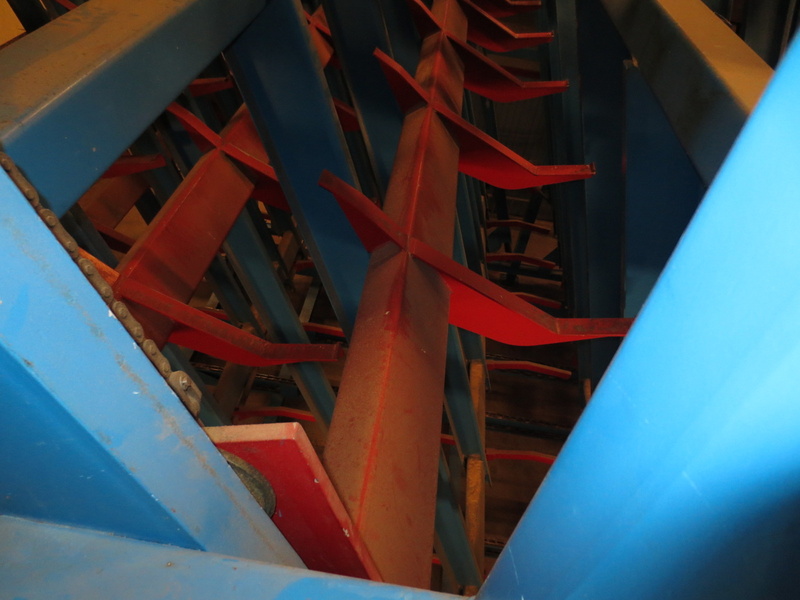 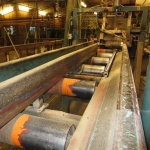 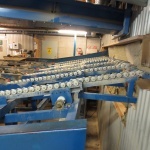 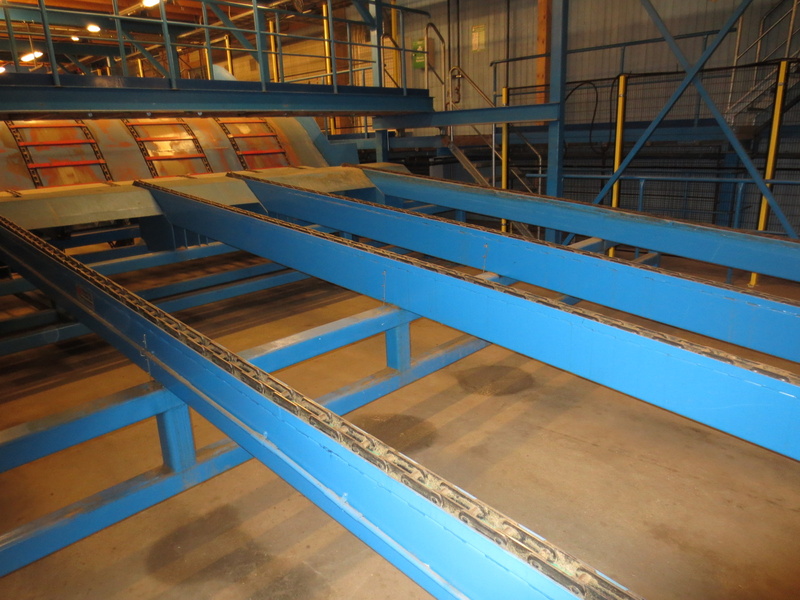 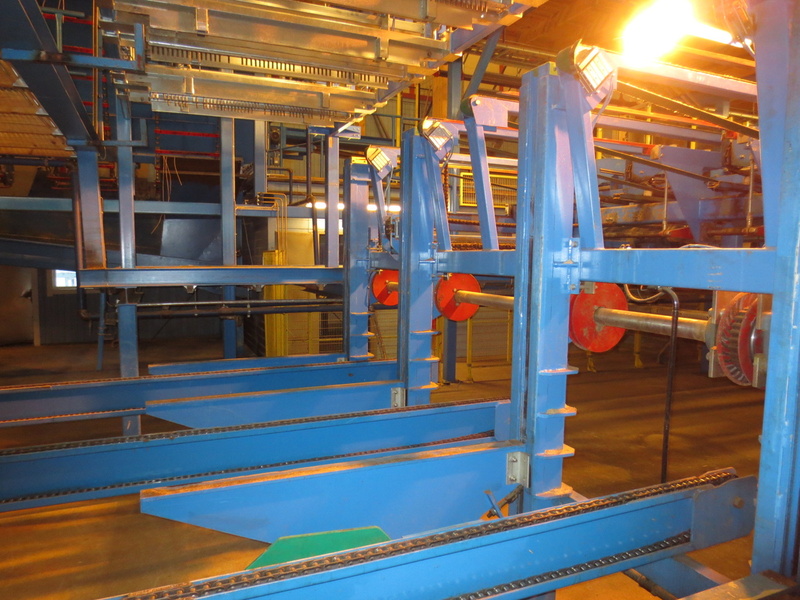 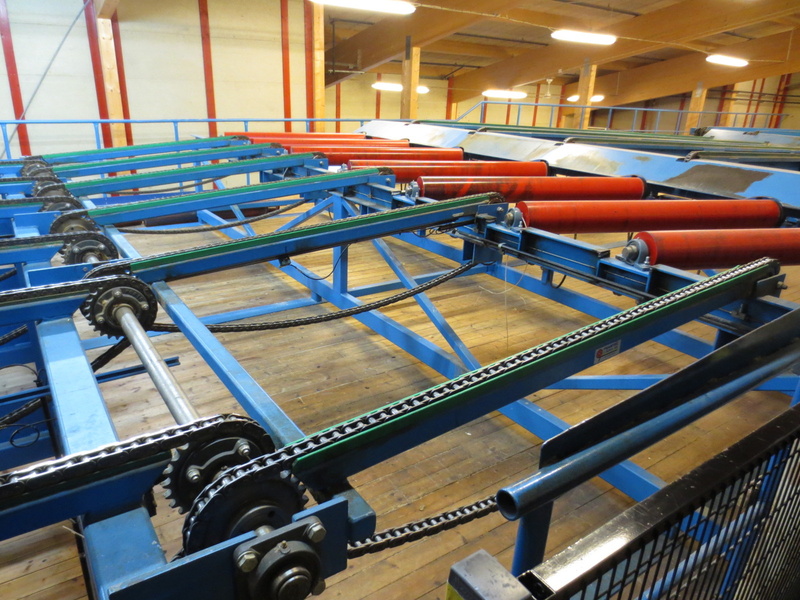 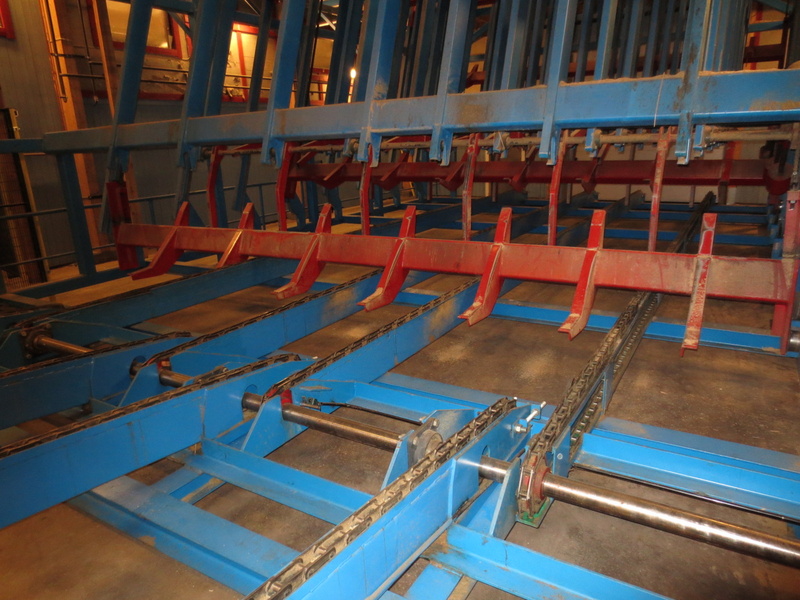 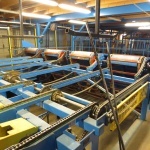 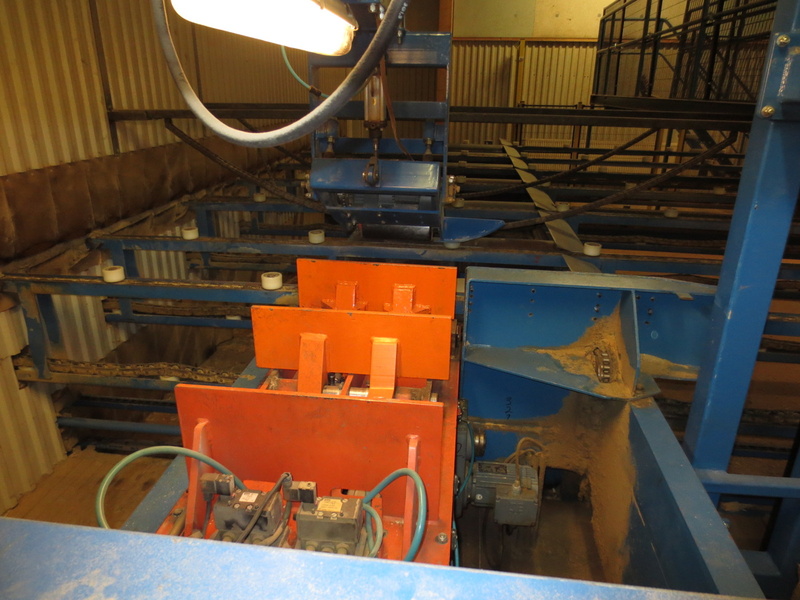 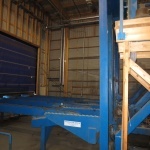 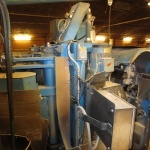 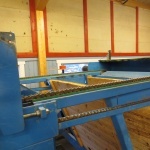 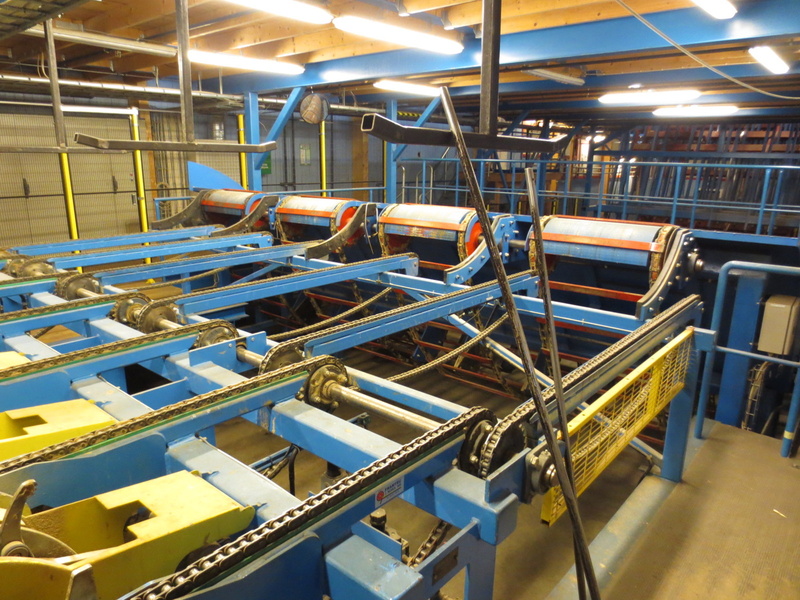 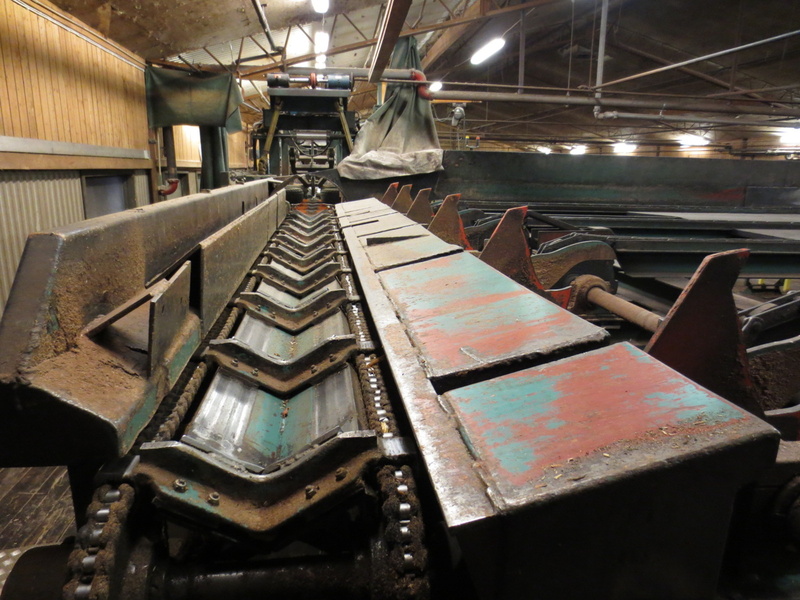 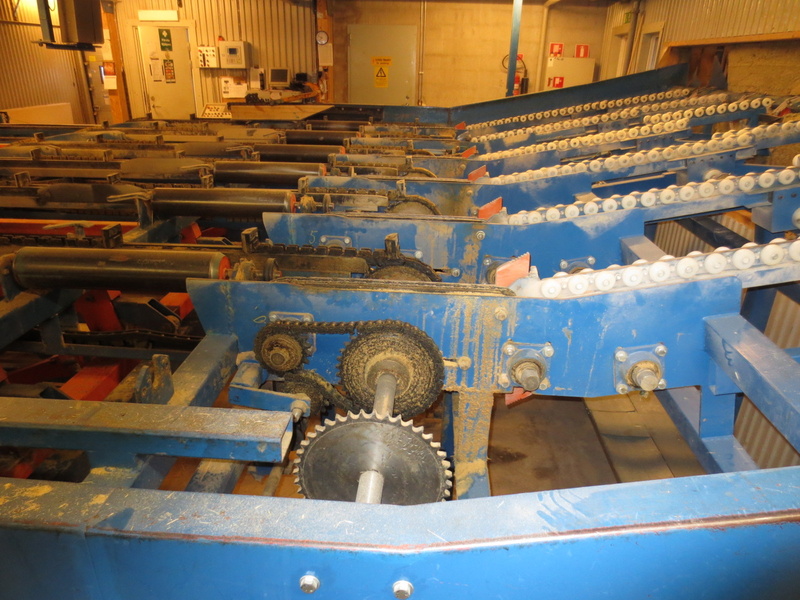 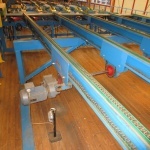 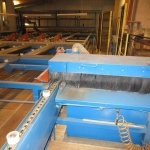 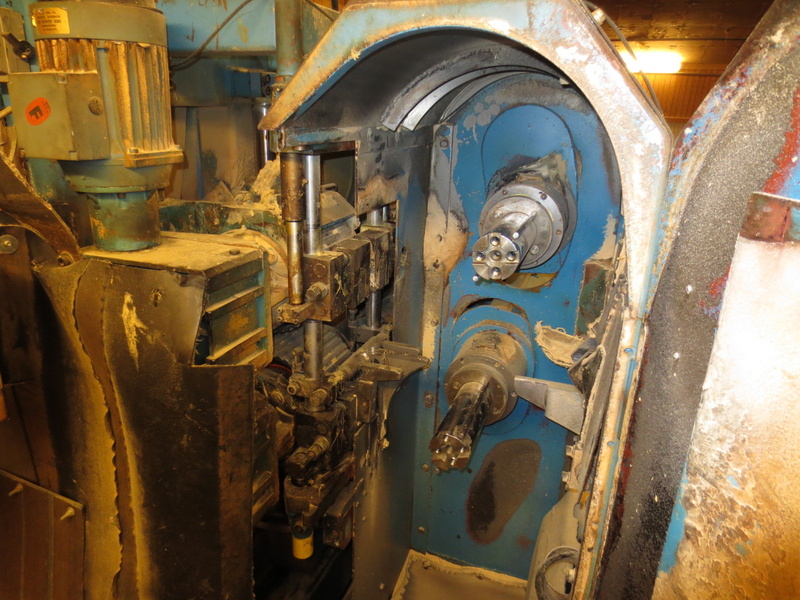 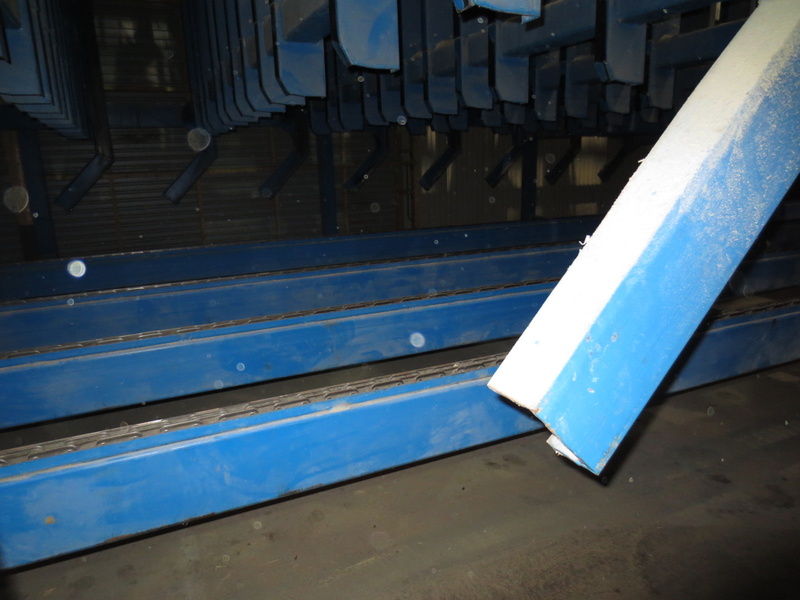 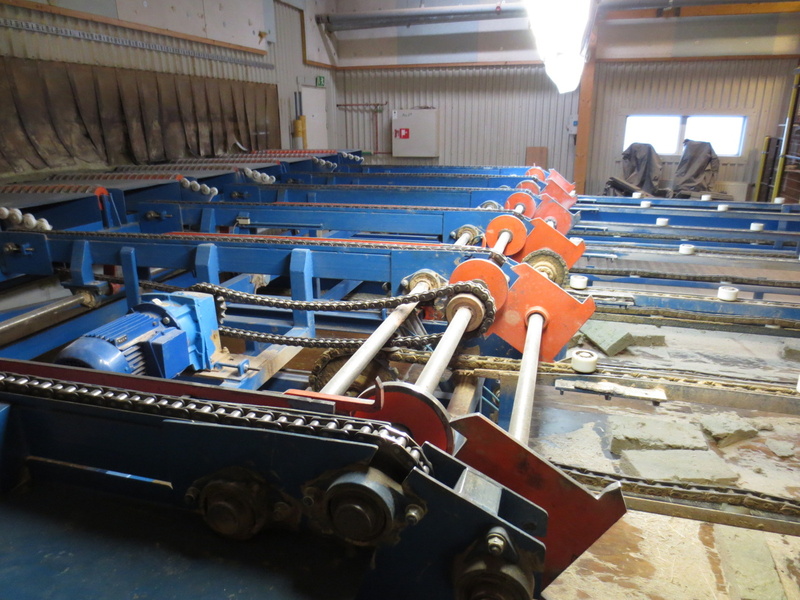 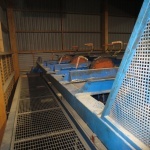 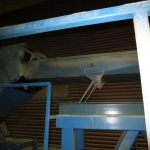 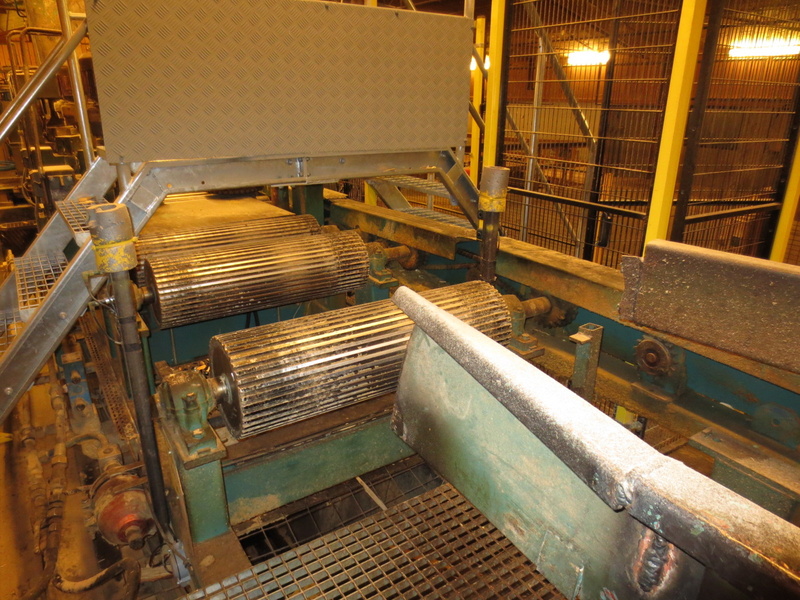 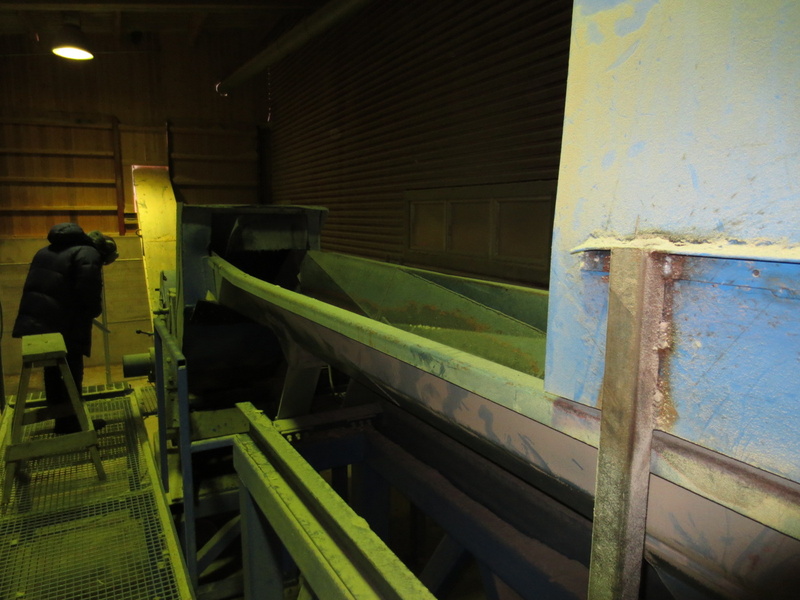 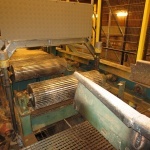 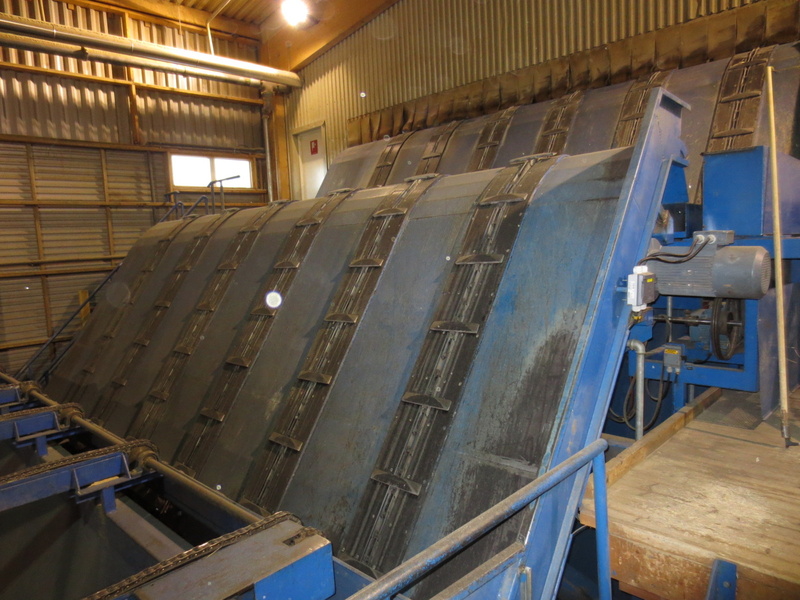 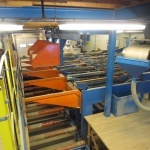 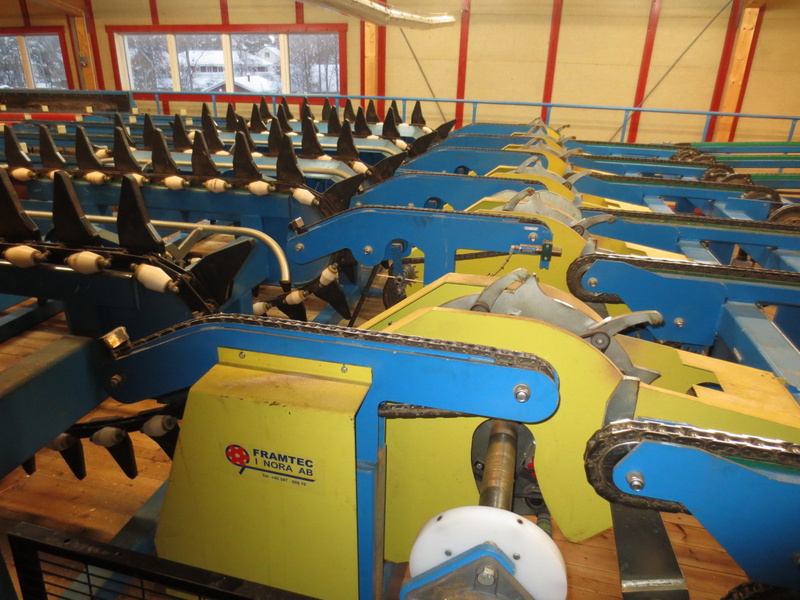 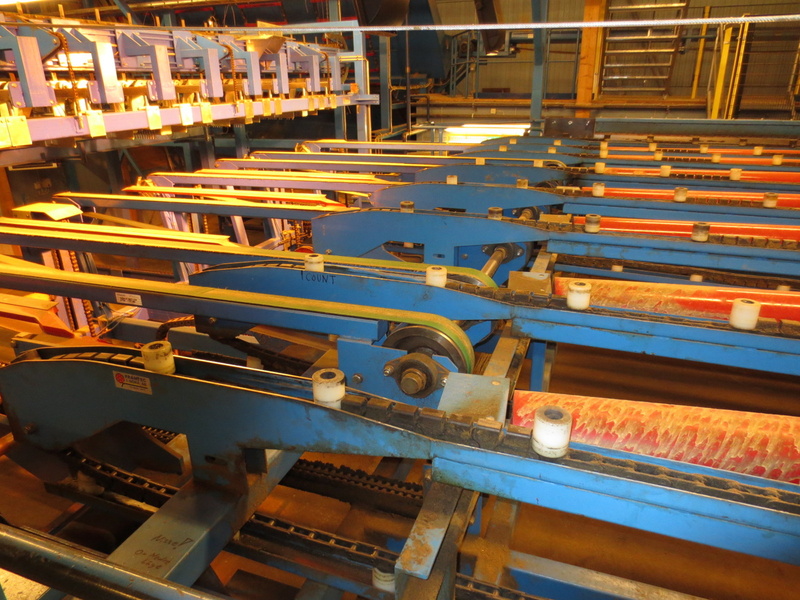 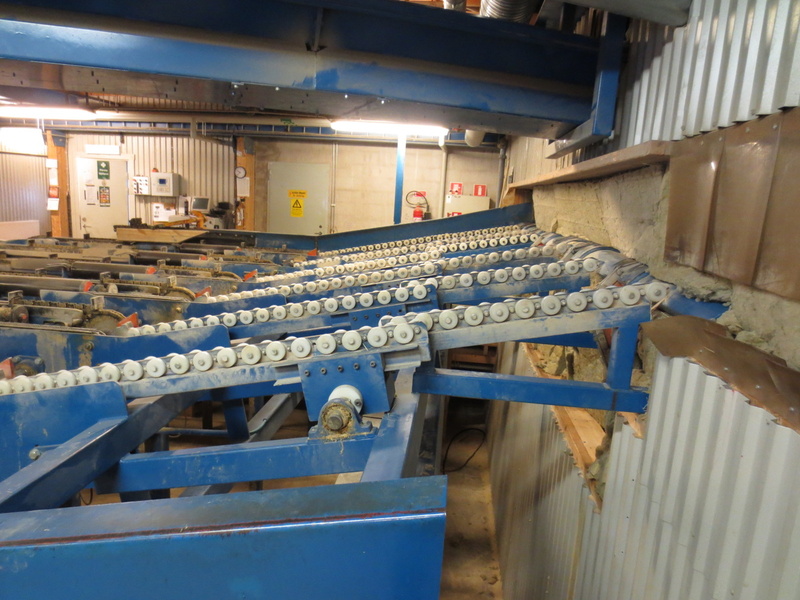 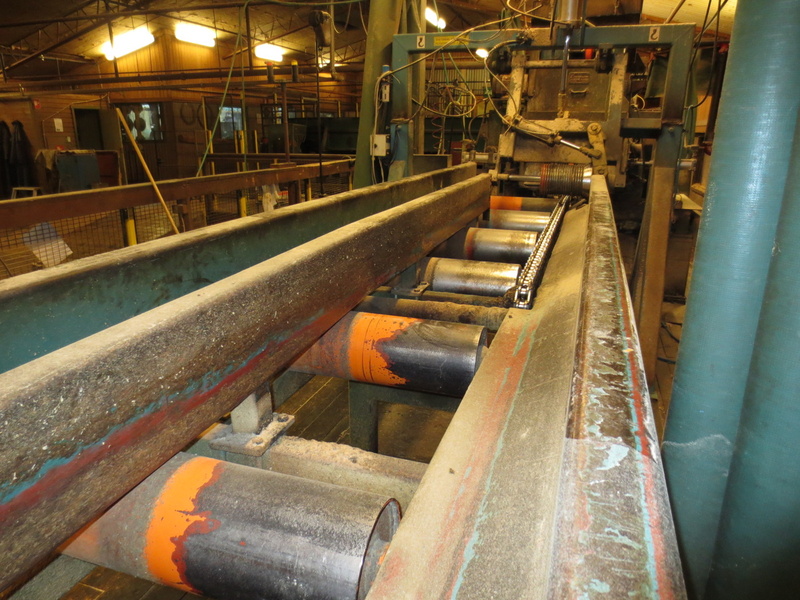 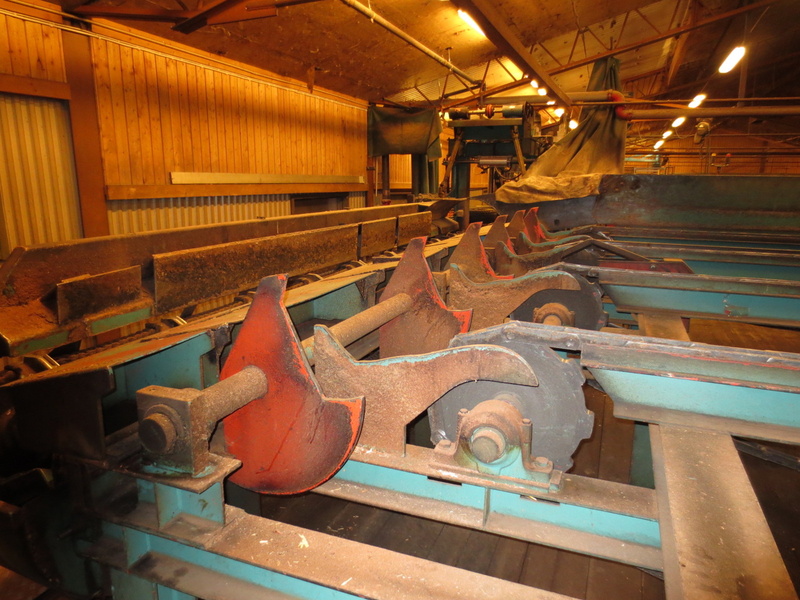 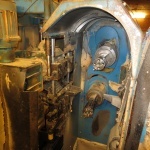 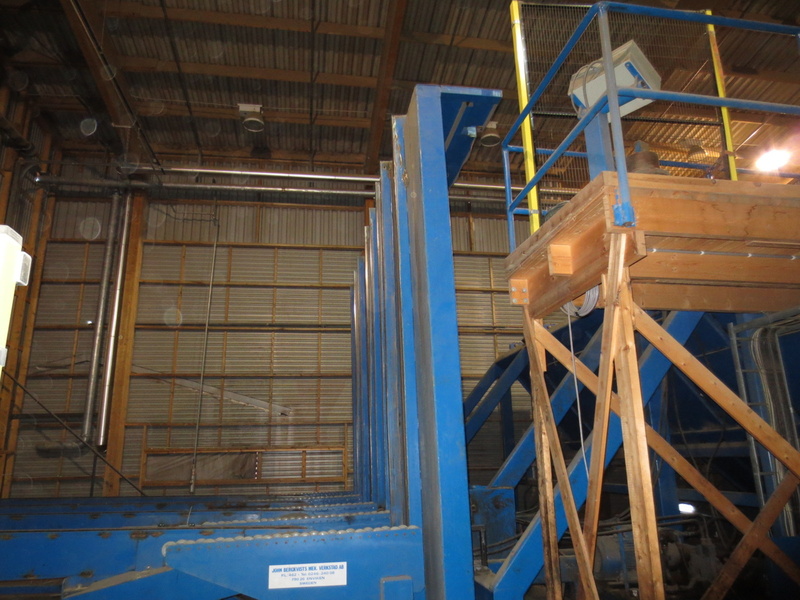 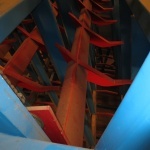 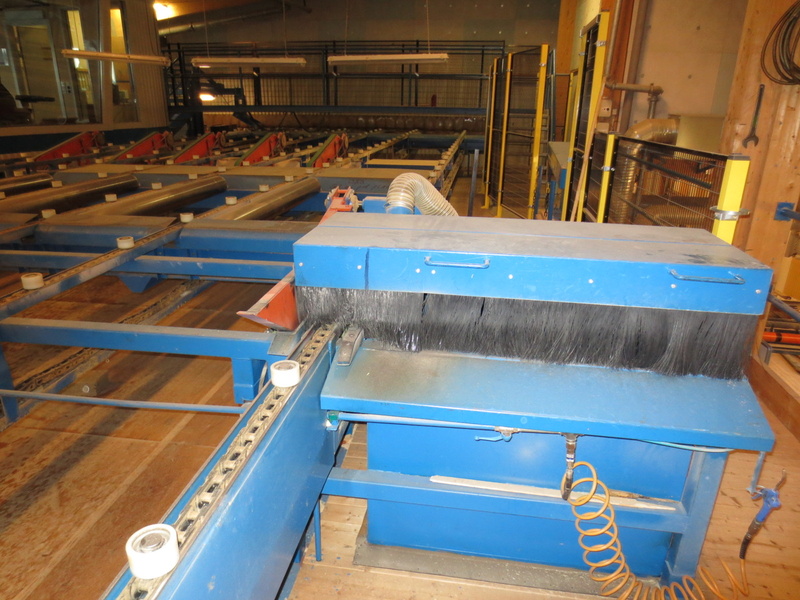 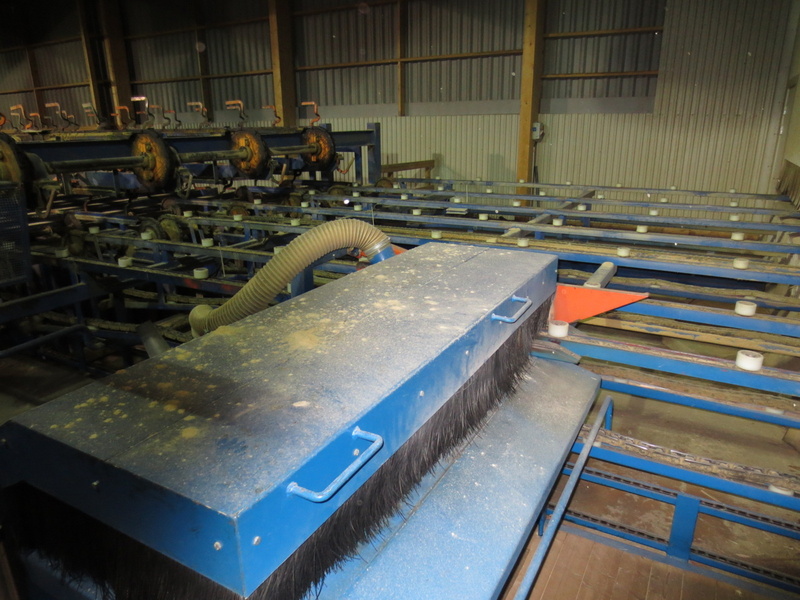 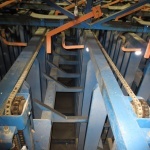 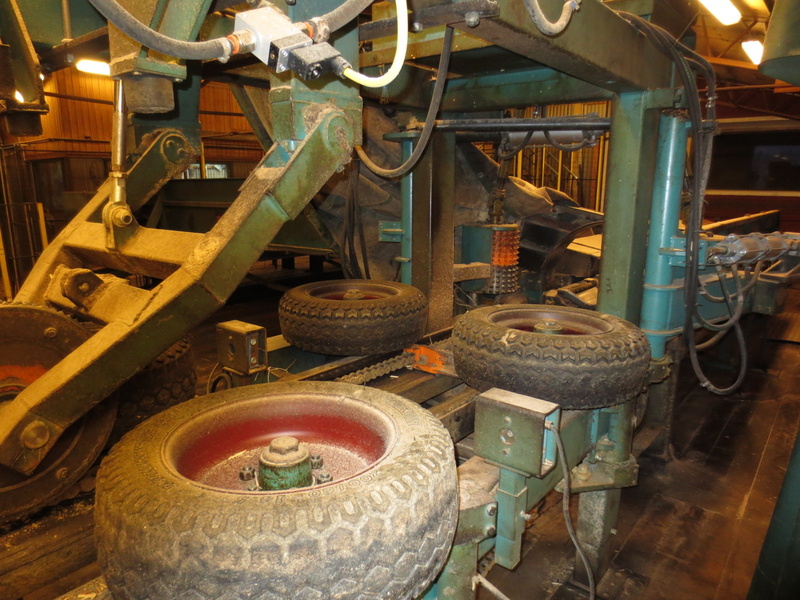 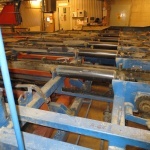 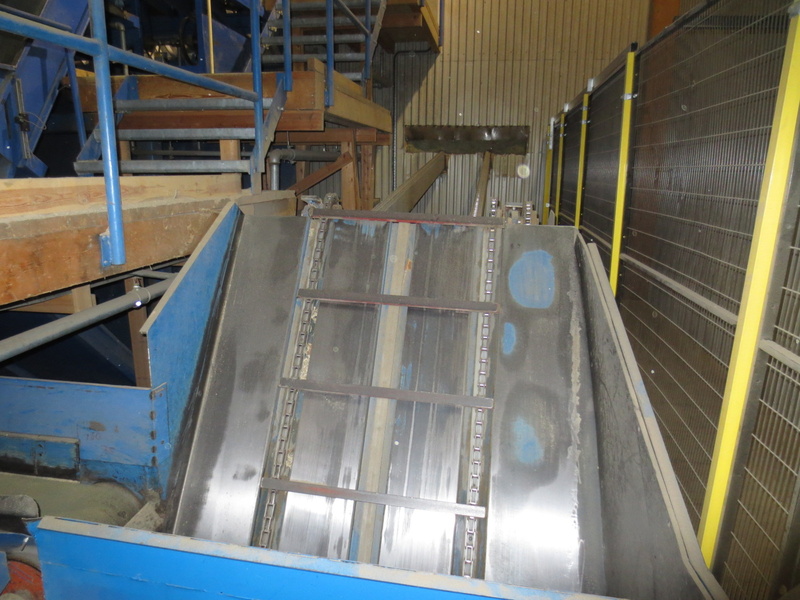 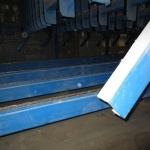 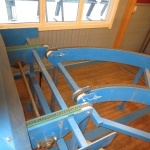 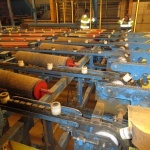 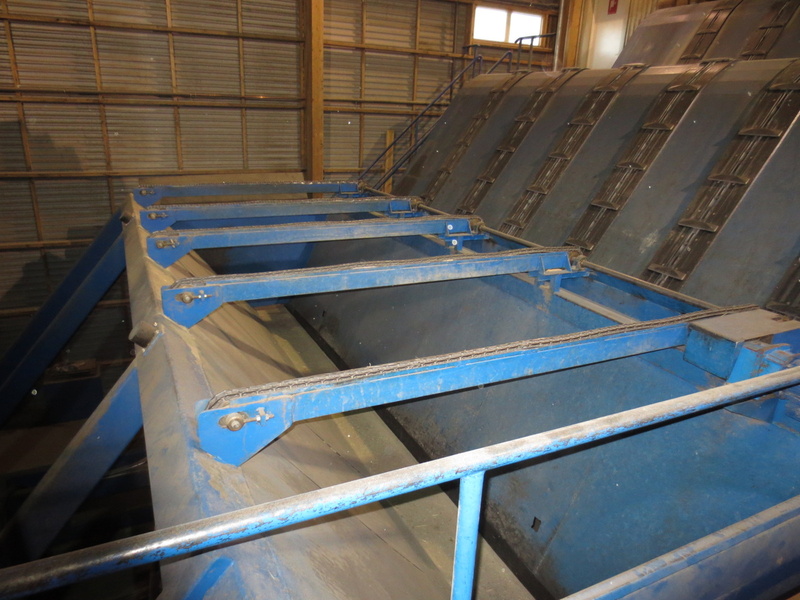 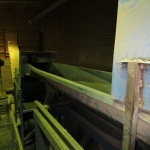 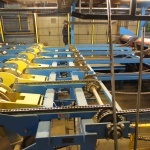 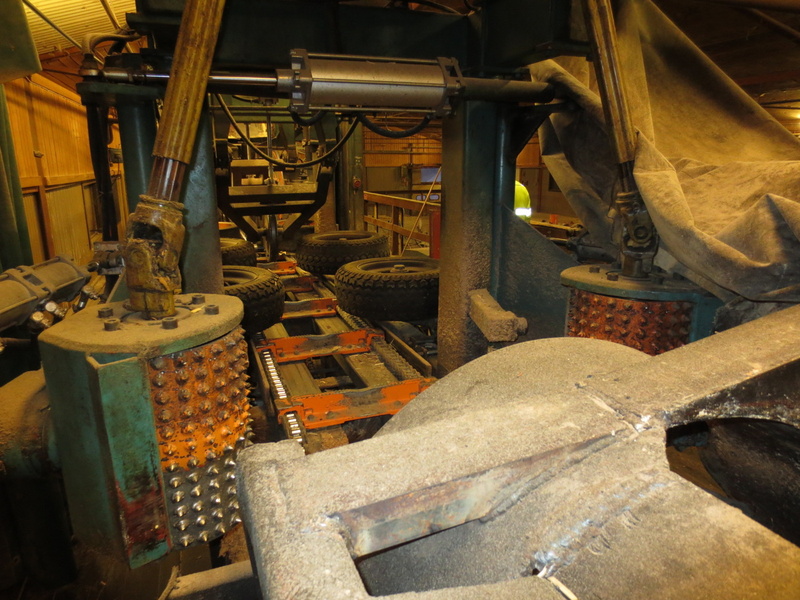 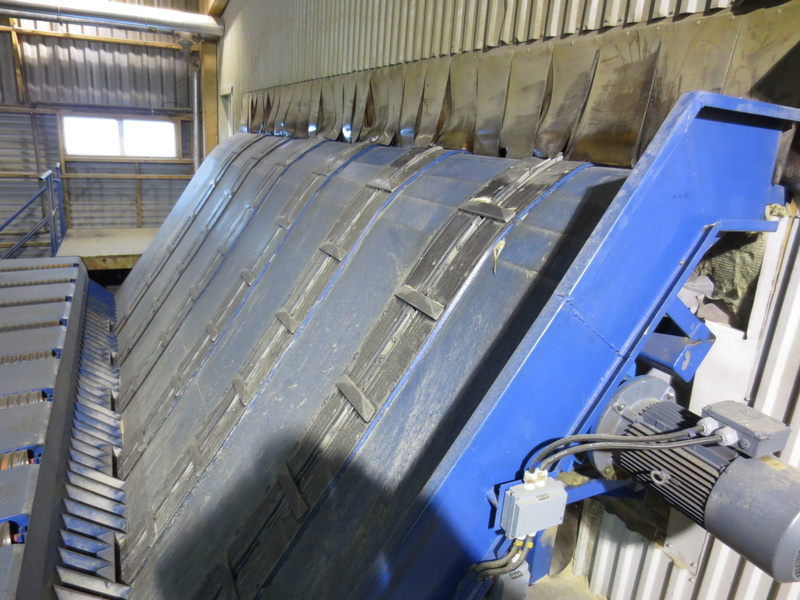 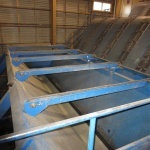 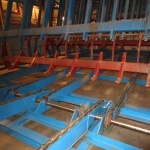 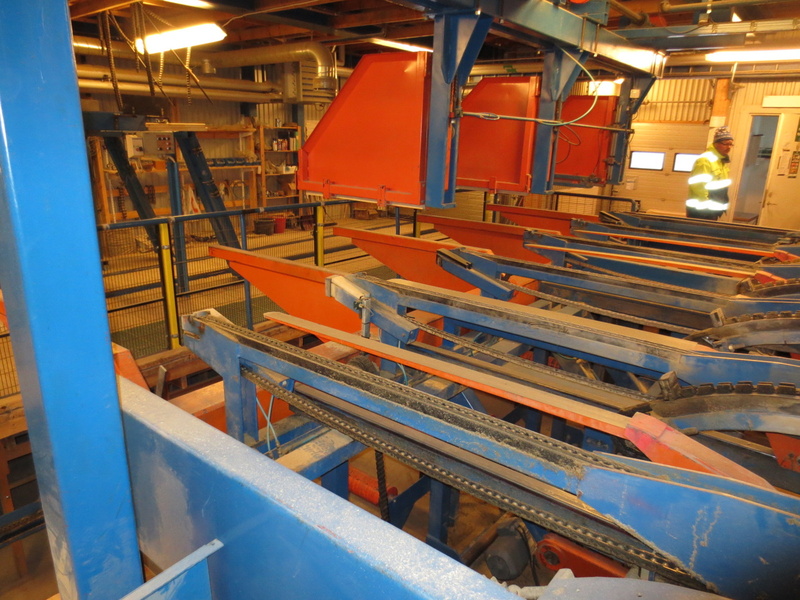 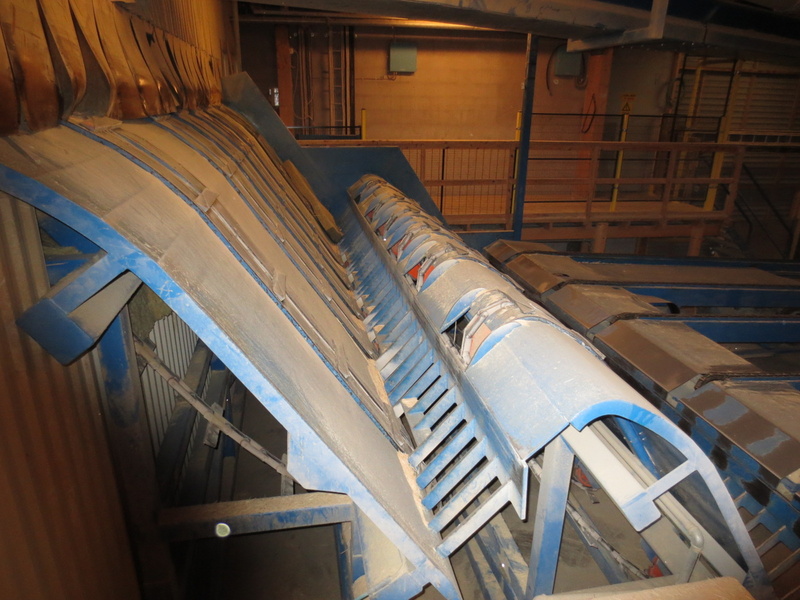 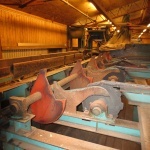 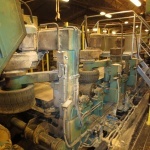 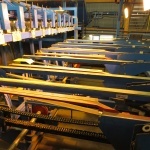 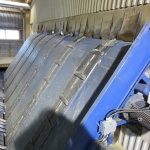 FRAMTEC green sorting with FRAMTEC single piece feeder type Tong Loader. 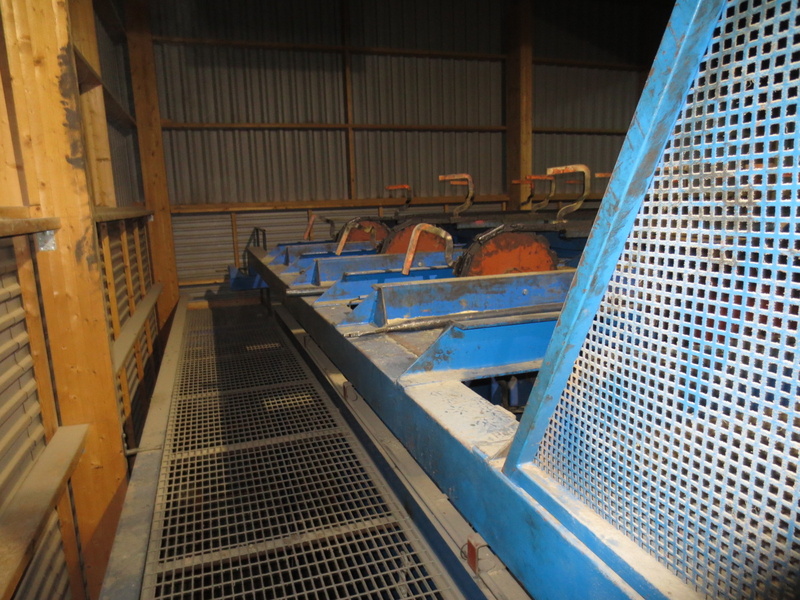 8 sorting bins, hydraulic. 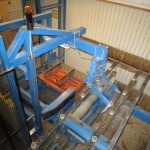 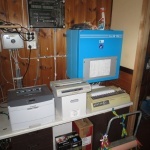 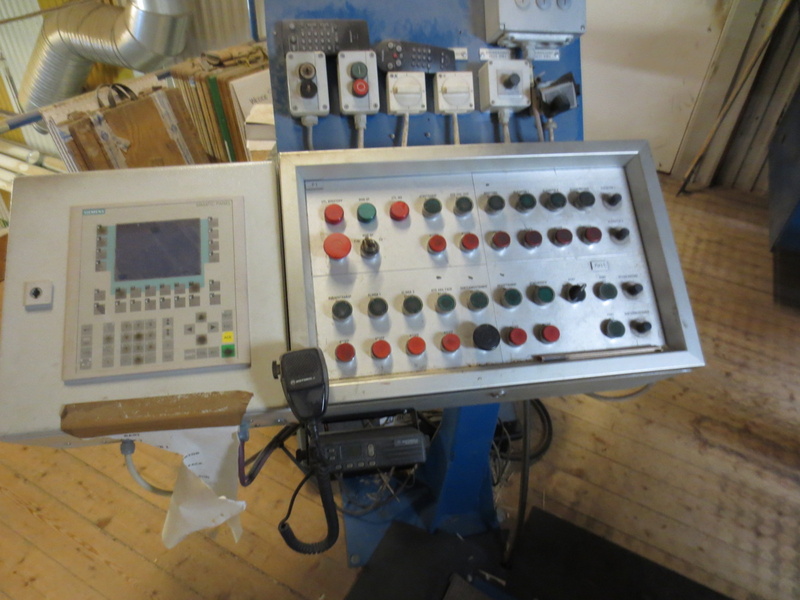 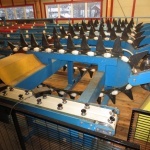 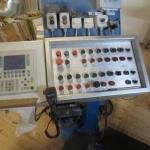 FRAMTEC single piece feeder type Tong Loader, stracker with automatic sticker placer with 11 sticker cassettes. 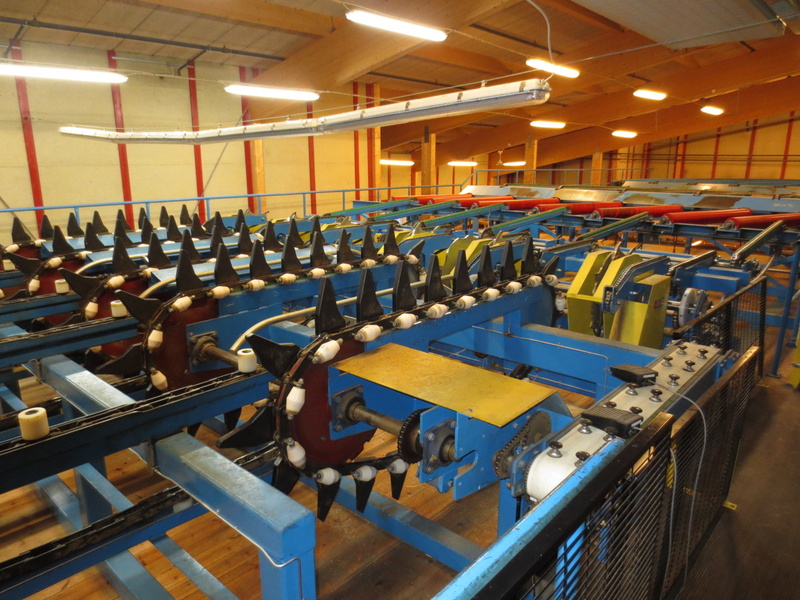 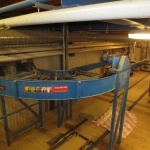 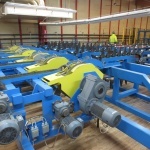 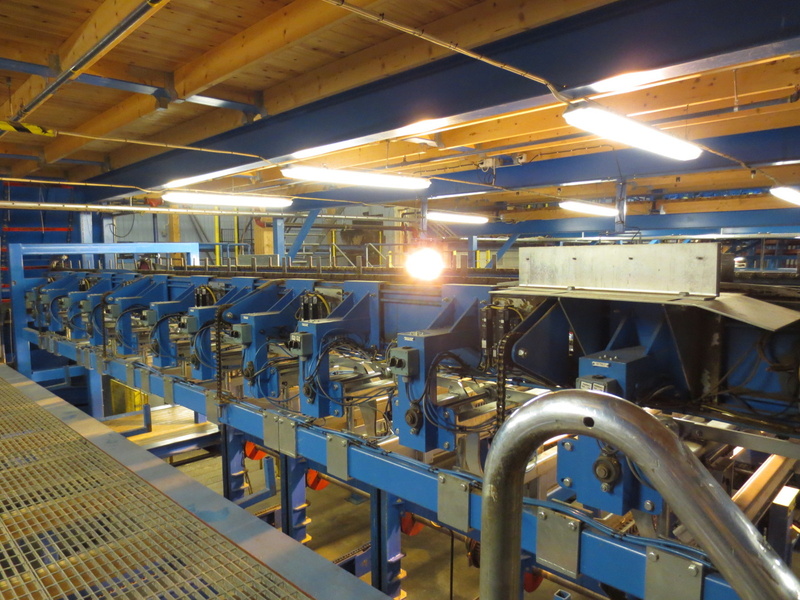 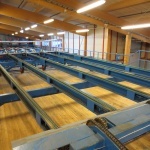 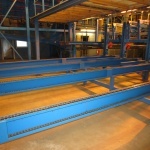 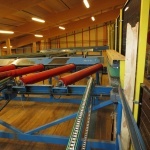 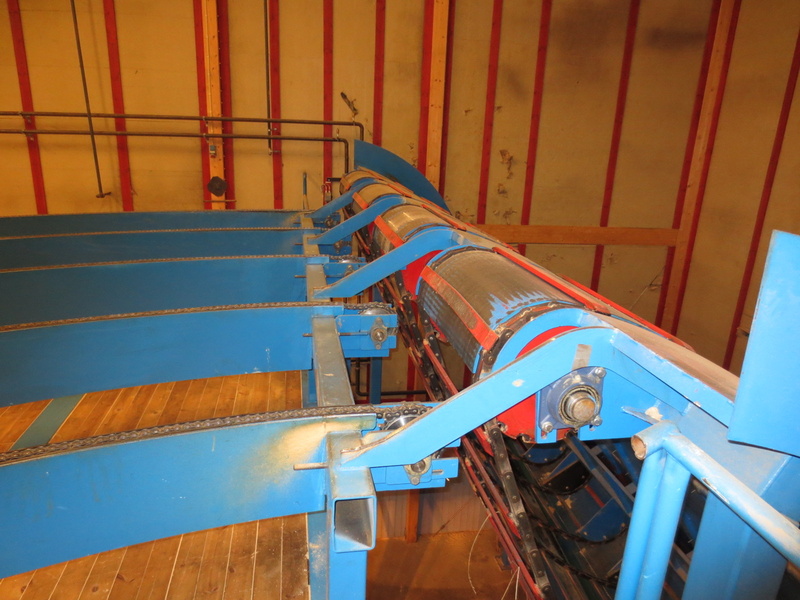 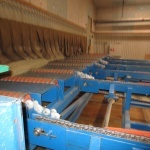 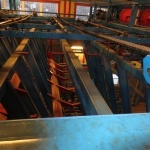 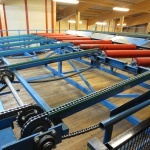 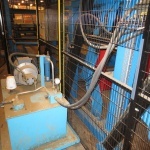 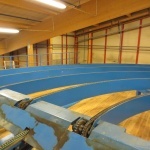 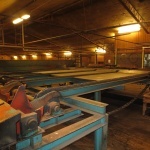 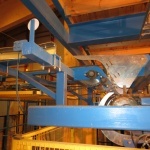 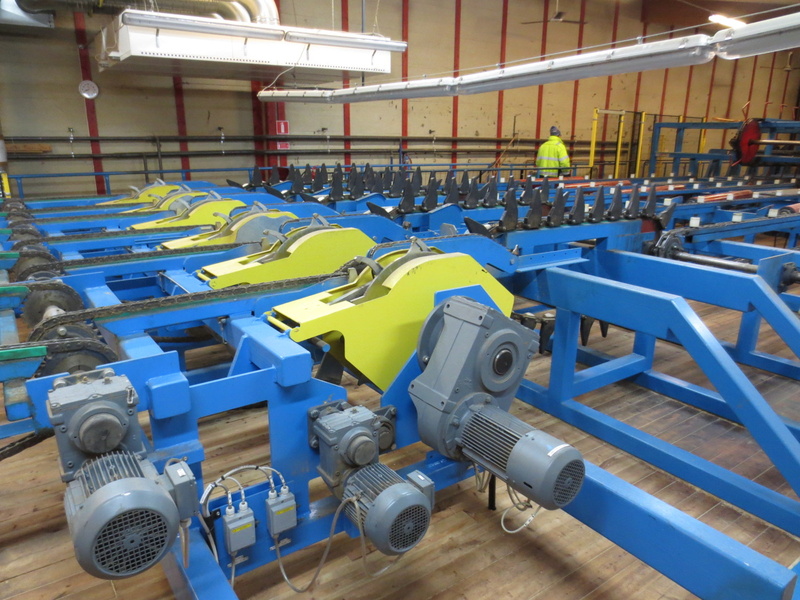 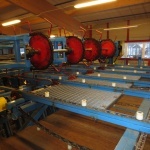 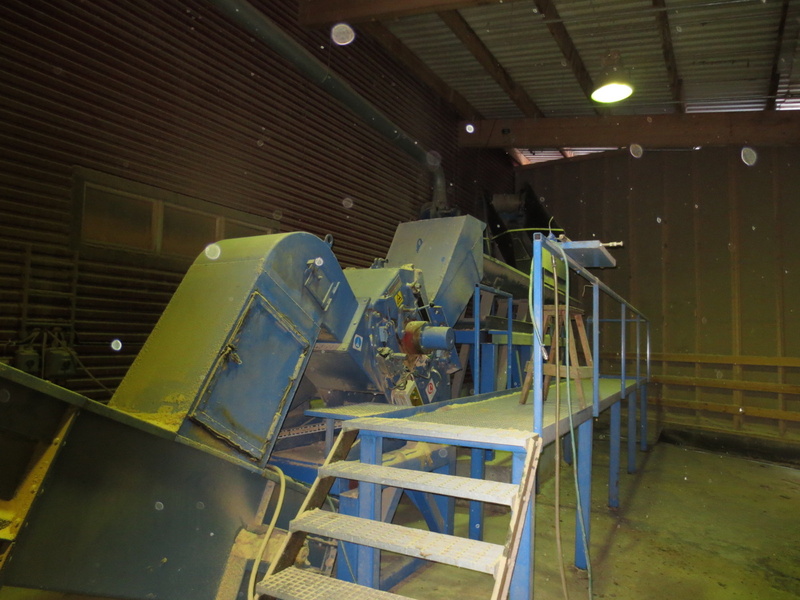 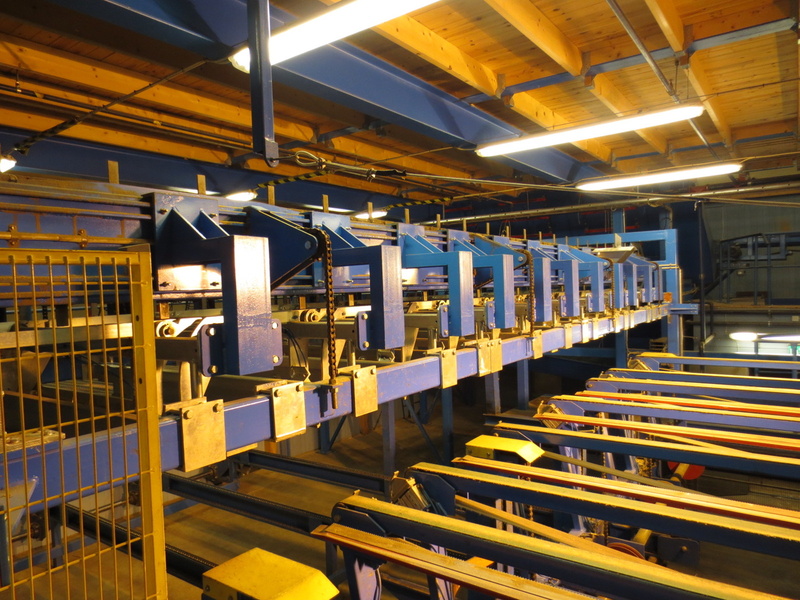 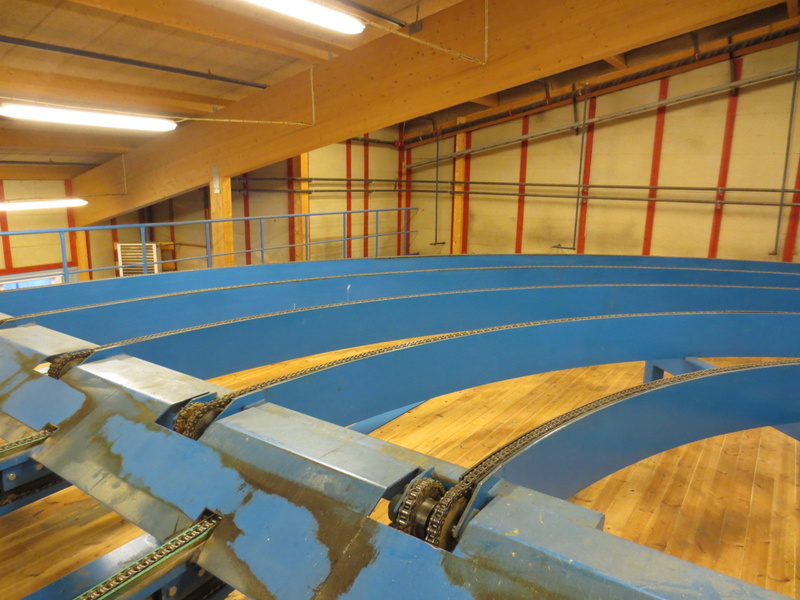 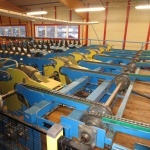 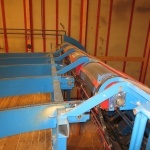 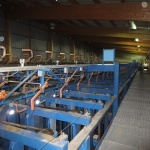 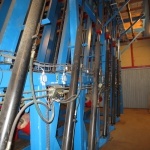 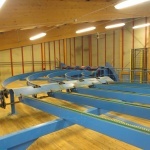 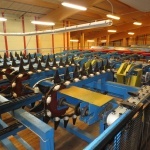 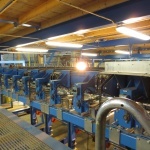 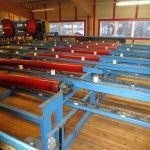 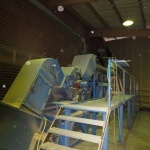 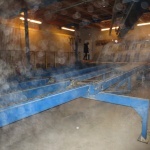 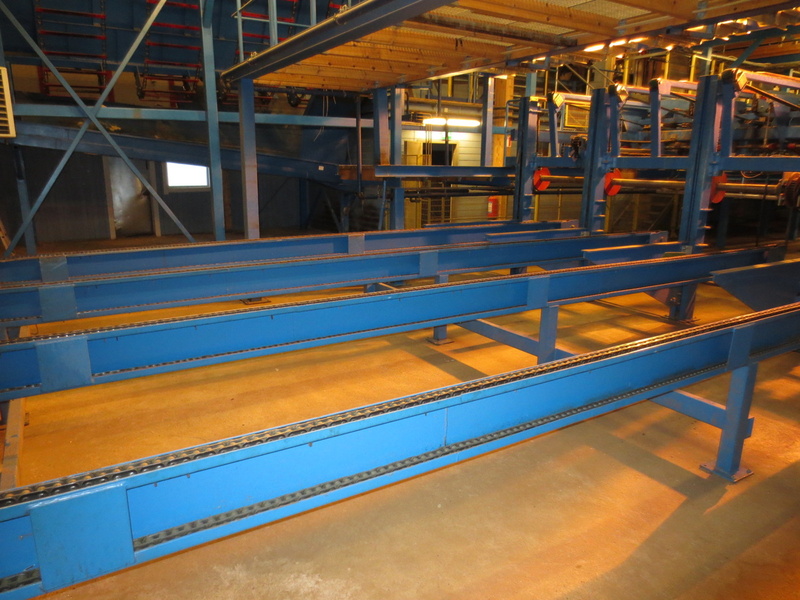 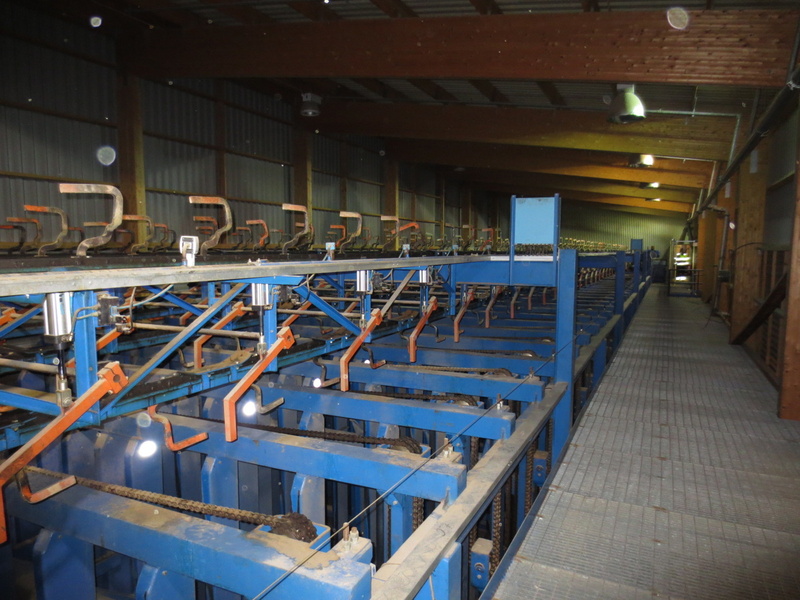 Dry sorting line John Bergkvist Mek. 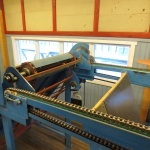 AB. 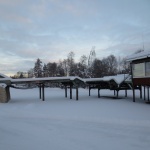 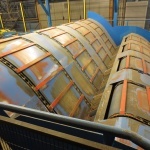 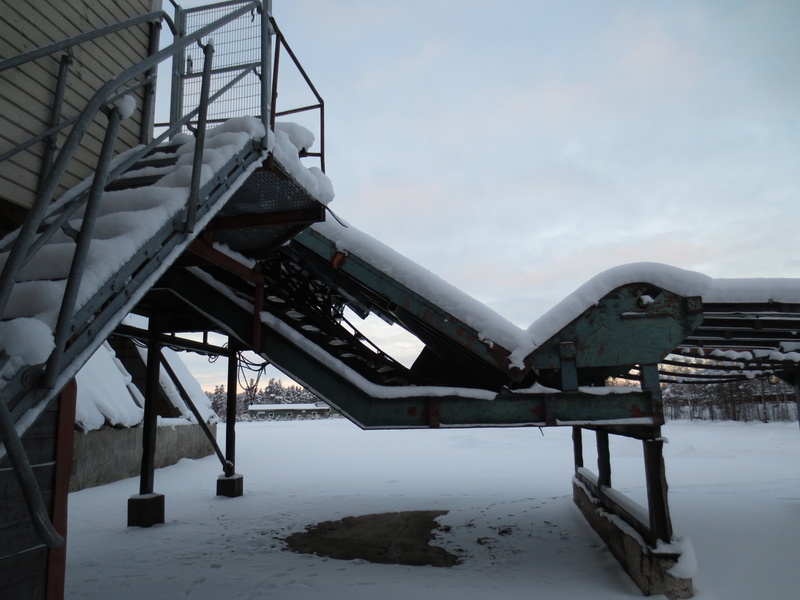 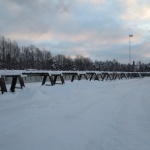 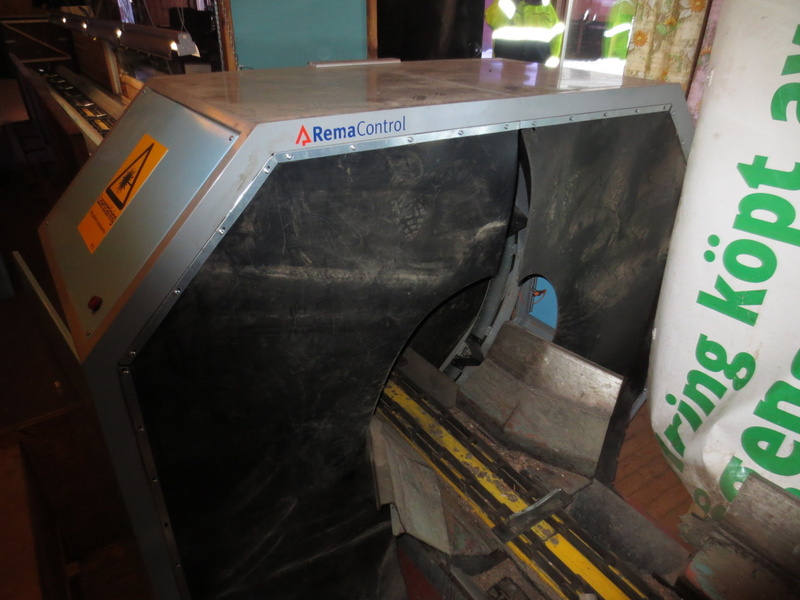 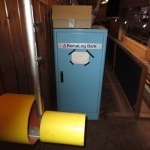 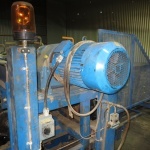 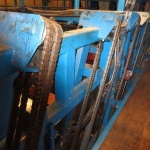 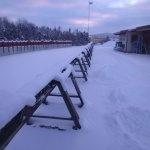 REMA sorting equipment. 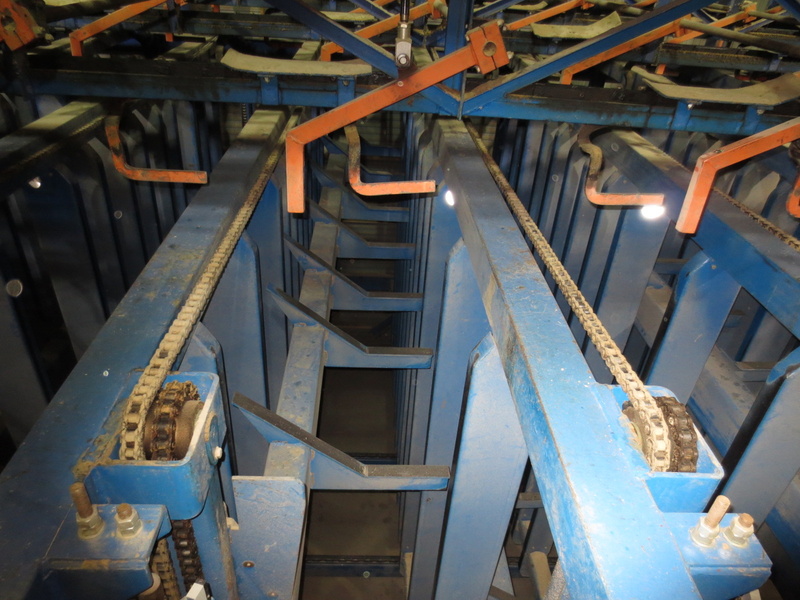 30 pieces vertical let down sorting bins. 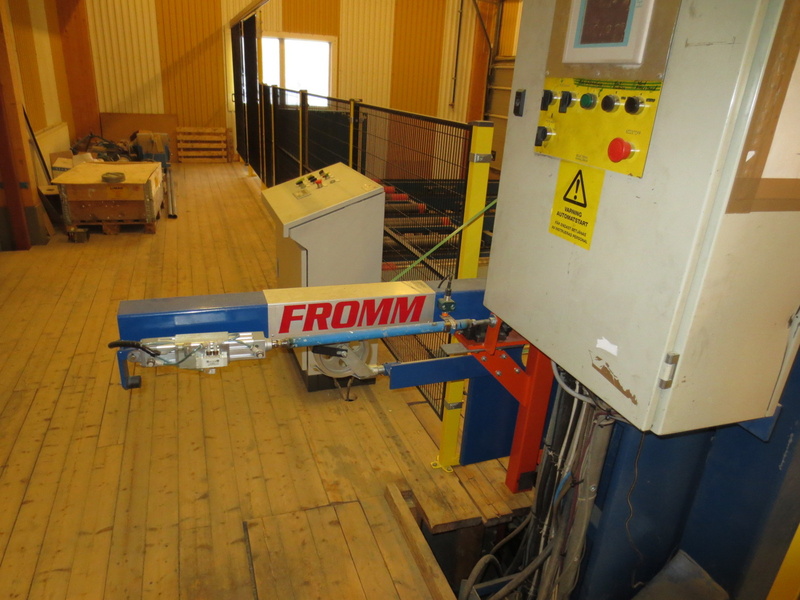 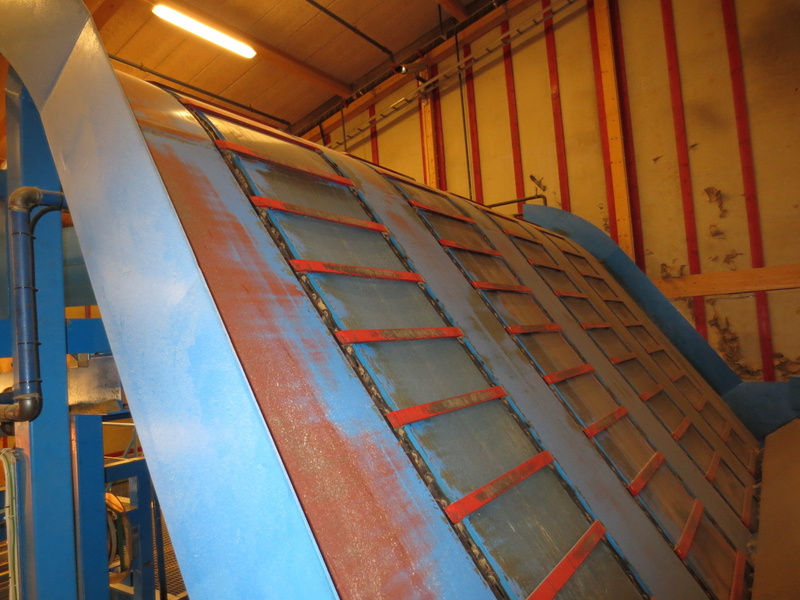 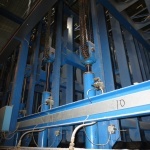 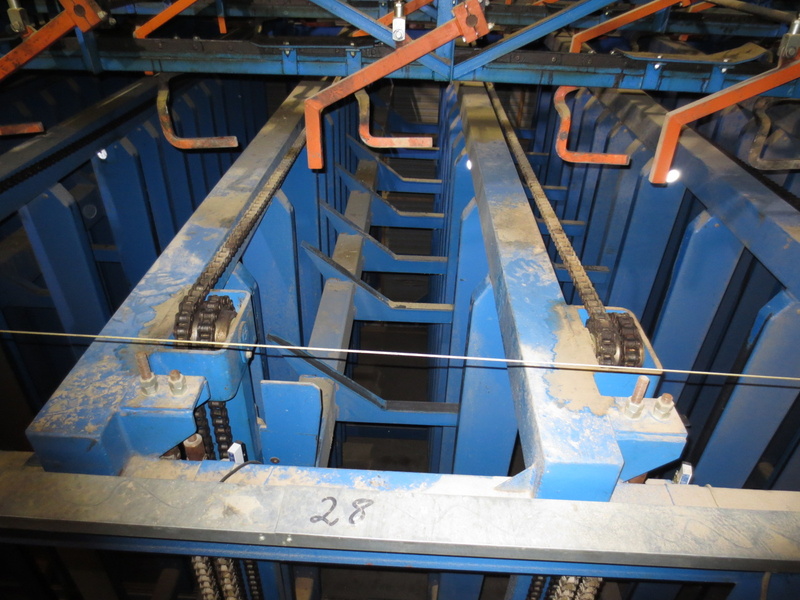 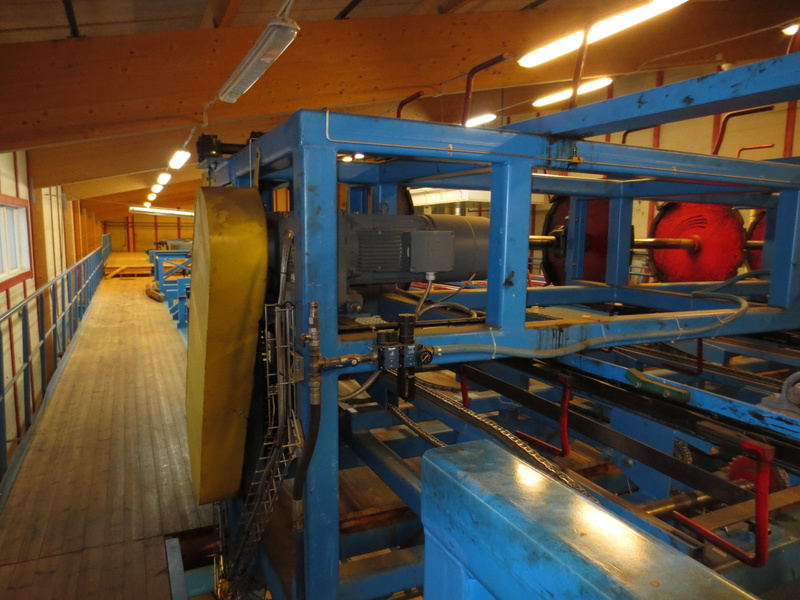 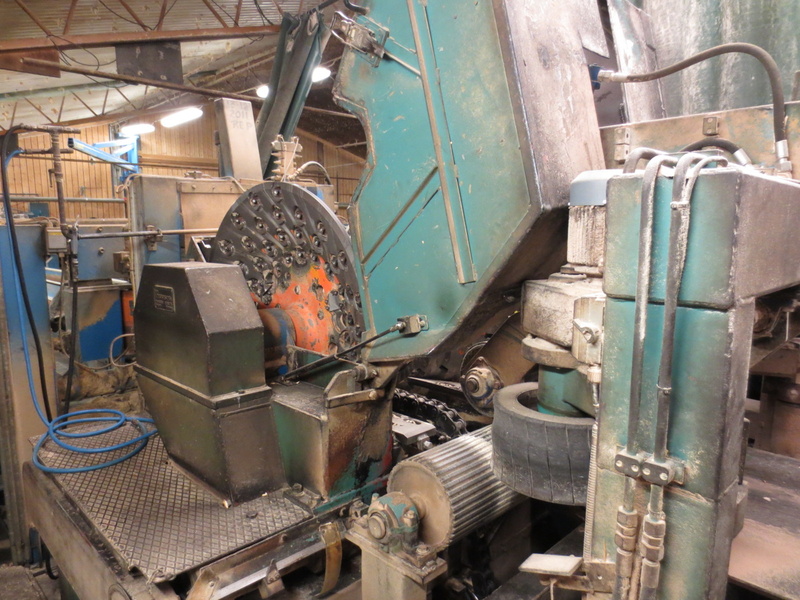 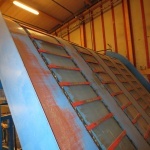 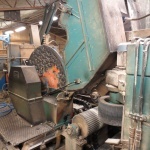 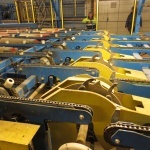 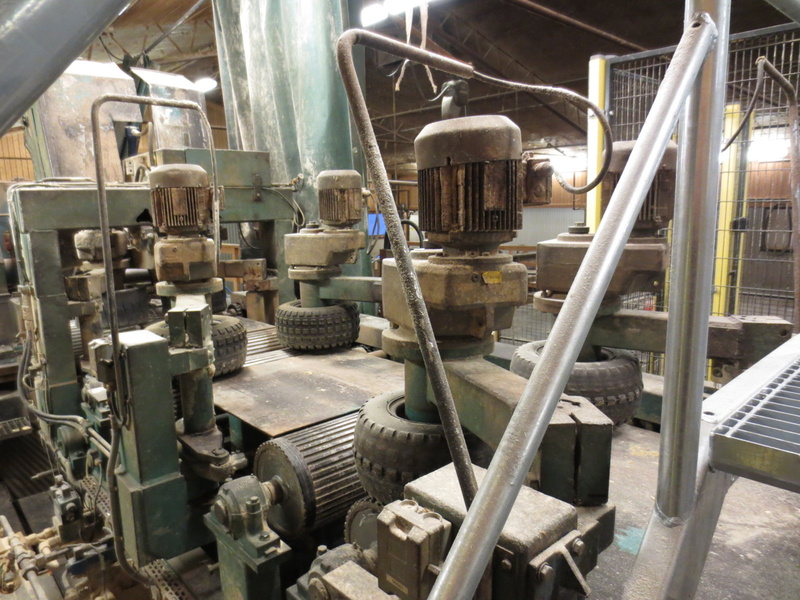 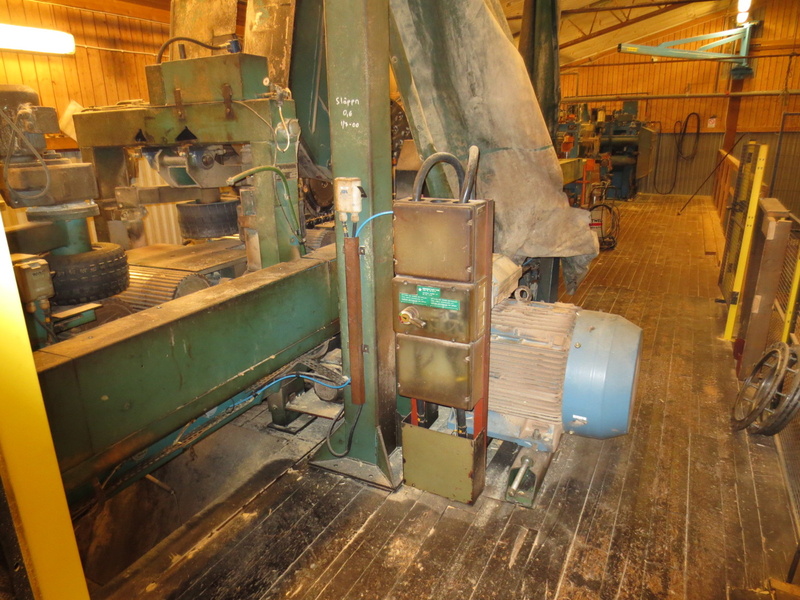 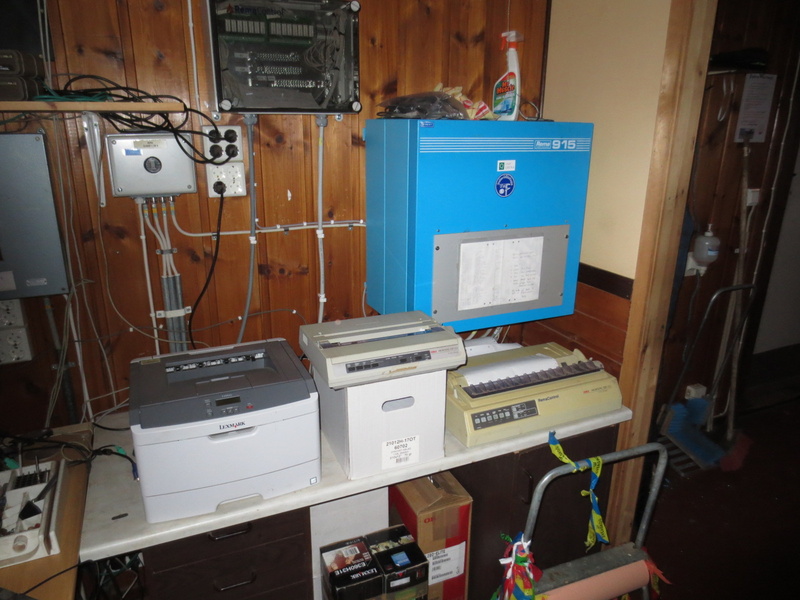 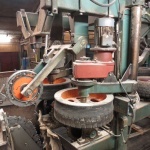 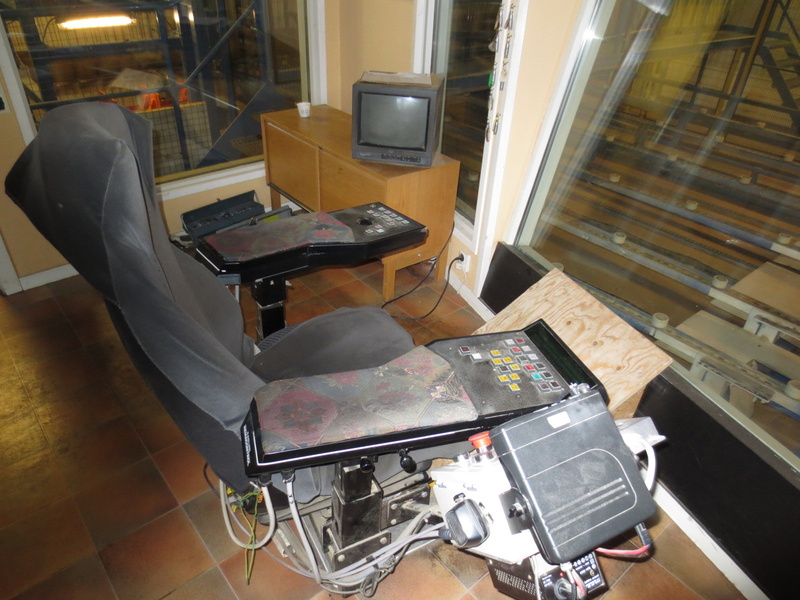 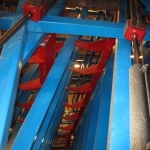 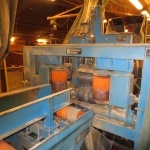 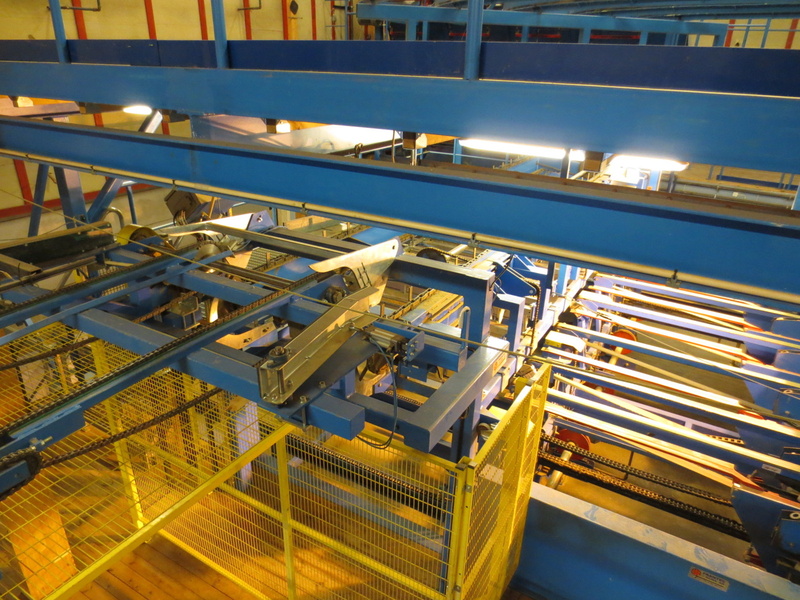 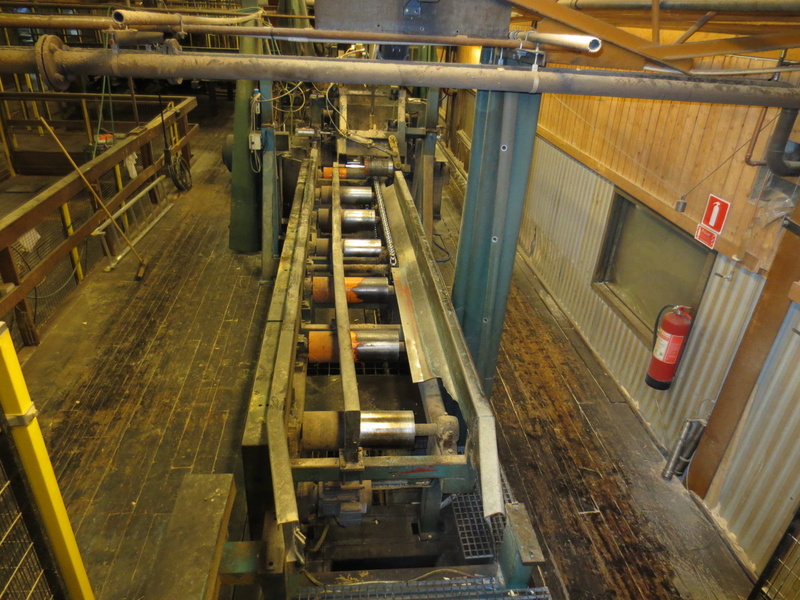 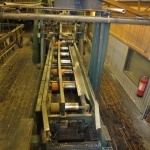 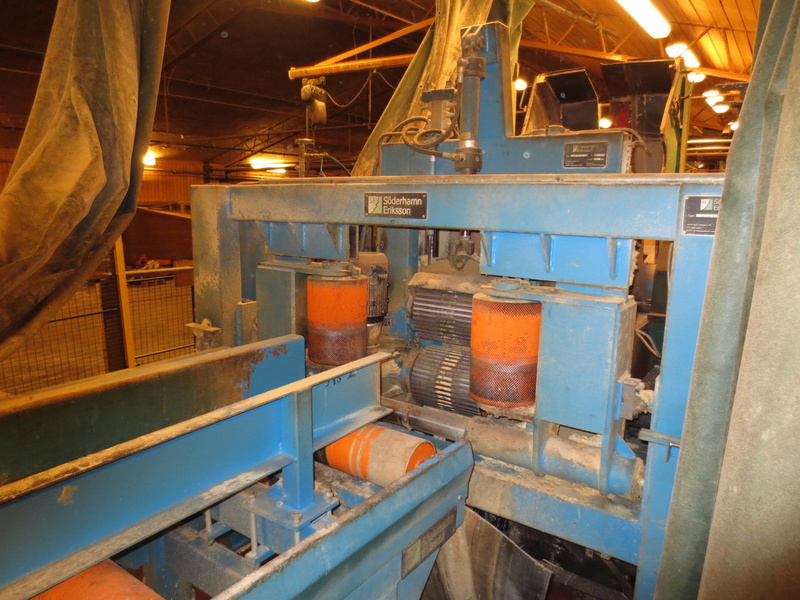 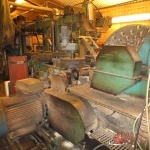 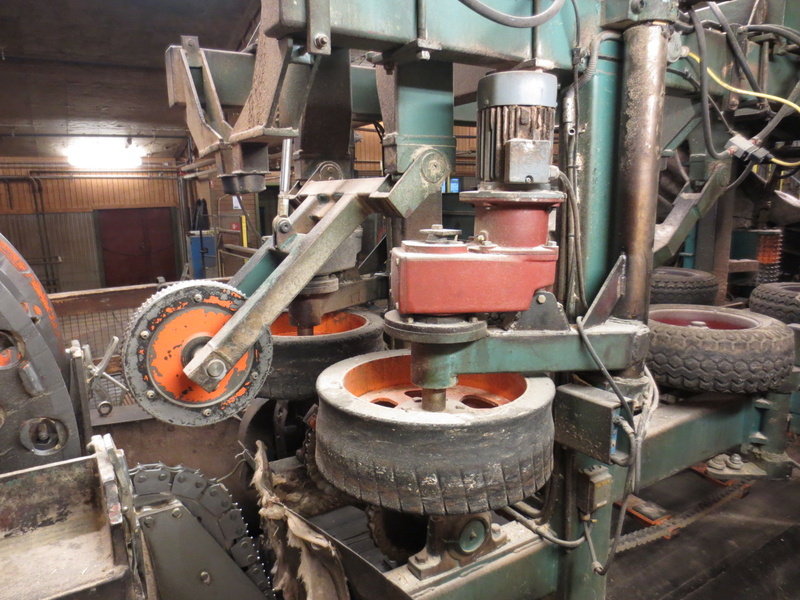 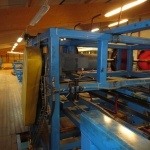 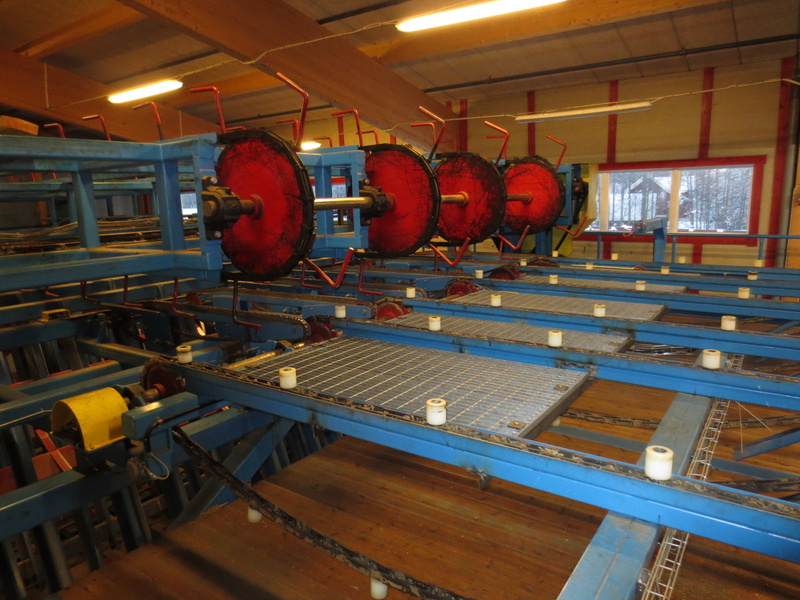 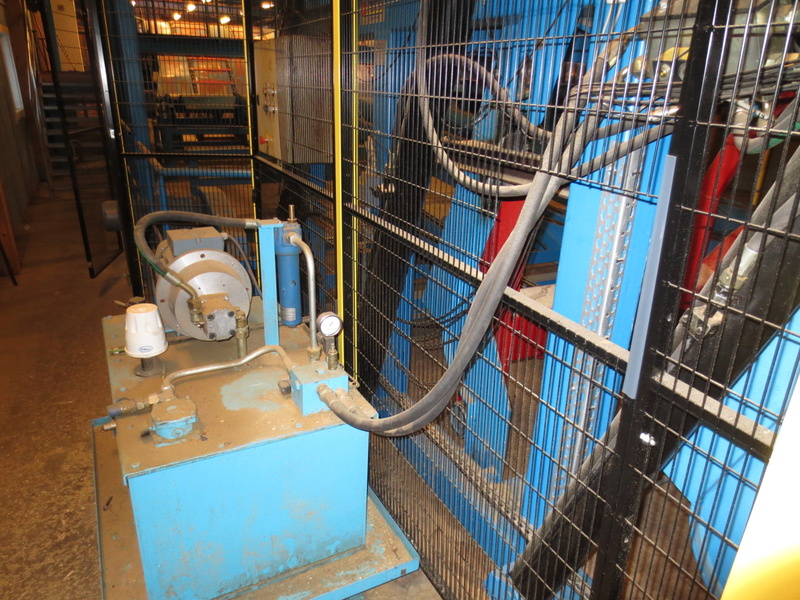 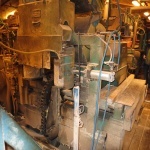 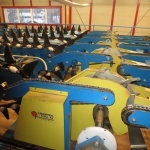 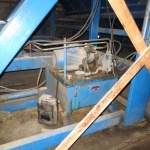 Stacker, stack press Goliat, plastic strapping machine Fromm, Chipper Bruks Klöckner 820 CS. 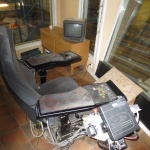 Bottom floor incl. 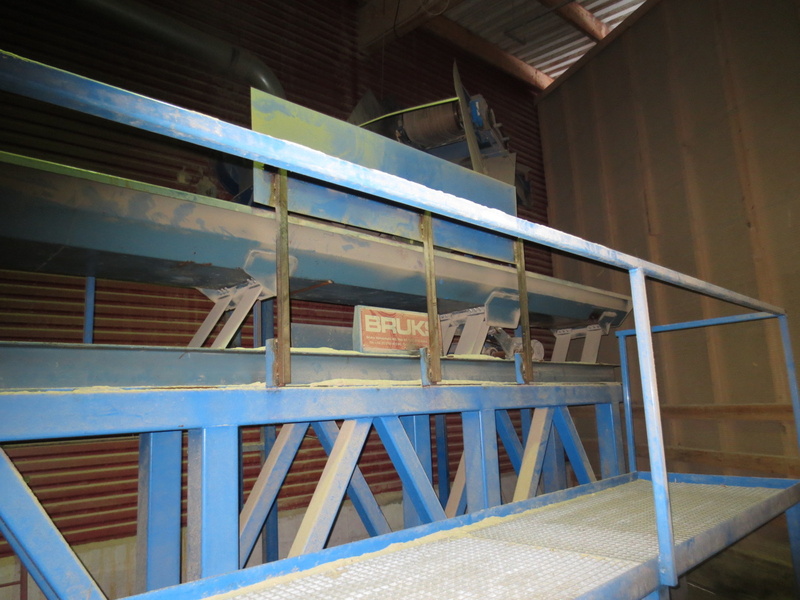 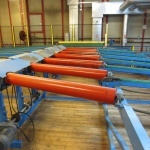 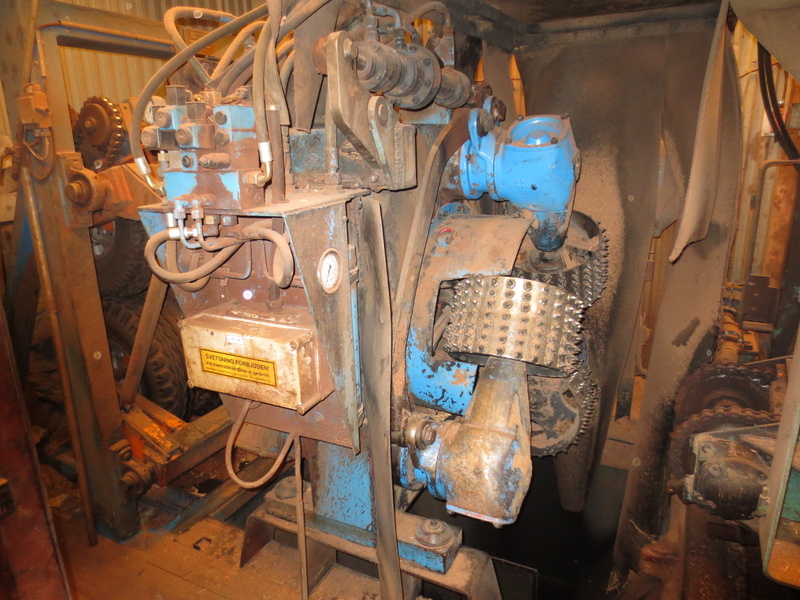 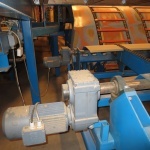 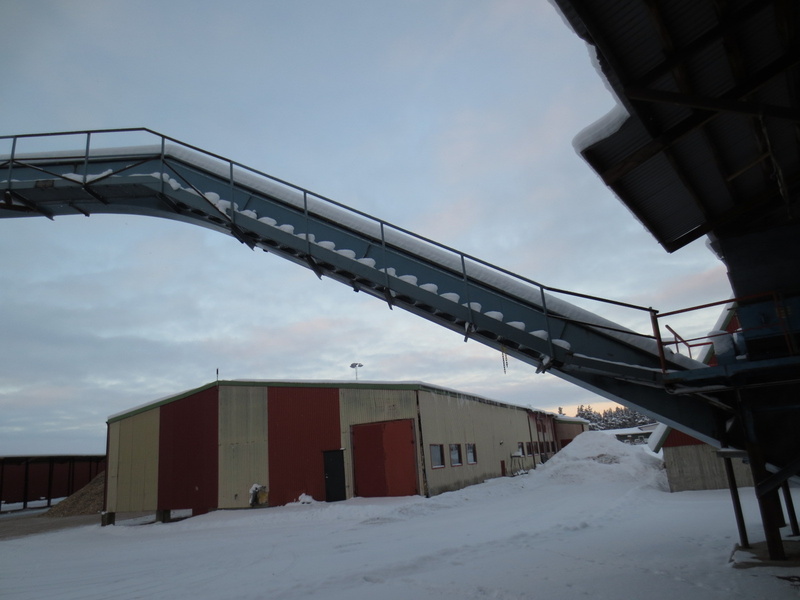 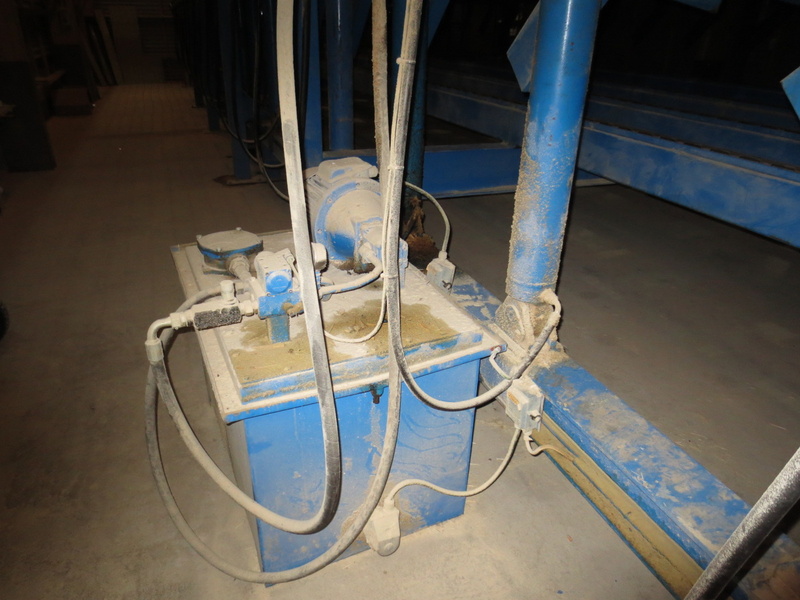 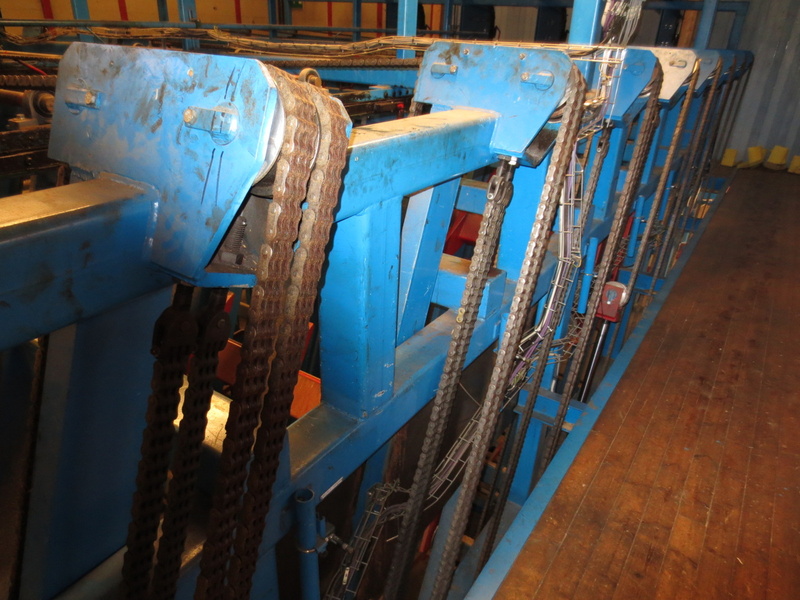 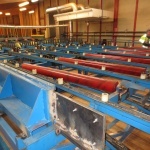 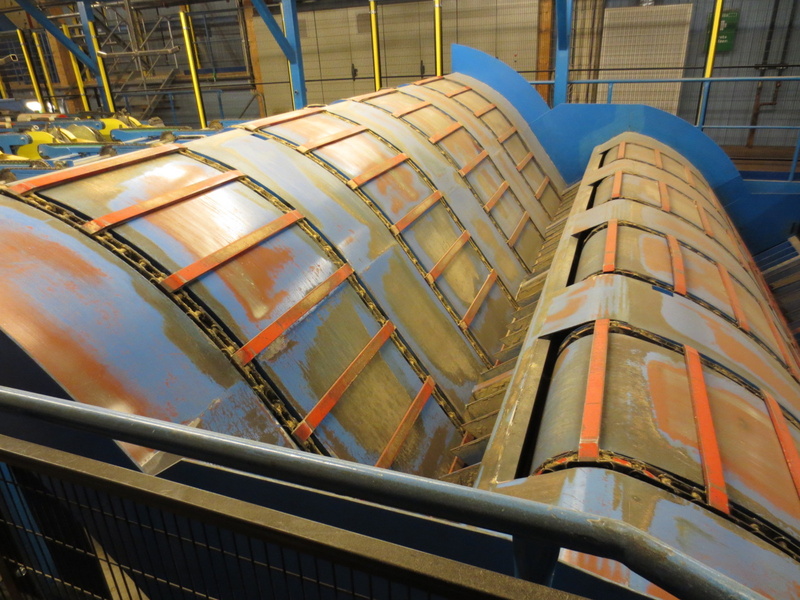 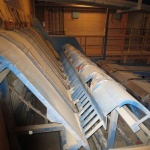 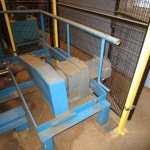 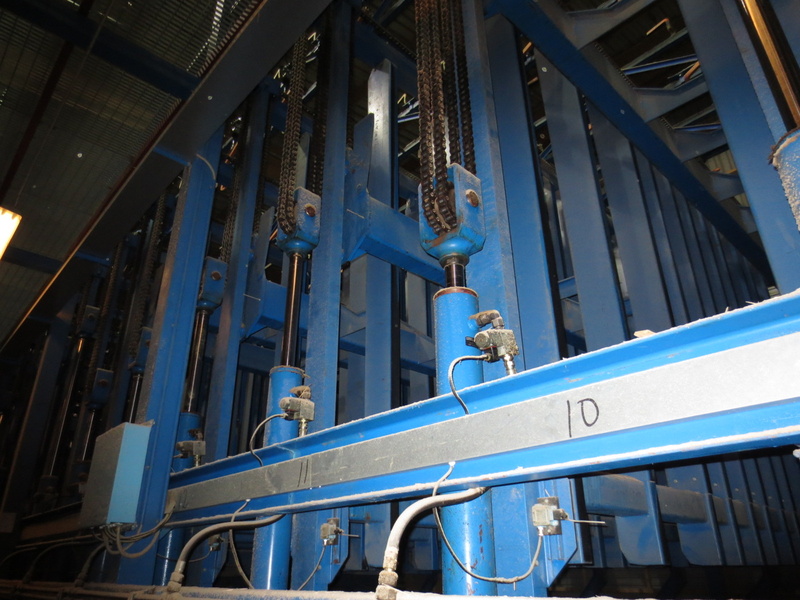 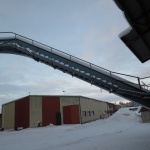 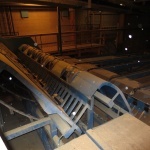 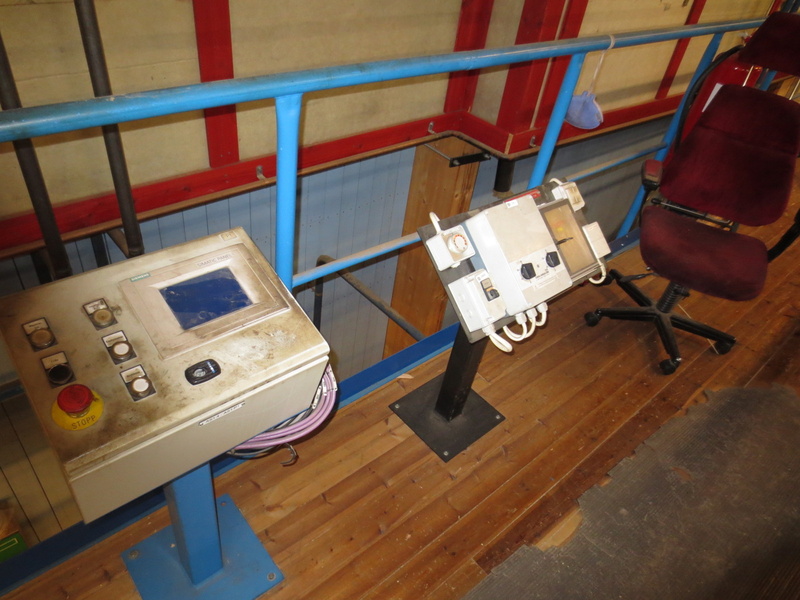 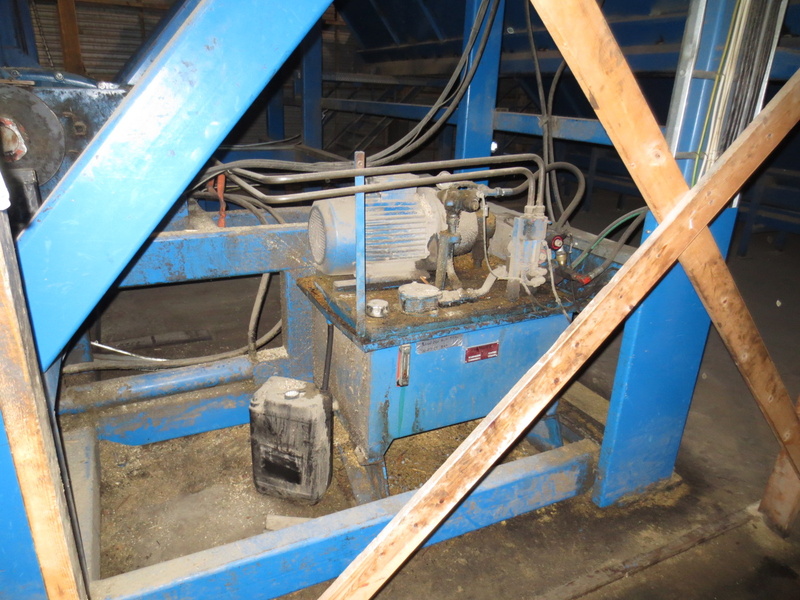 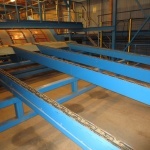 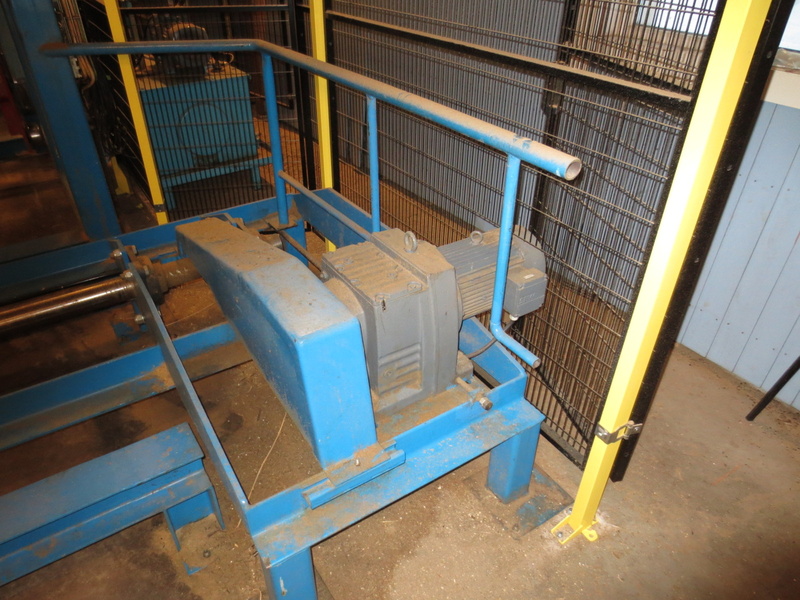 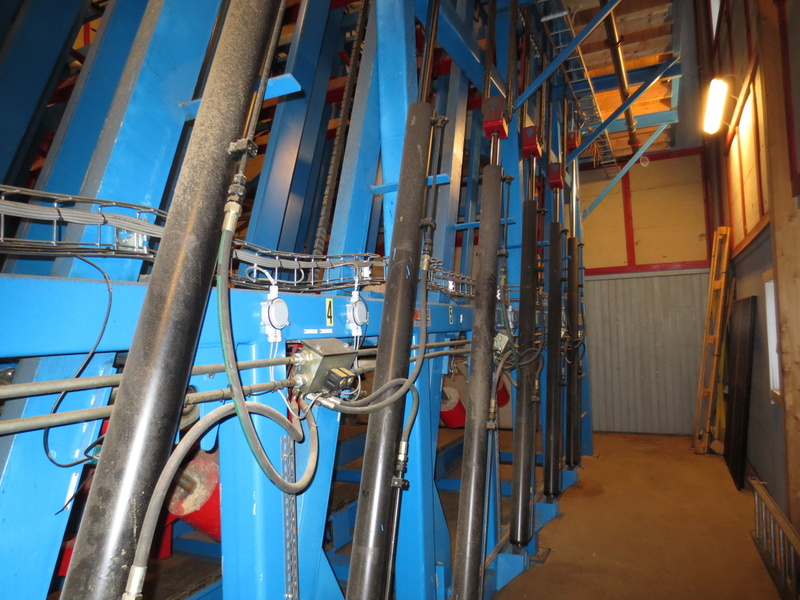 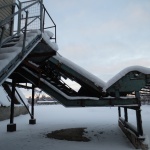 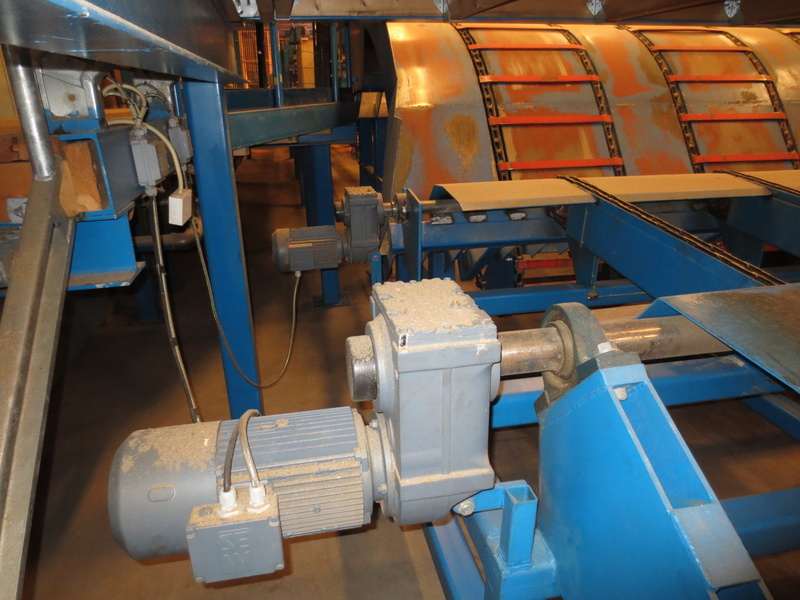 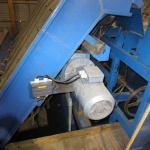 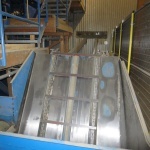 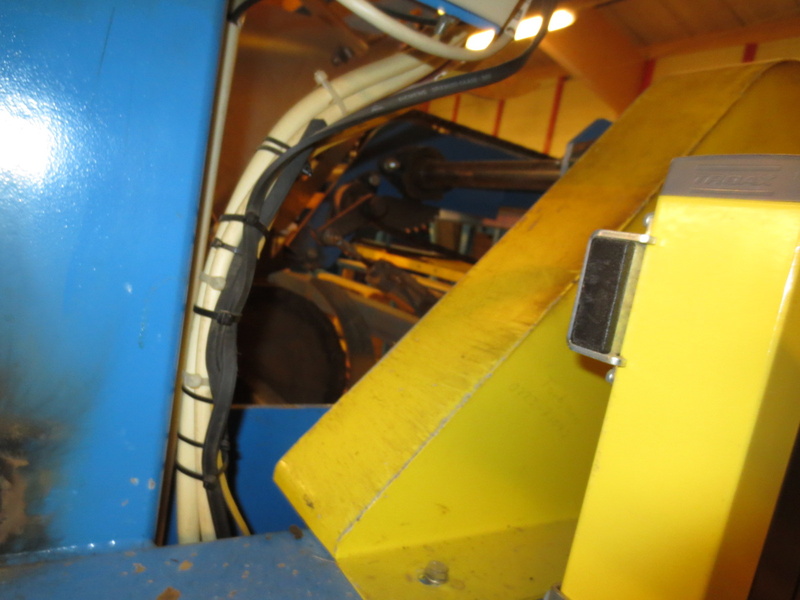 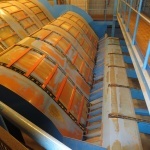 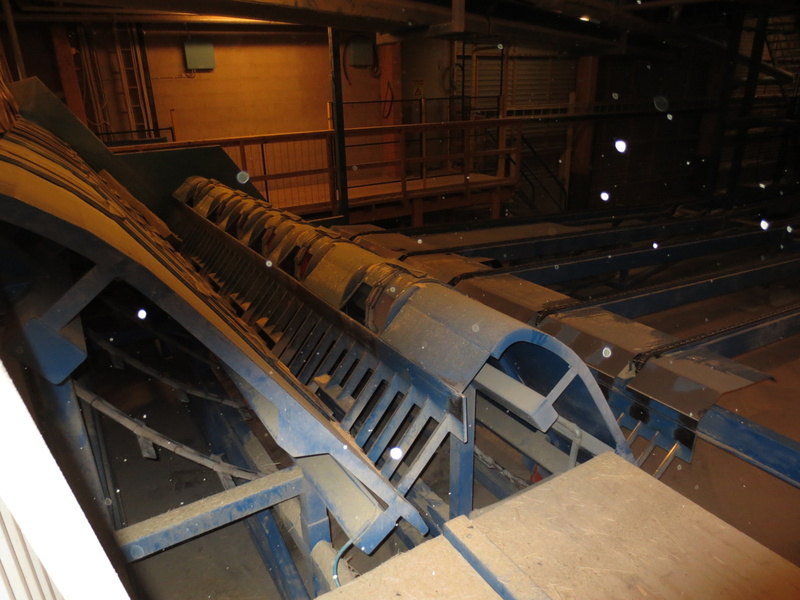 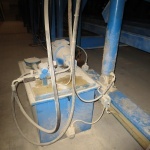 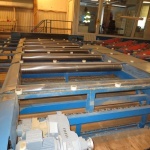 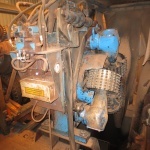 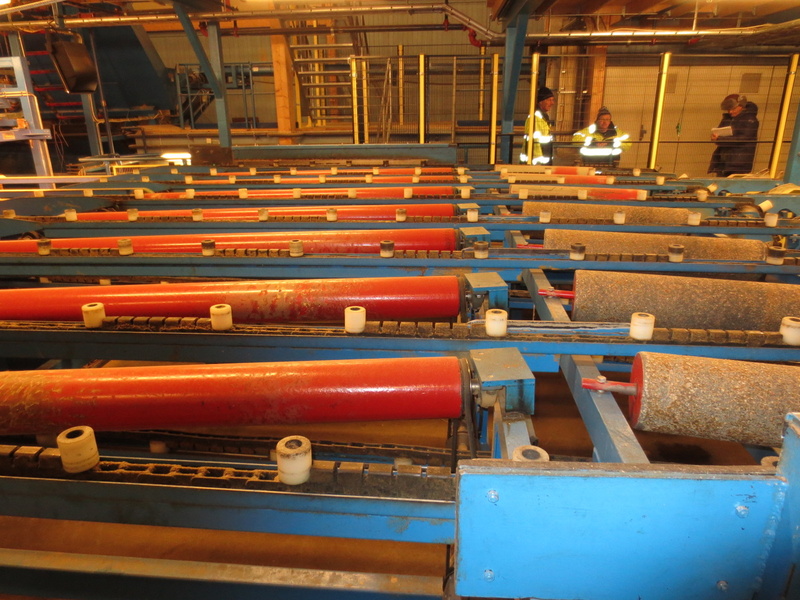 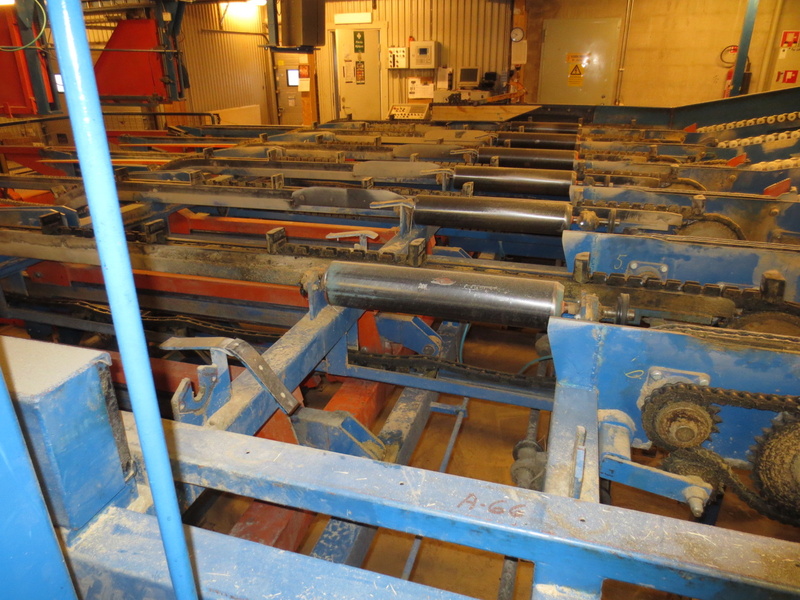 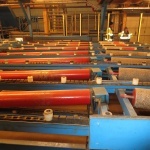 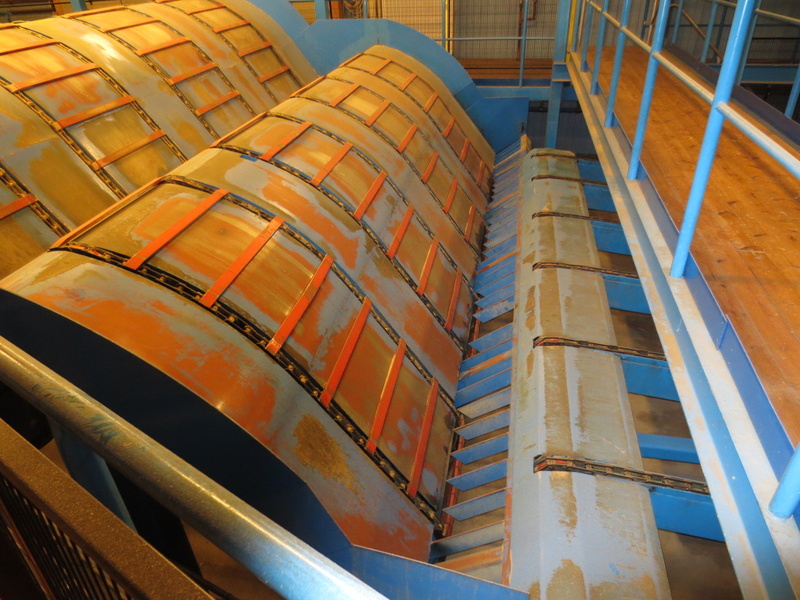 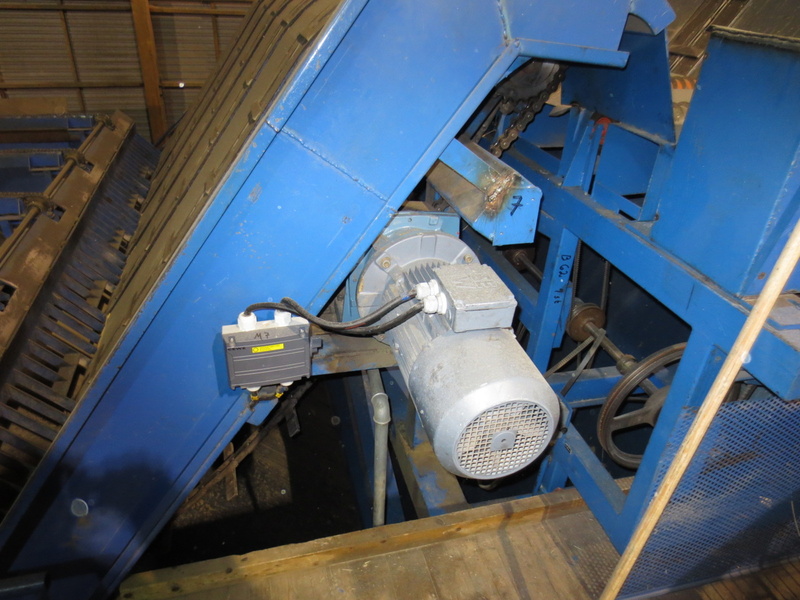 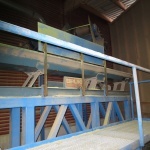 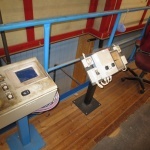 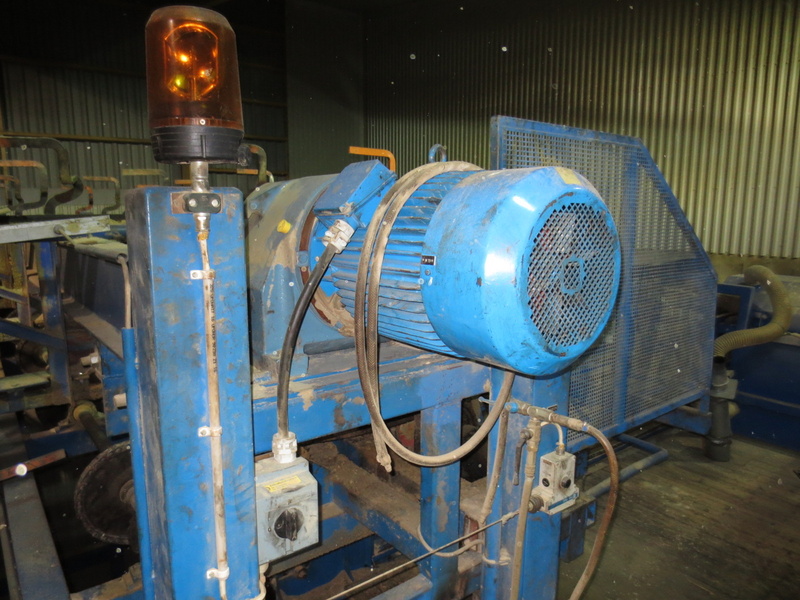 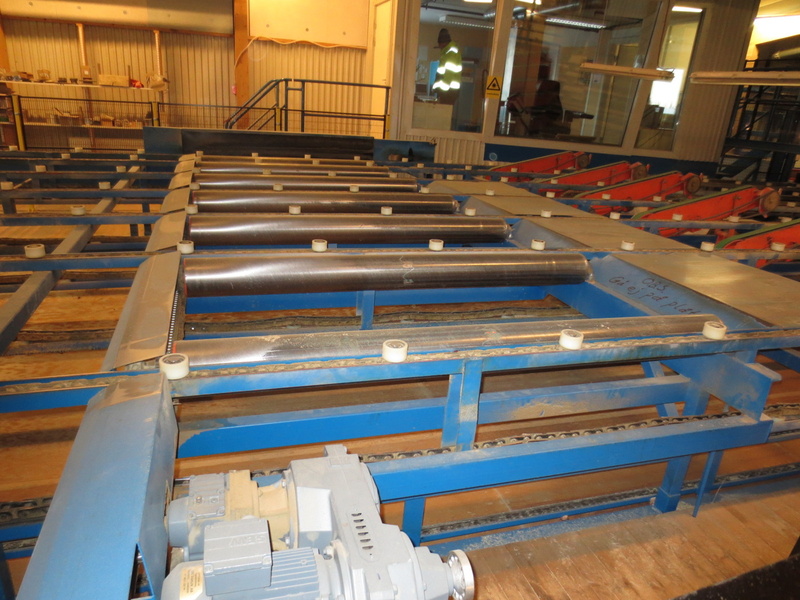 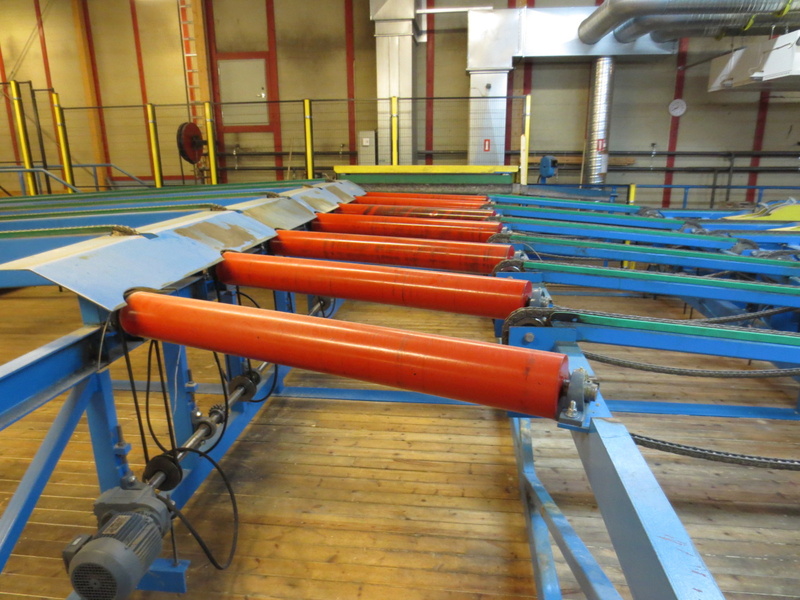 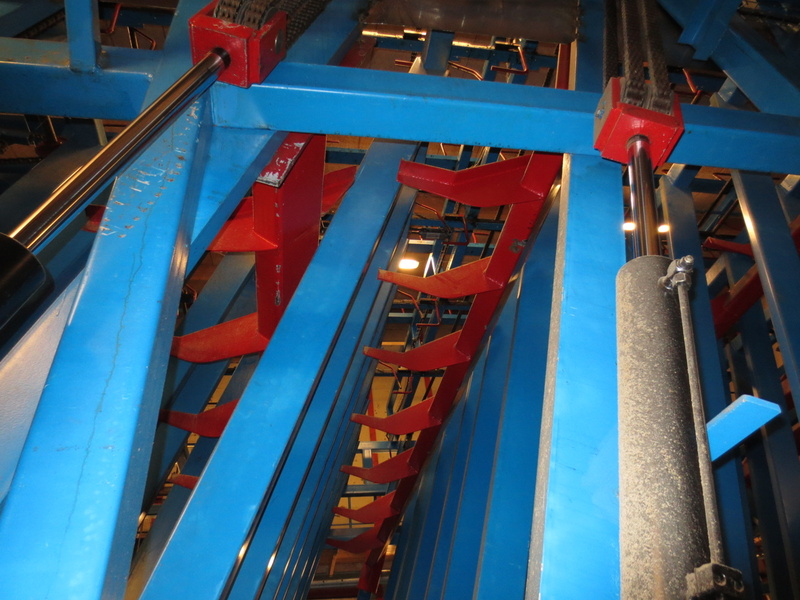 all conveyors, screen Bruks type BS-62, Air compressor Atlas Copco type GA 50 VSD, Bark hog HBS 840-44.